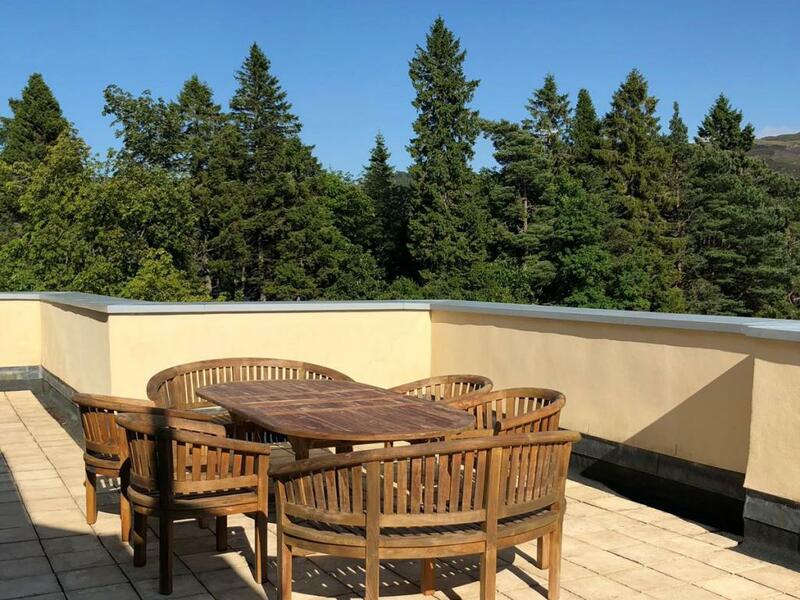 This stunning penthouse apartment on the third floor of The Abbey Church is totally new to the vacation rental market at The Highland Club this summer. 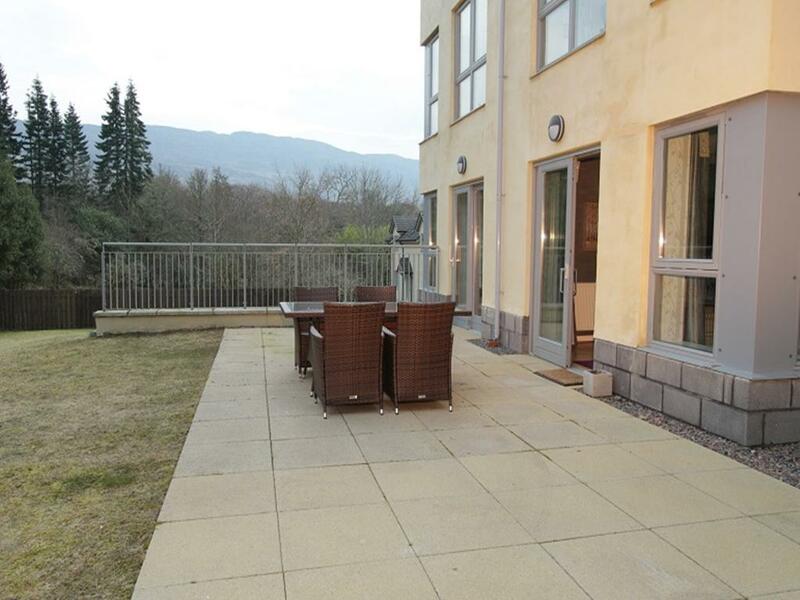 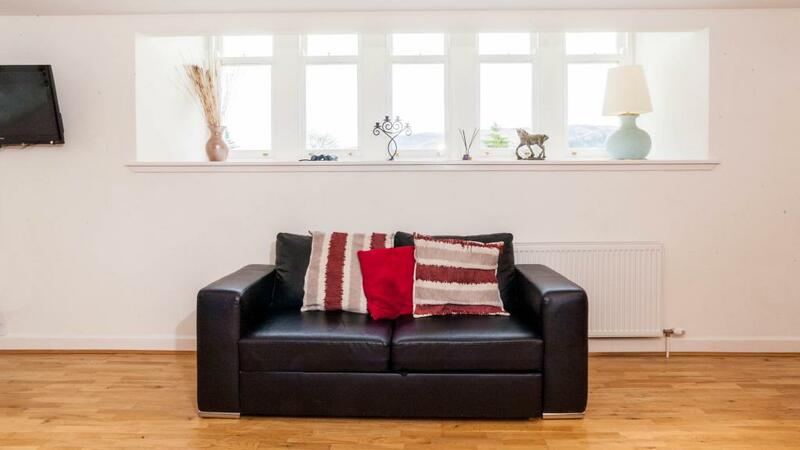 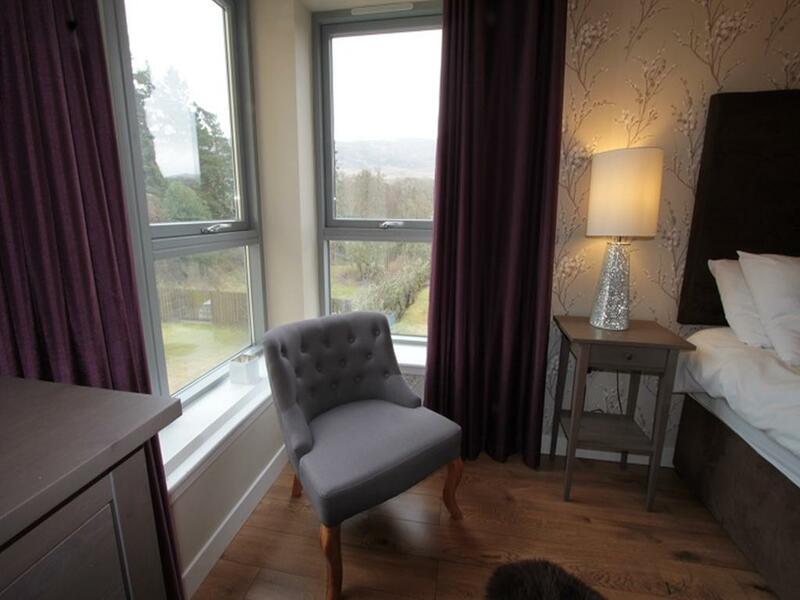 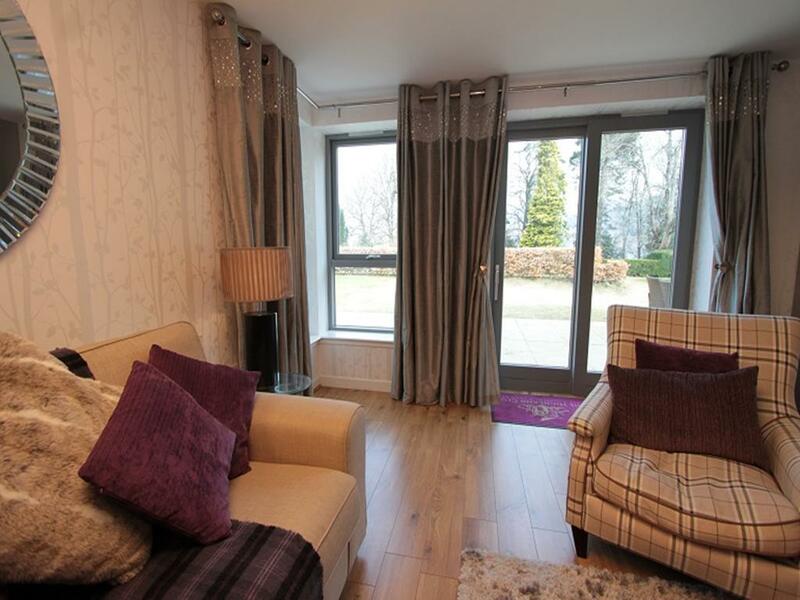 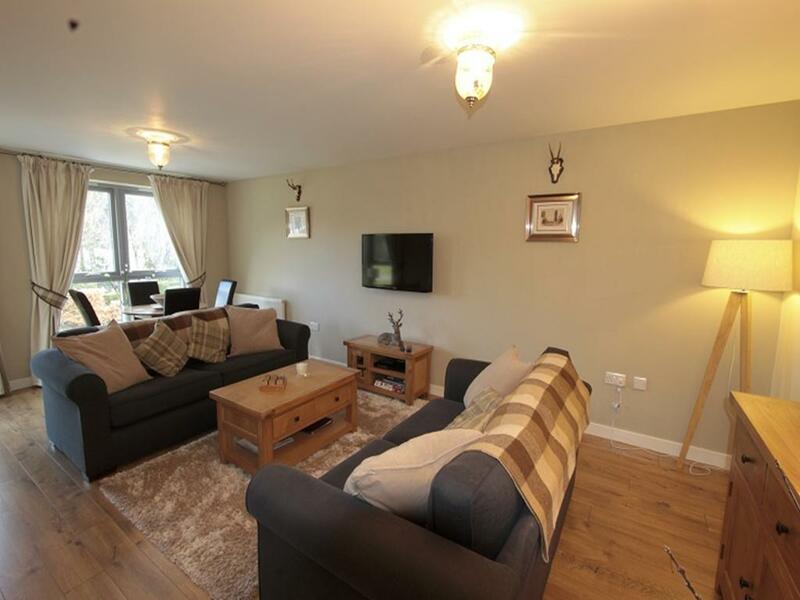 A large 2 bedroomed duplex apartment enclosed by a private balcony on 3 sides affording beautiful views both up the loch and over the mountains. 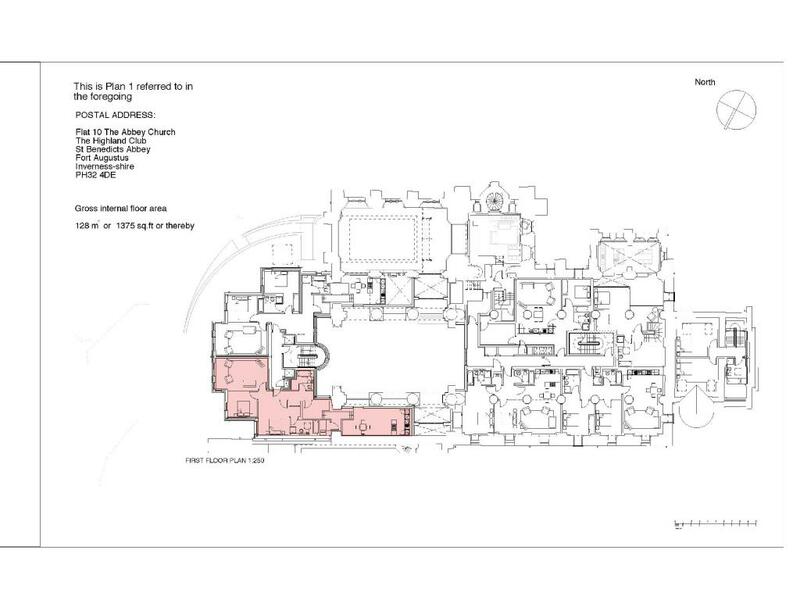 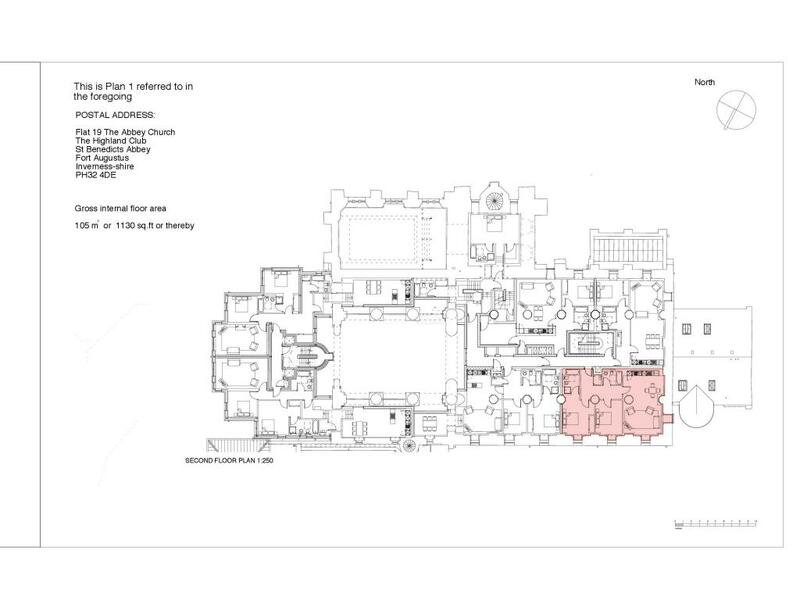 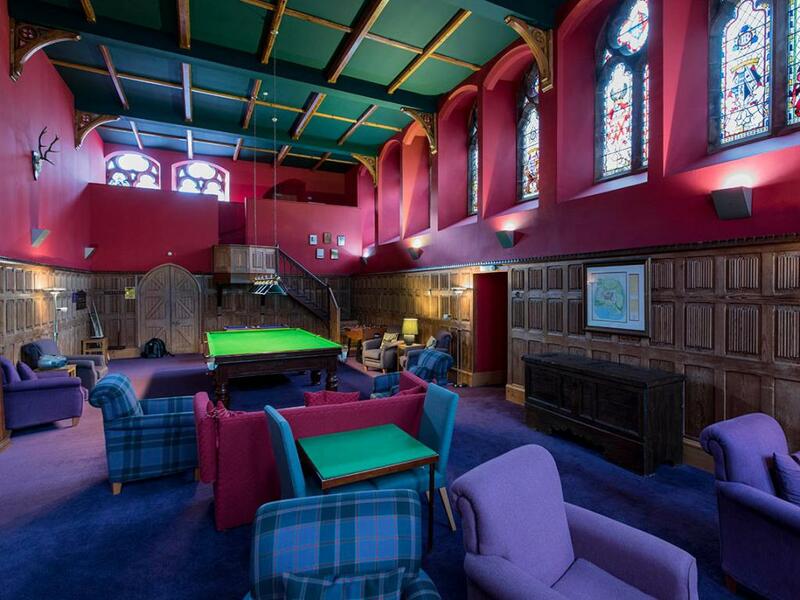 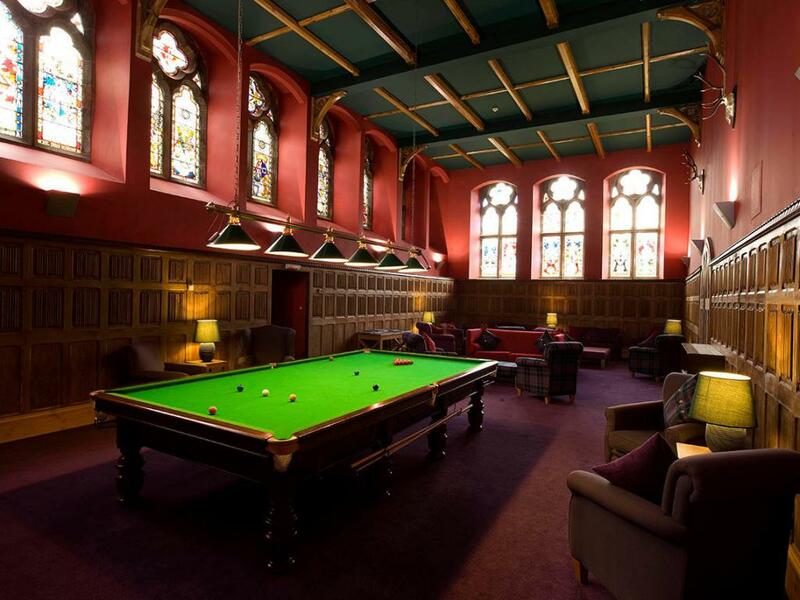 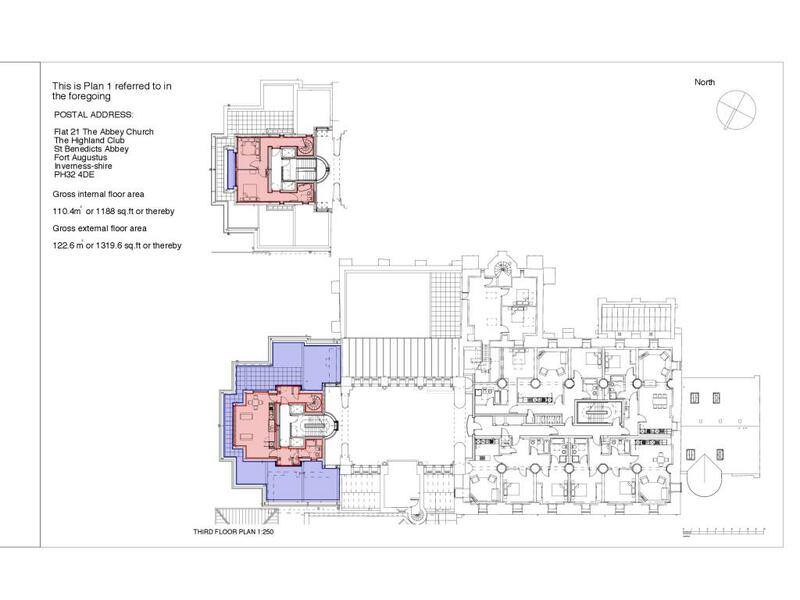 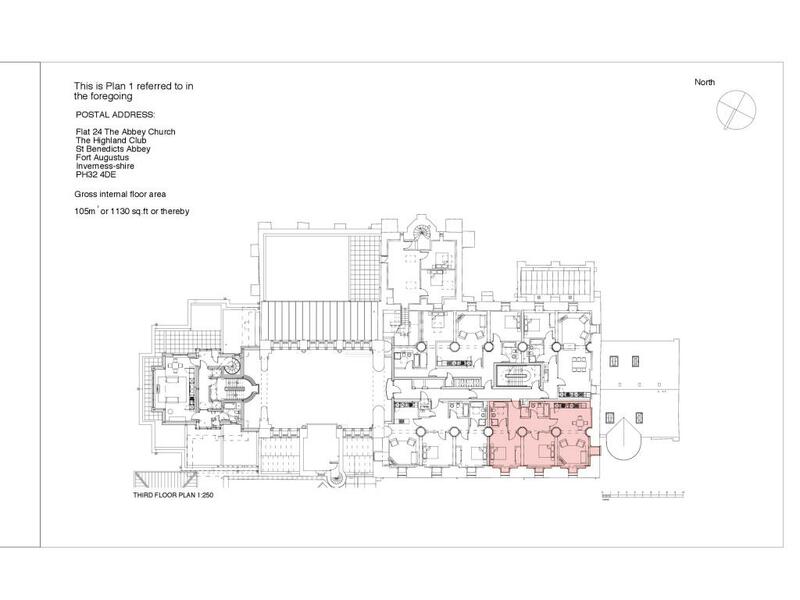 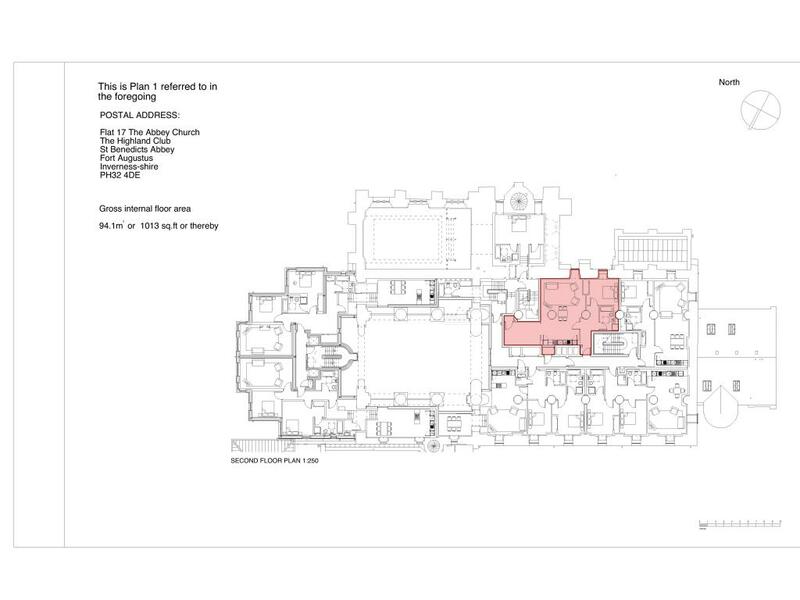 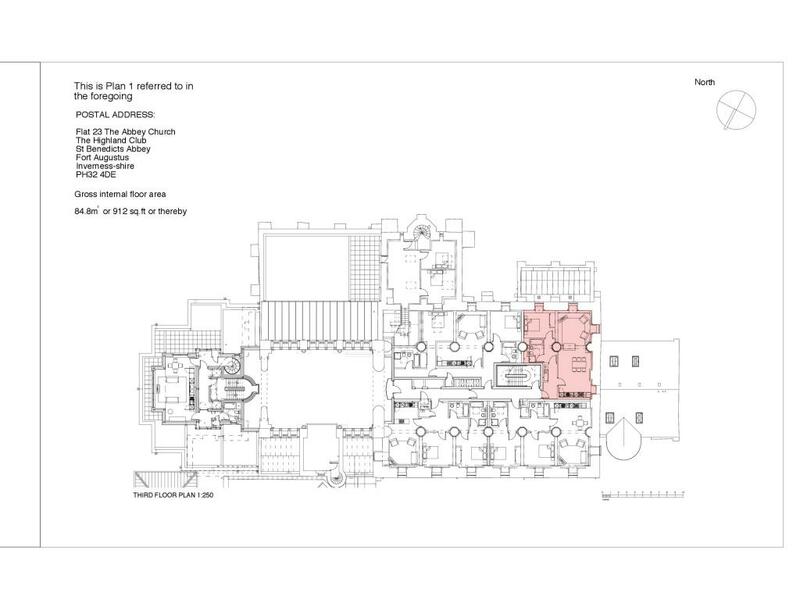 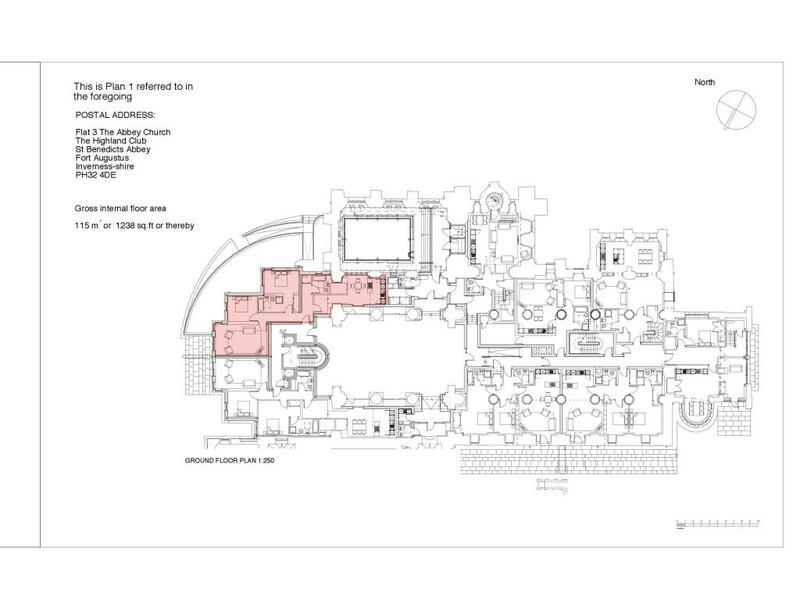 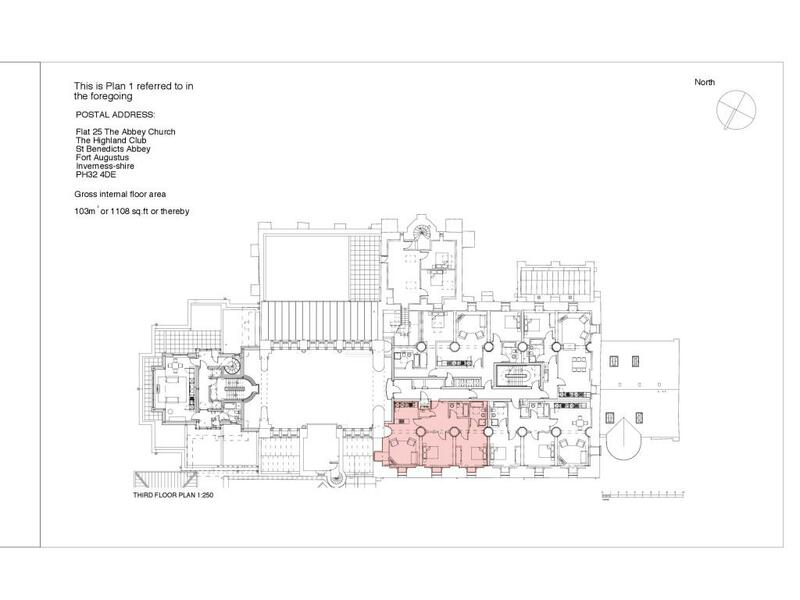 As an added bonus it features a secret room - it’s very own organ loft converted into a spectacular hideaway with its own UHD 4K 75” screen and a PS4 games console. 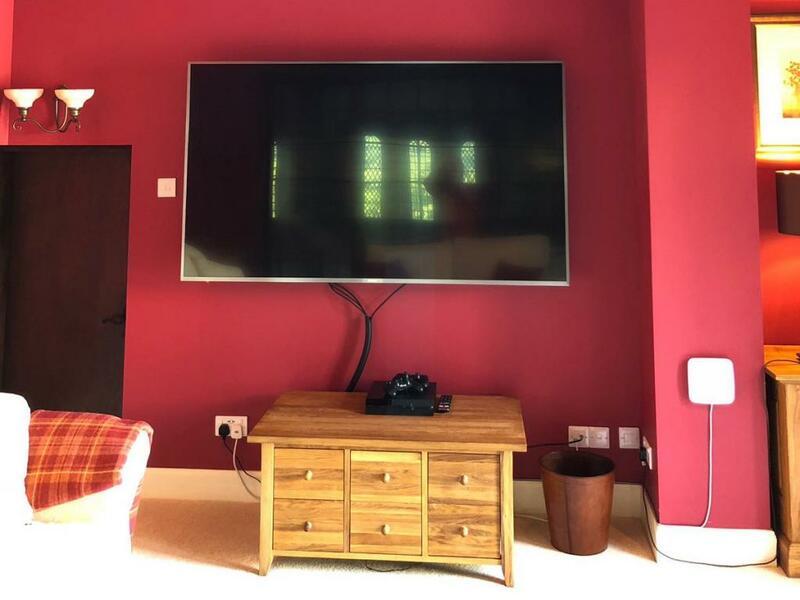 Screen a cinema night or choose to watch the World Cup, Wimbledon, Golf, Rugby or any other sport, or play a game and be up close and part of the action. 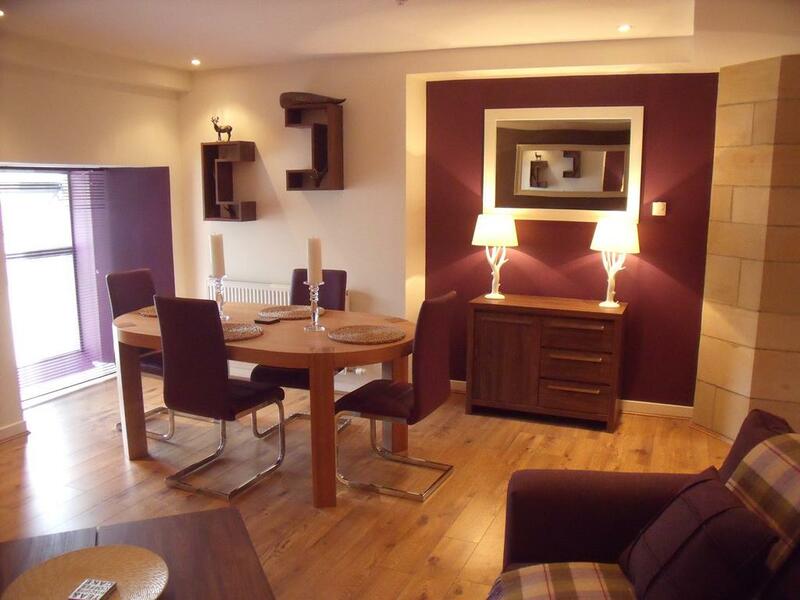 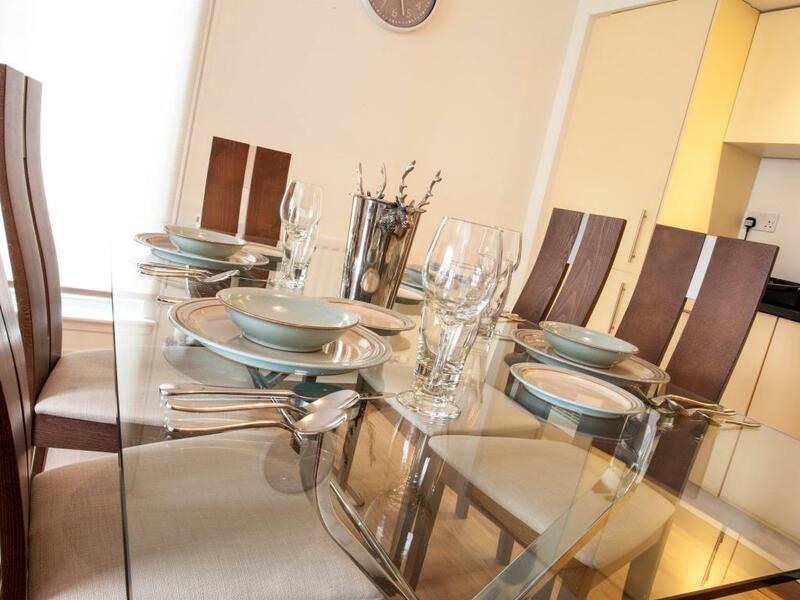 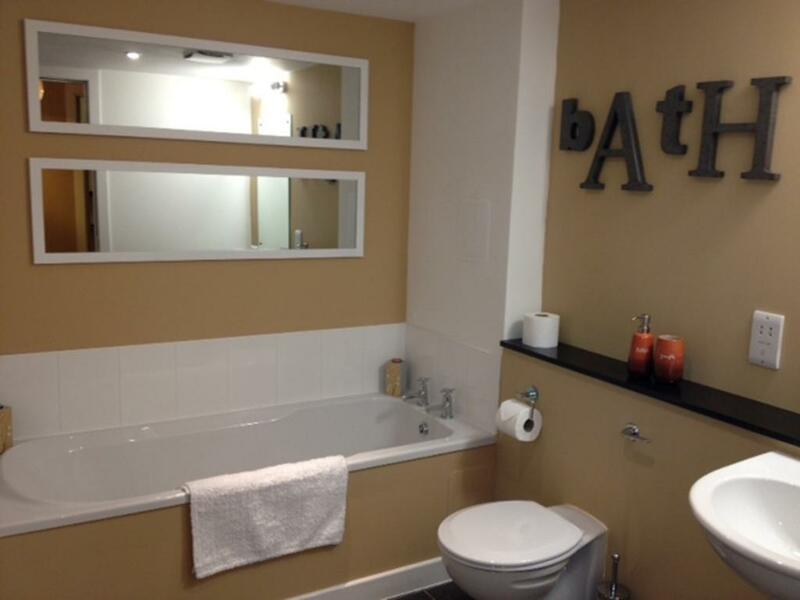 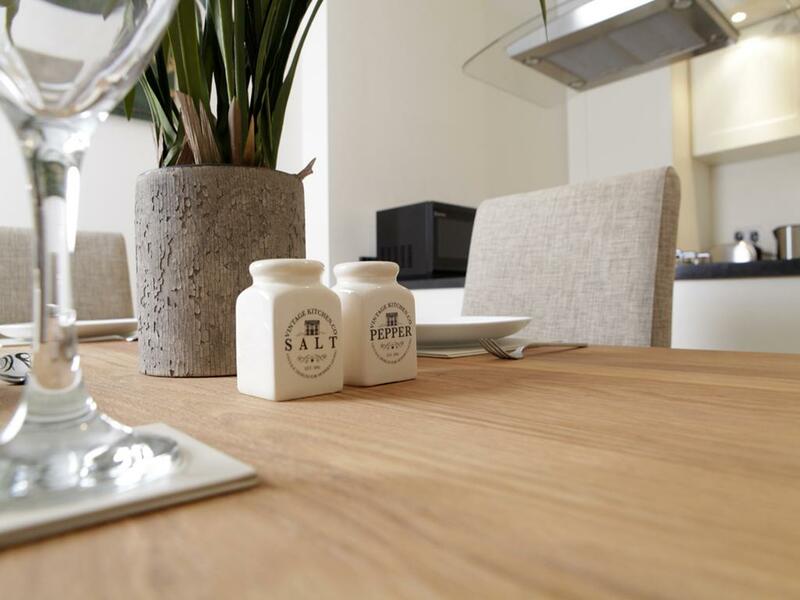 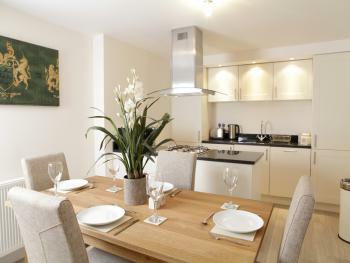 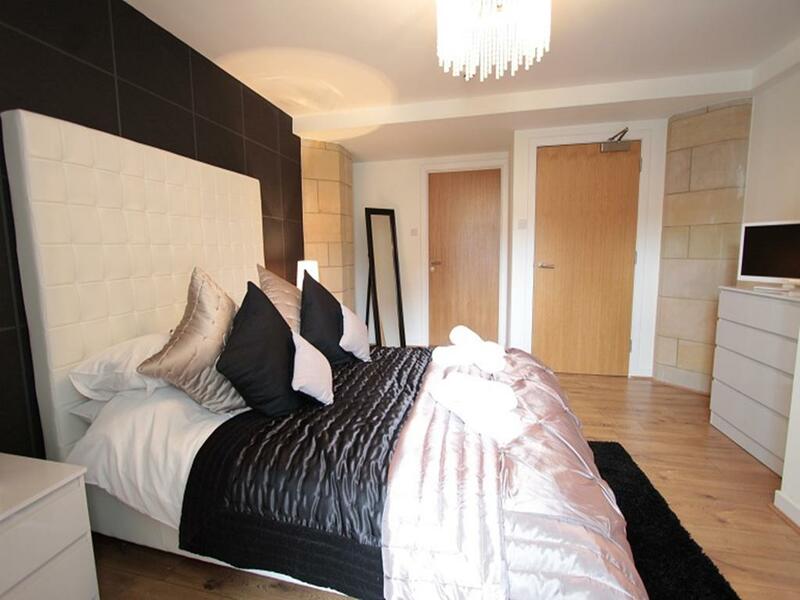 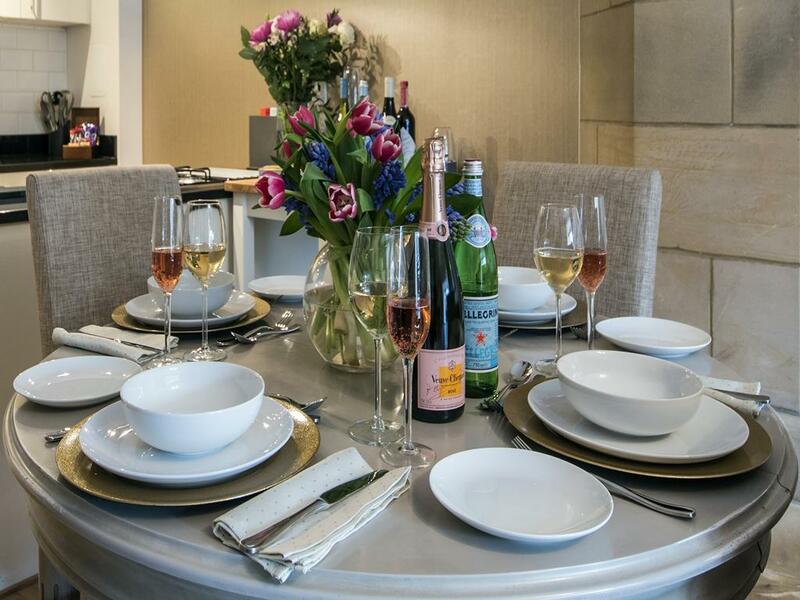 This beautifully appointed apartment would make anyone used to the finer things in life feel completely at home. 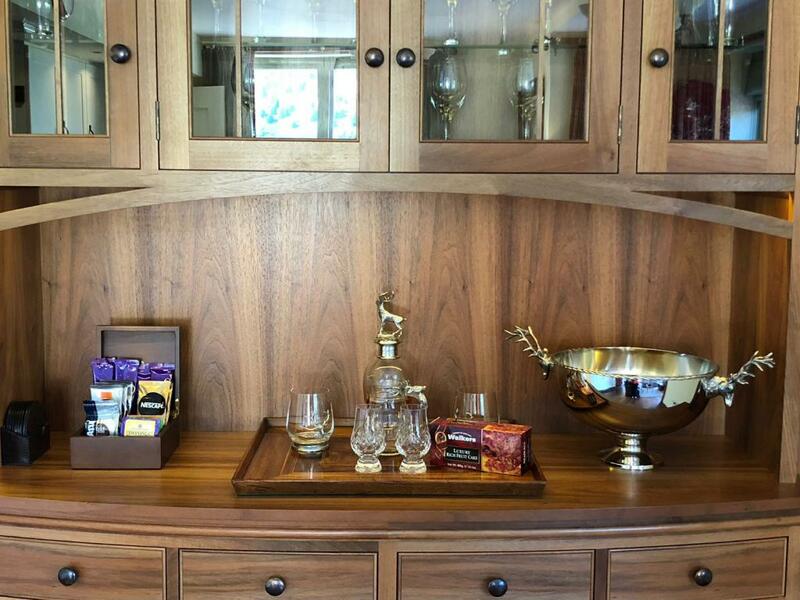 From the bespoke solid walnut floor supplied and fitted by royal warrant holders Weldon to the bespoke walnut cabinetry custom designed and created by NEJ Stevenson, also royal warrant holders and cabinet makers extraordinaire, exuding quality that has to be seen up close to be admired and appreciated. 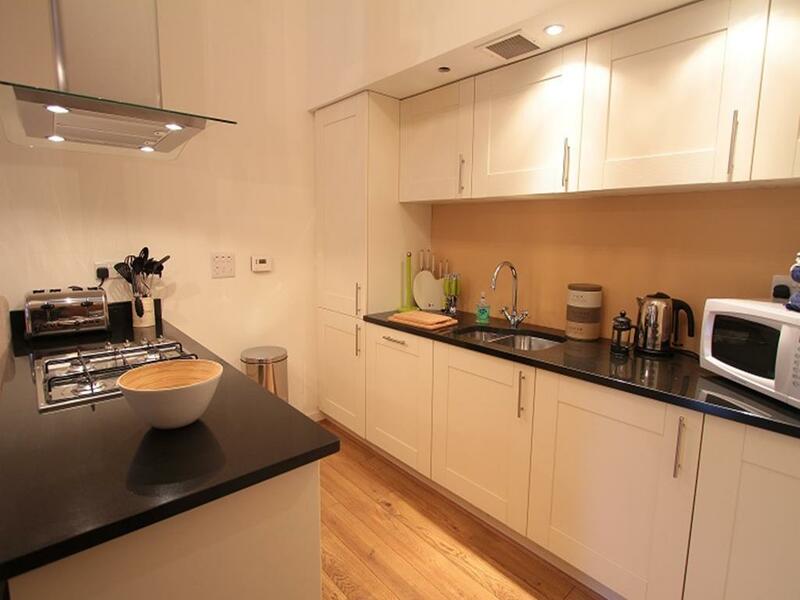 If you're used to starting your day with the perfect cup of coffee from your Nespresso machine you don't need to miss out if you're staying in The Penthouse - bring your favourite flavours with you or fall in love with a new one here.Put your culinary skills to good use with the aga which sits below a unique and ancient fossil splashback which at 50 million years old even pre dates Fort Augustus as well as Nessie! Then dine on a table made made of 50,000 year old Ancient Kauri wood. 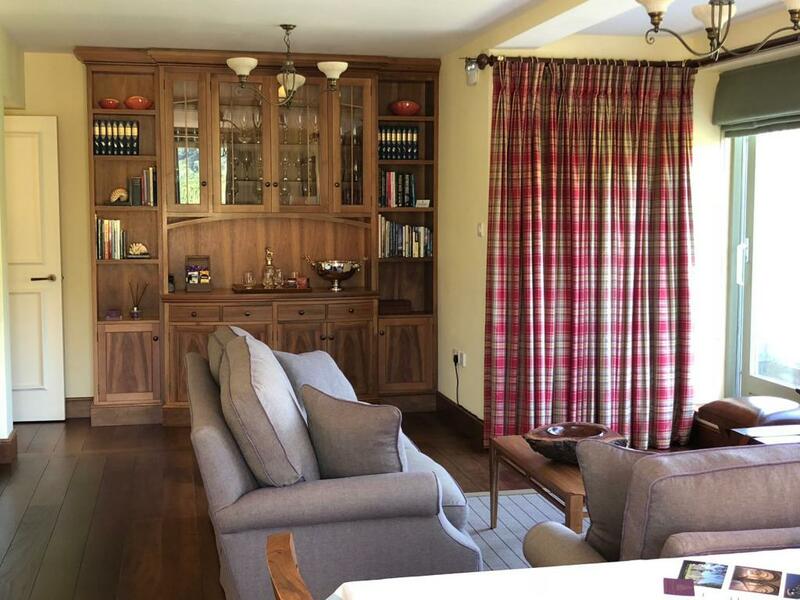 The Anta sofas, carpets and curtains bring a modern Scottish twist to the interiors and enjoy original artwork by notable Scottish Artists Owan Williams, Sandra Hugill and Martin Ridley whilst sipping a wee dram of complimentary Dalwhinnie Single Malt whisky. 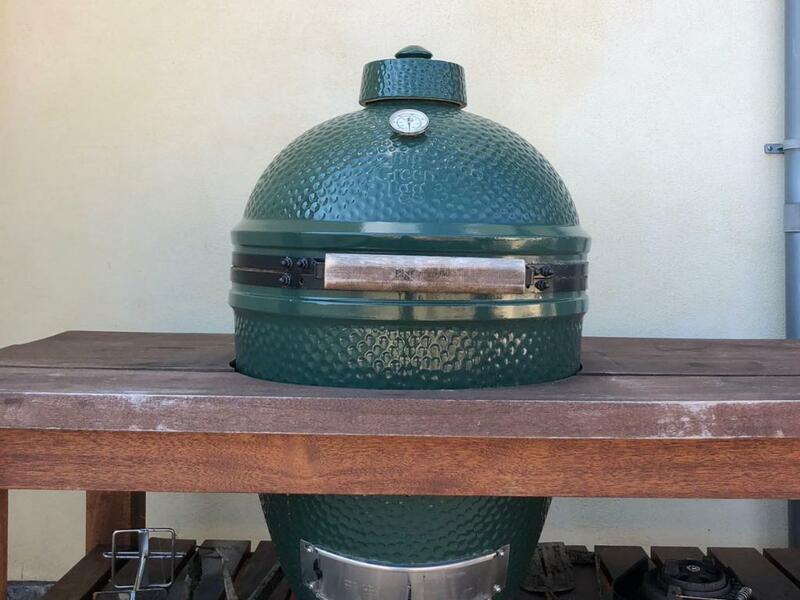 Should the mood take you whatever the weather, the 'Big Green Egg', the original ceramic bbq, on your private balcony can be commandeered to roast a whole chicken, pheasant or other game any time of year. 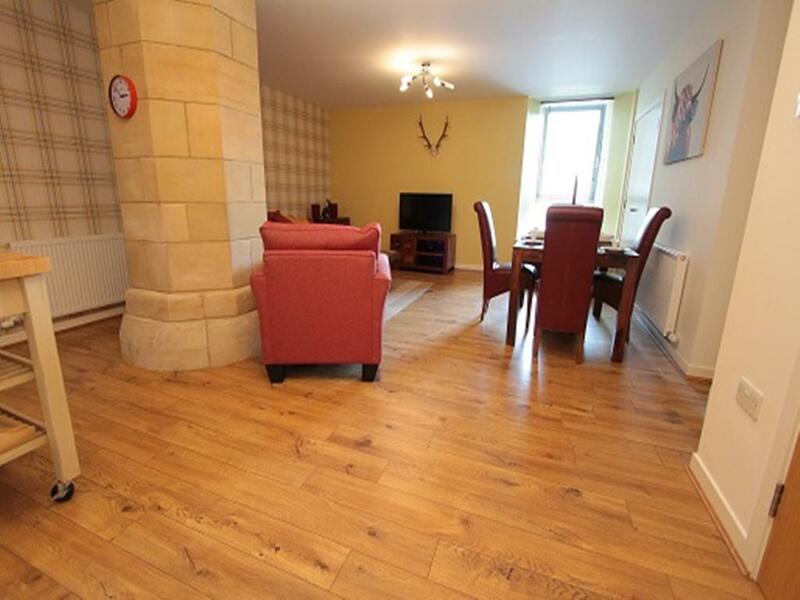 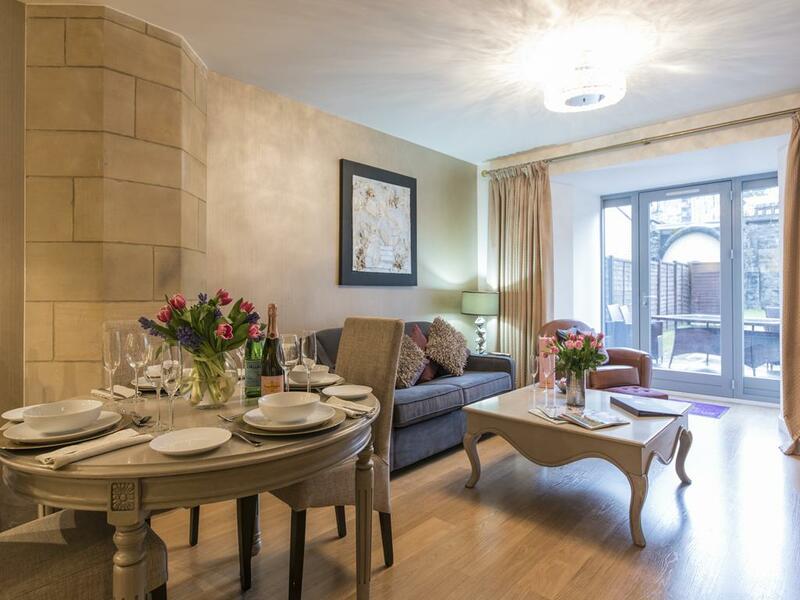 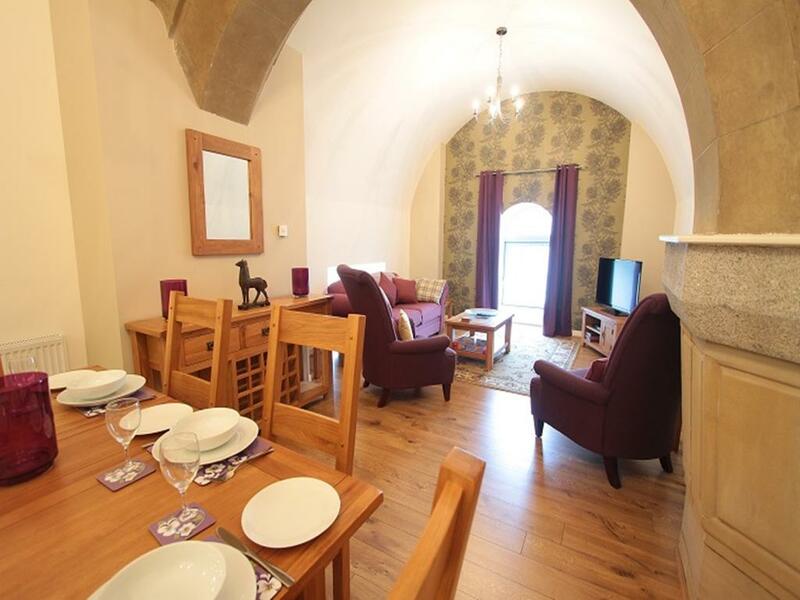 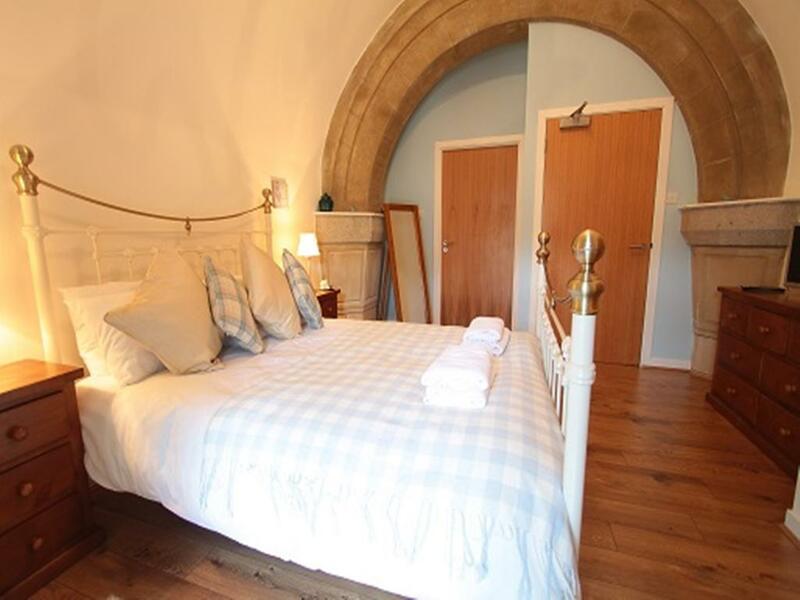 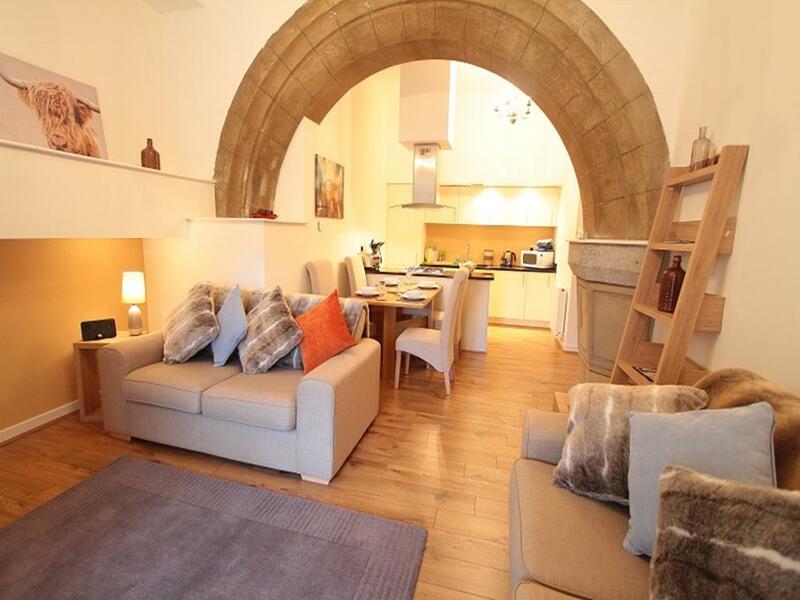 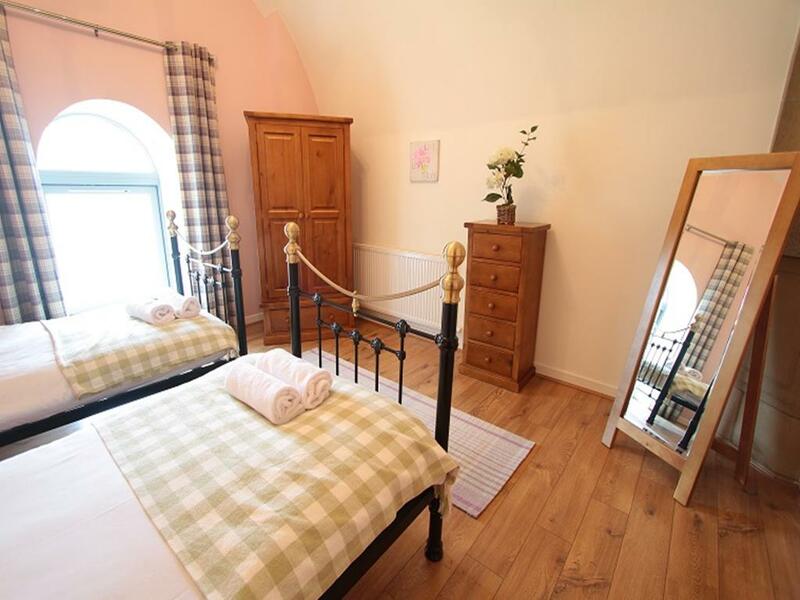 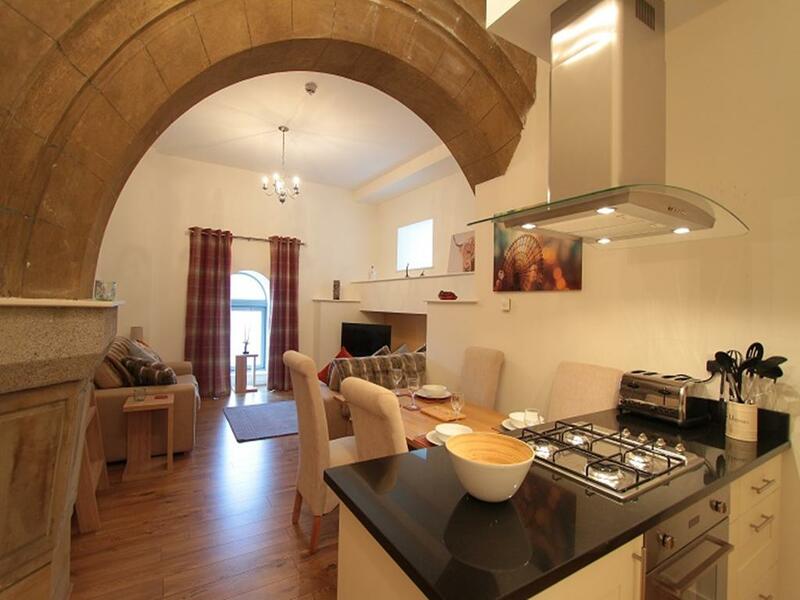 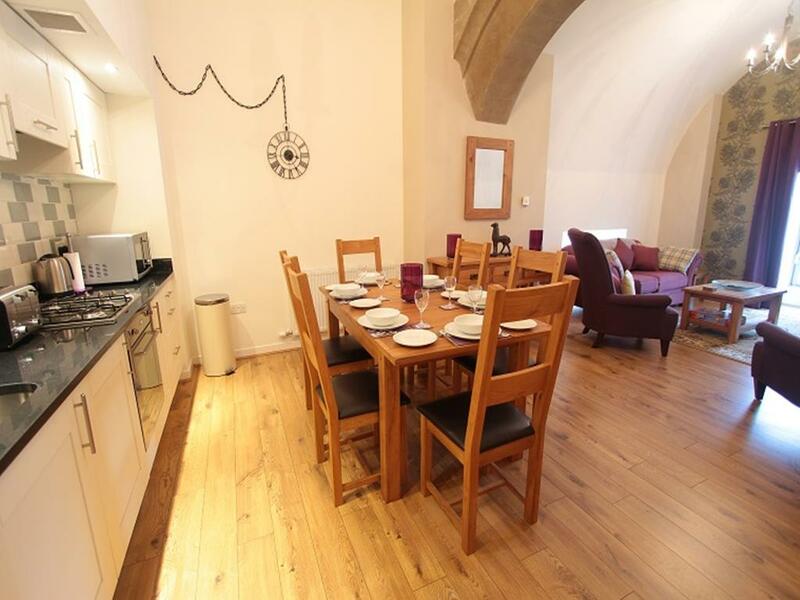 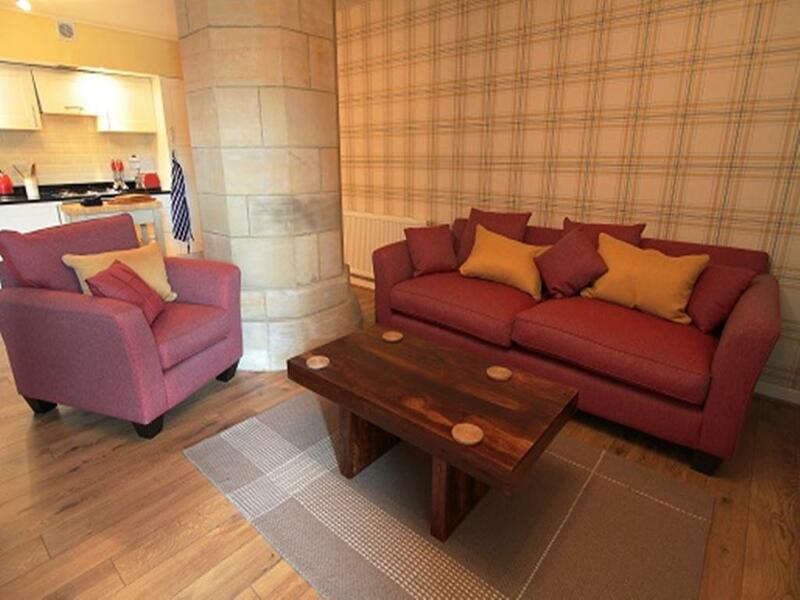 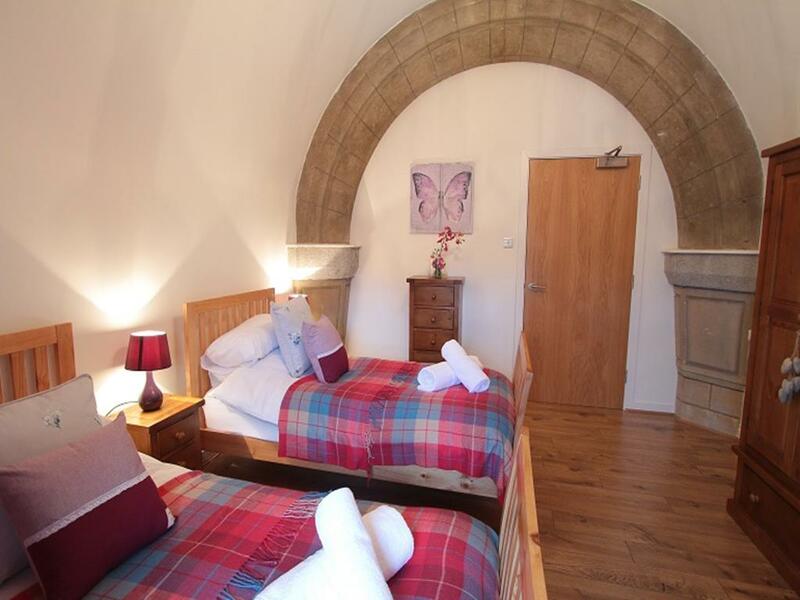 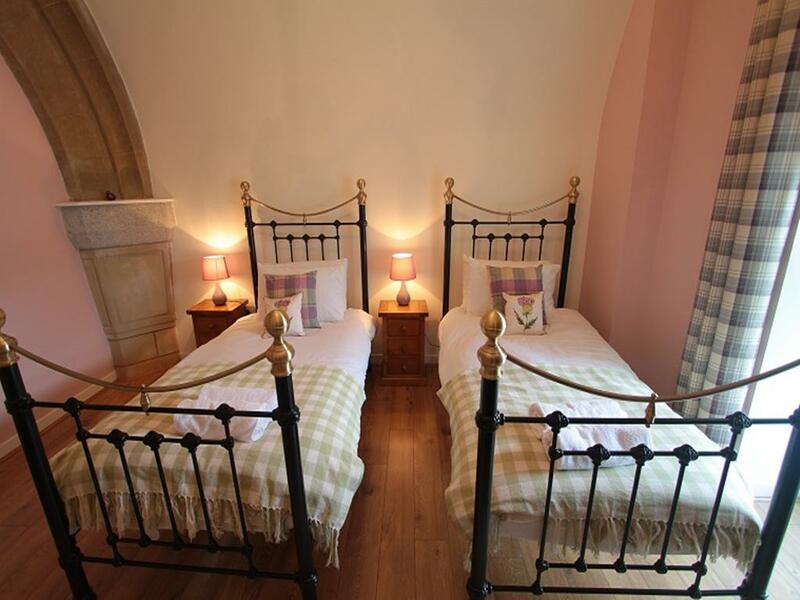 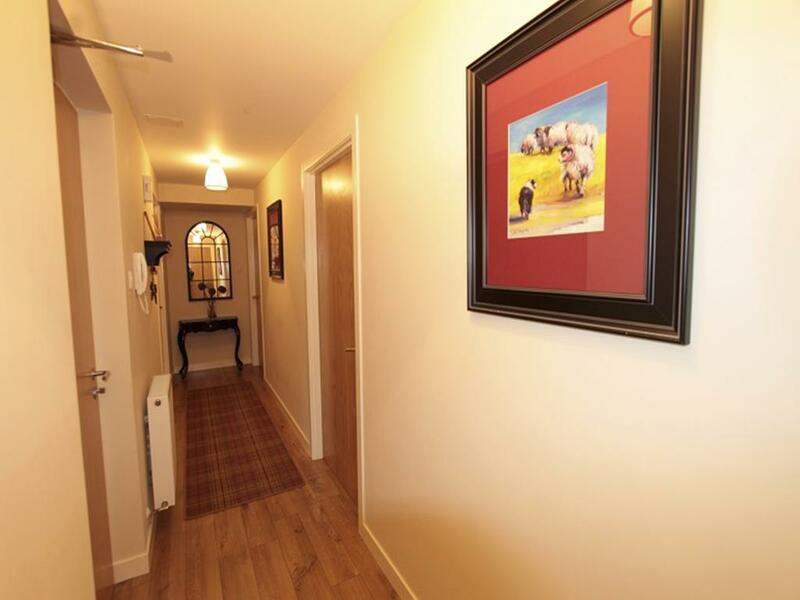 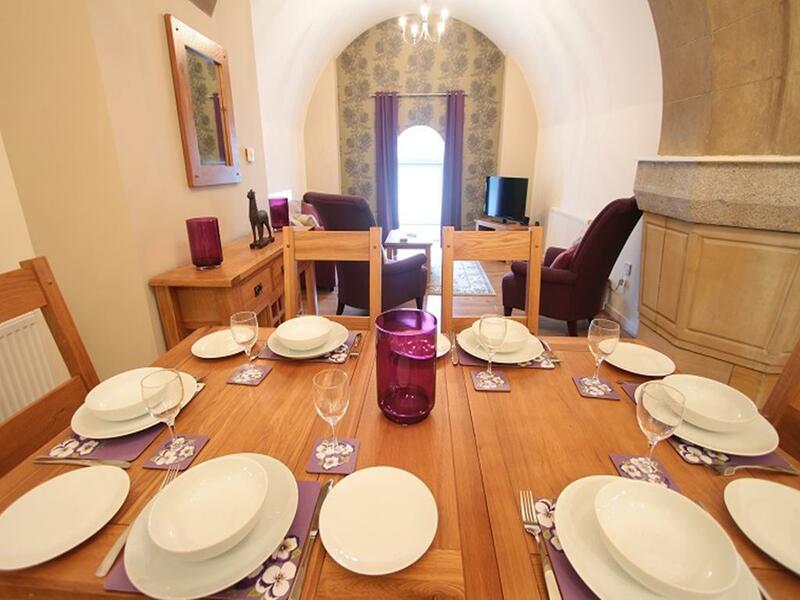 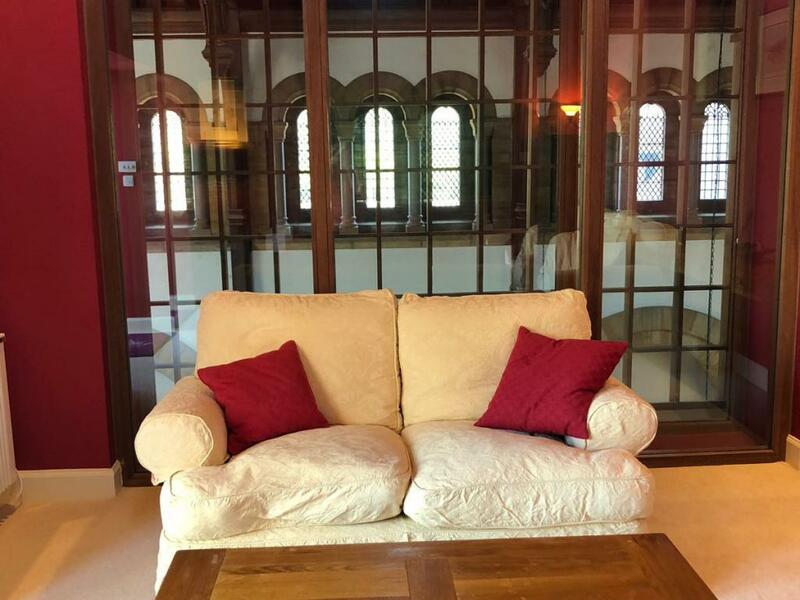 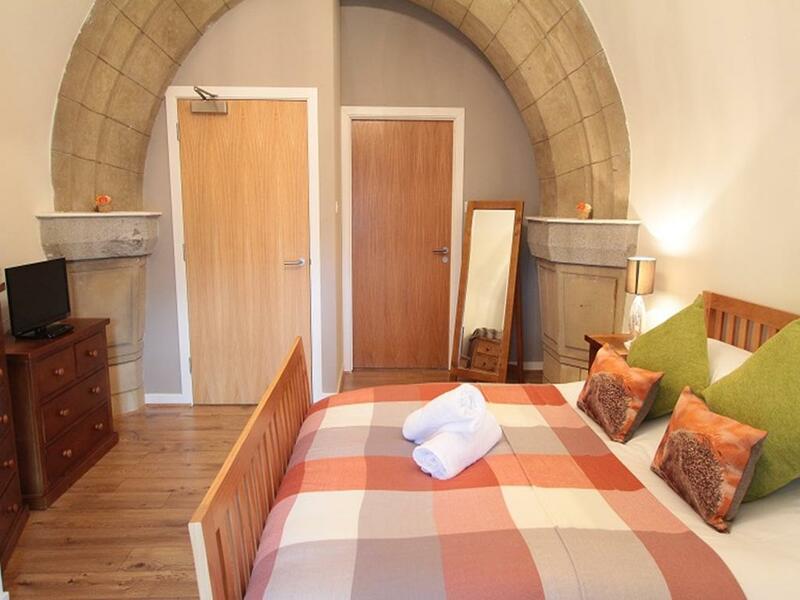 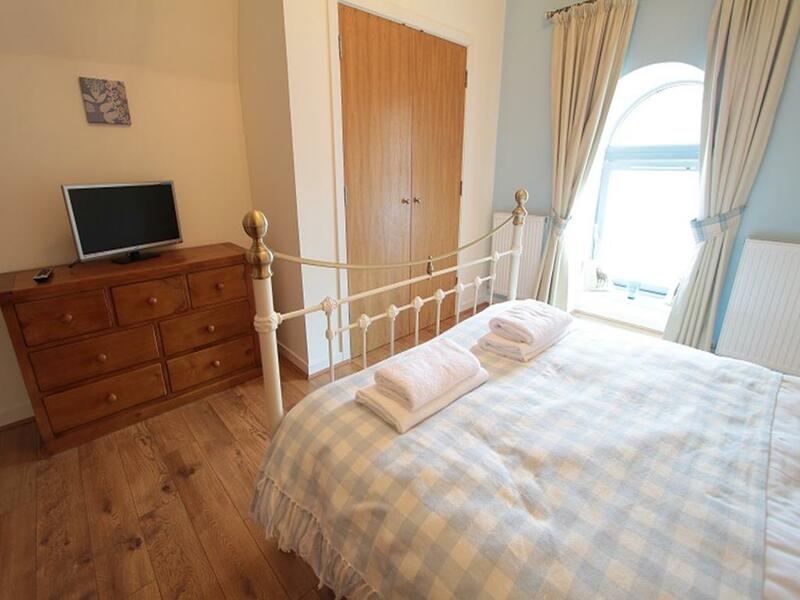 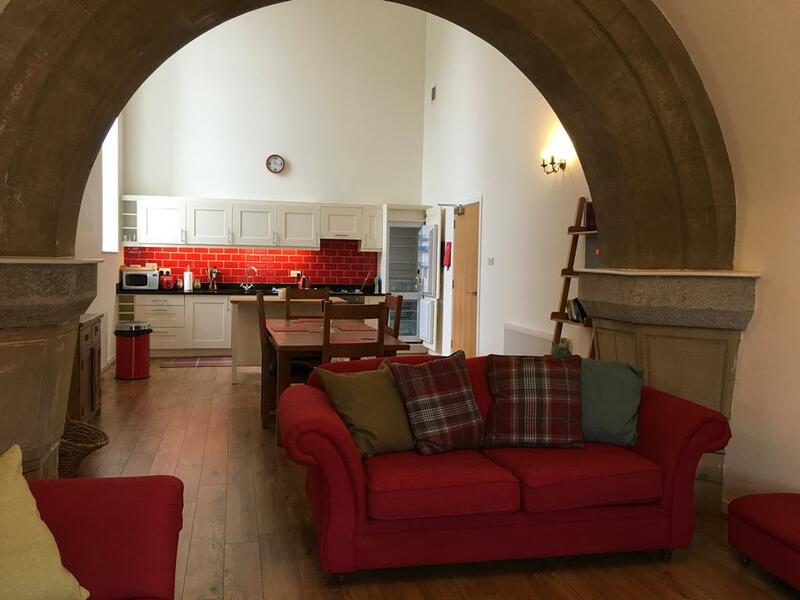 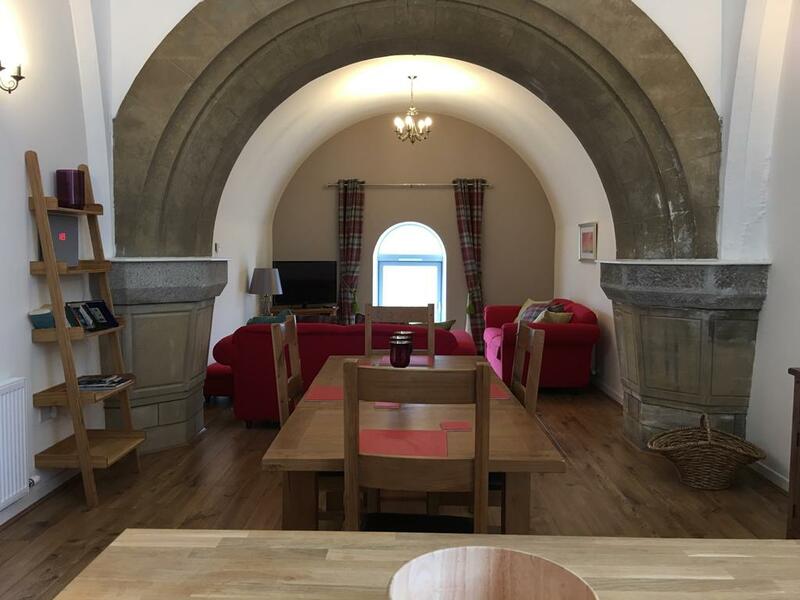 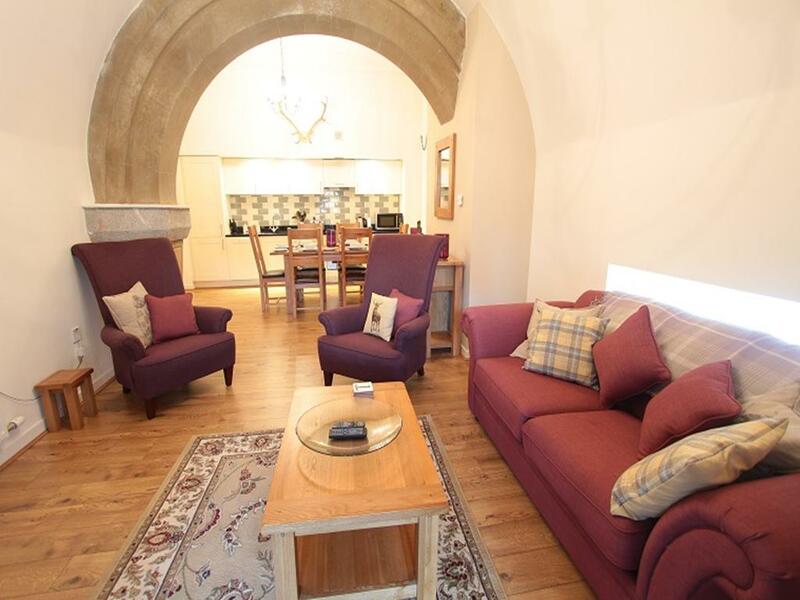 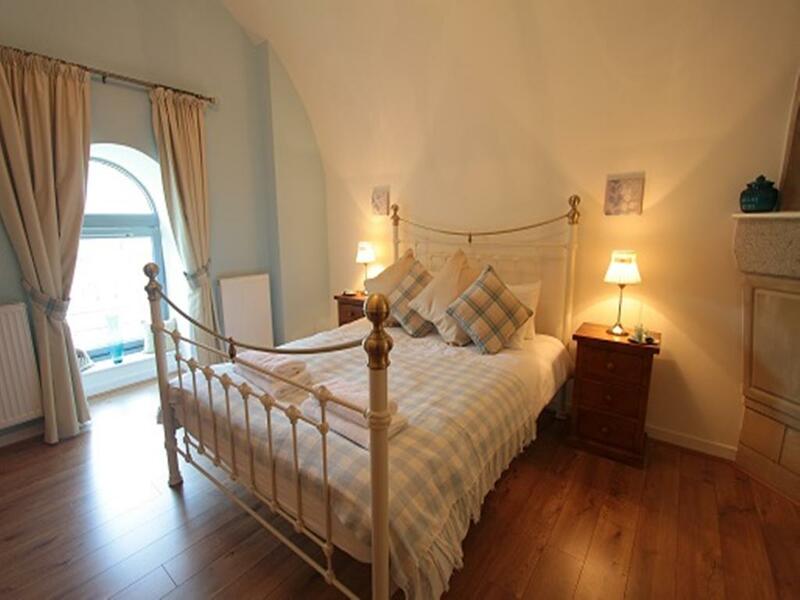 Monastery 10 is a charming attractive 1 bedroom second floor property that combines modern facilities with the historical and unusual features of St Benedict's Abbey. 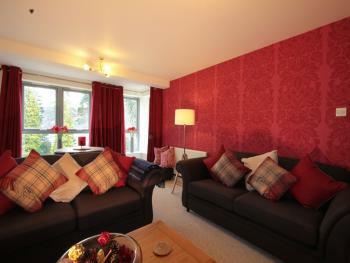 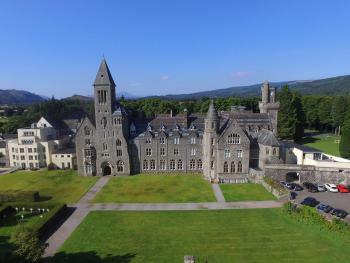 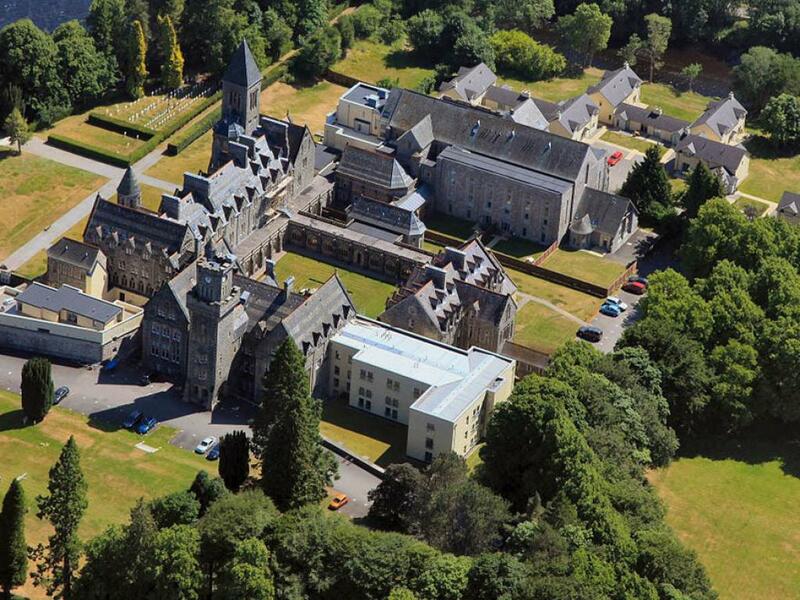 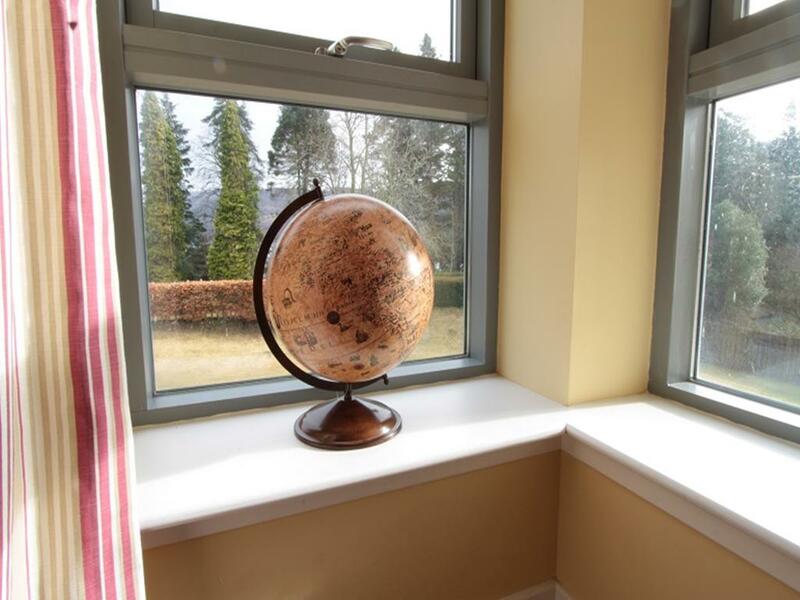 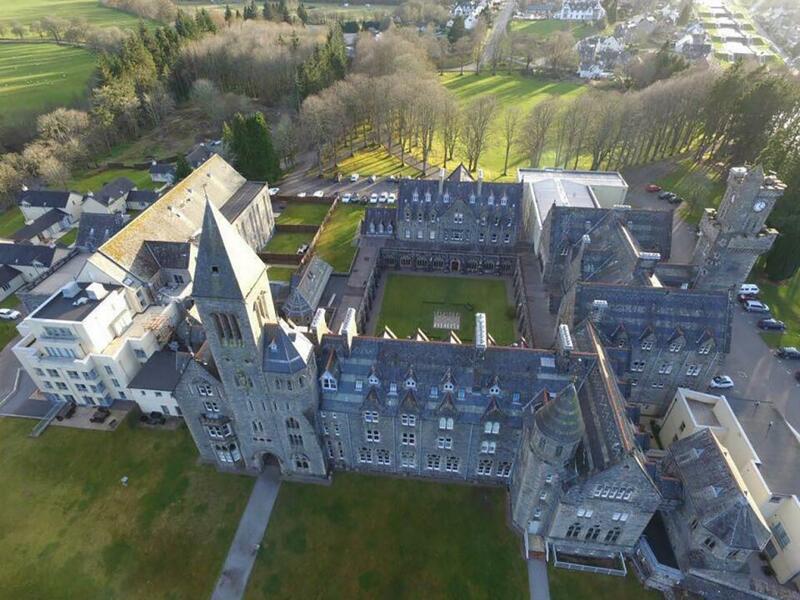 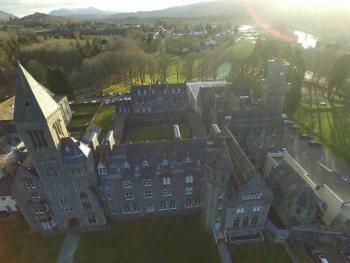 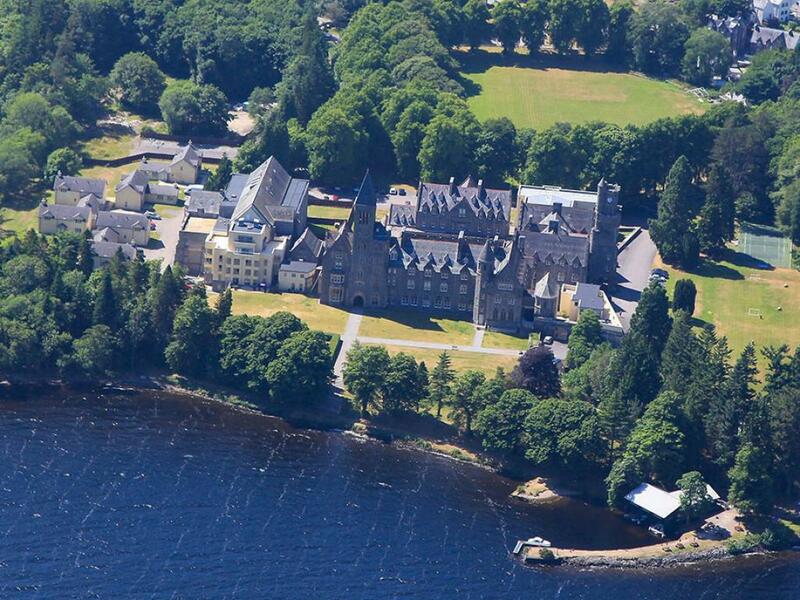 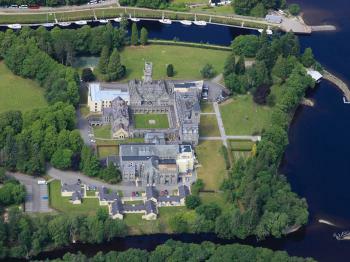 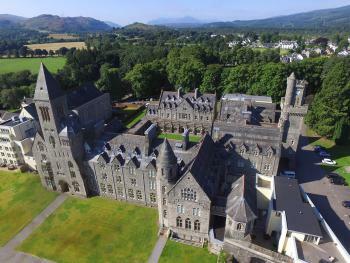 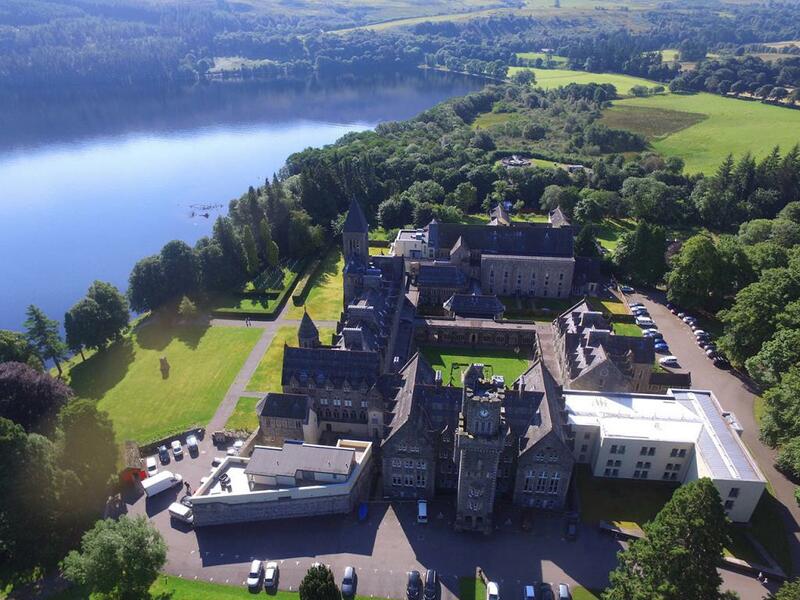 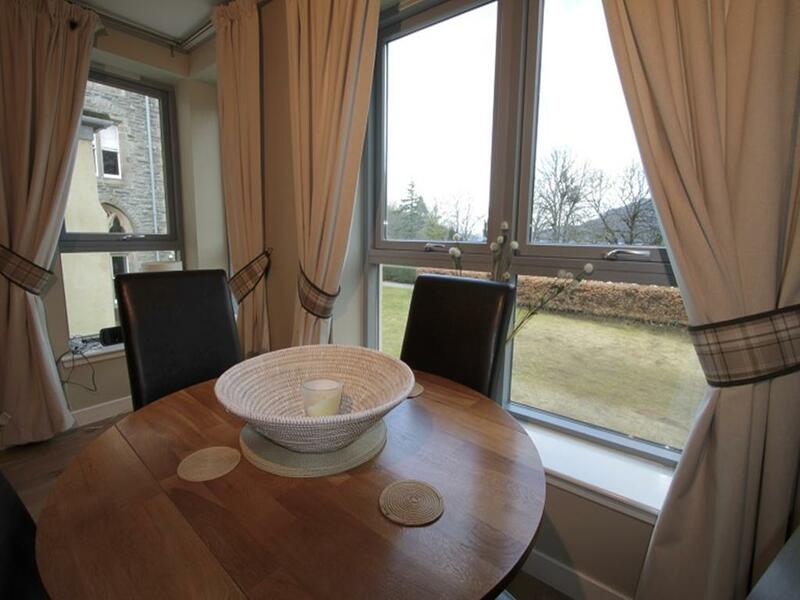 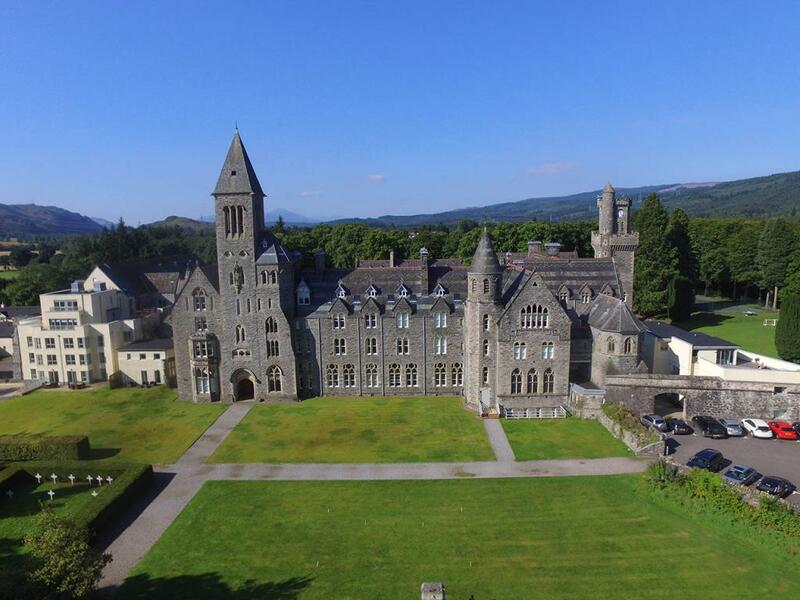 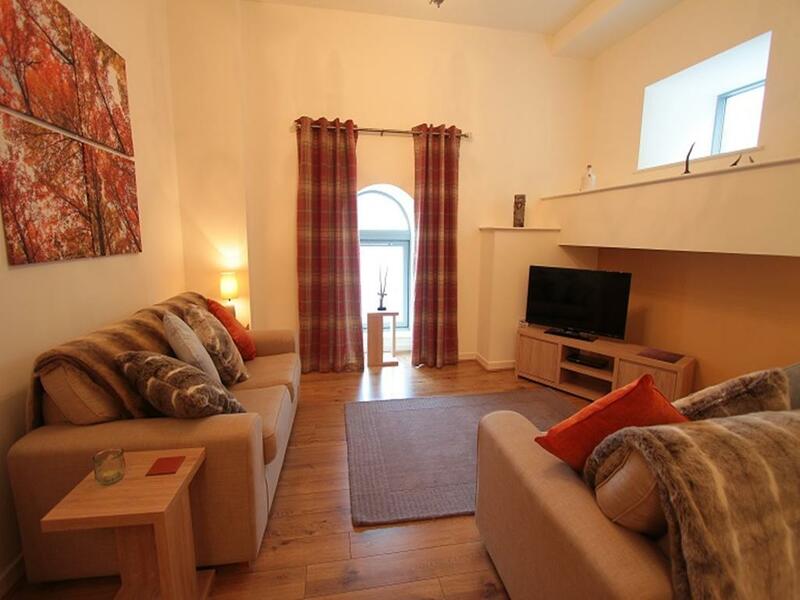 The apartment boasts unrivalled unspoilt views over the Monastery lawn and Loch Ness. 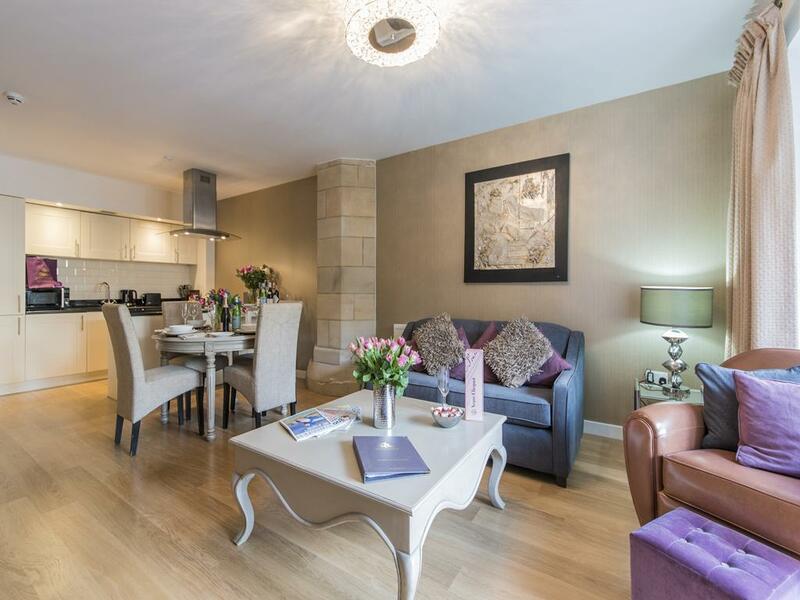 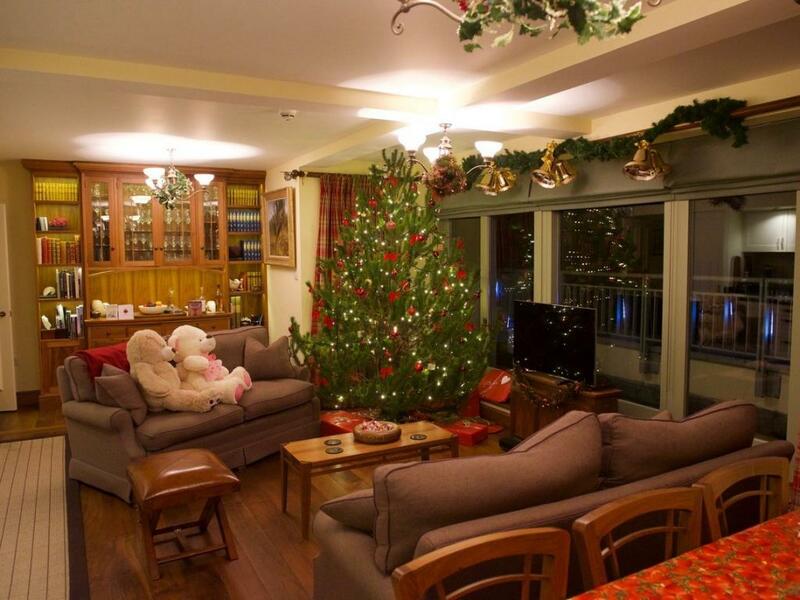 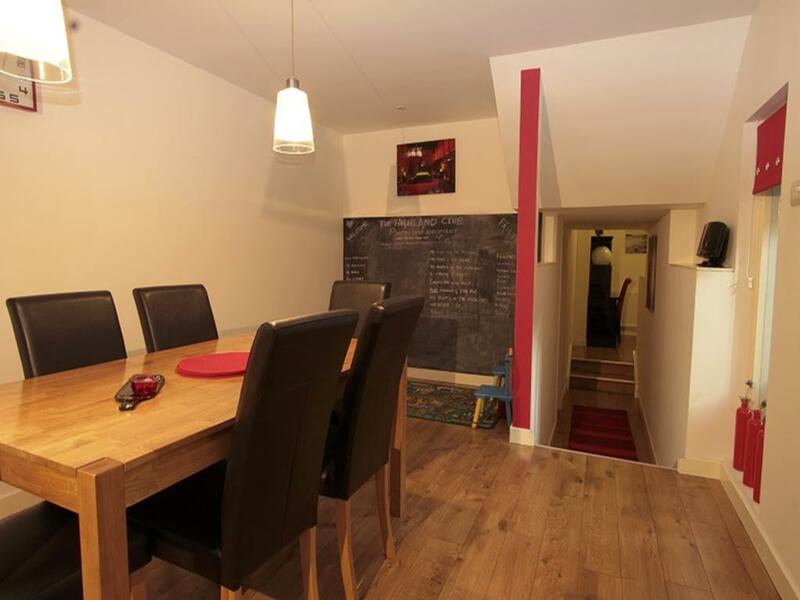 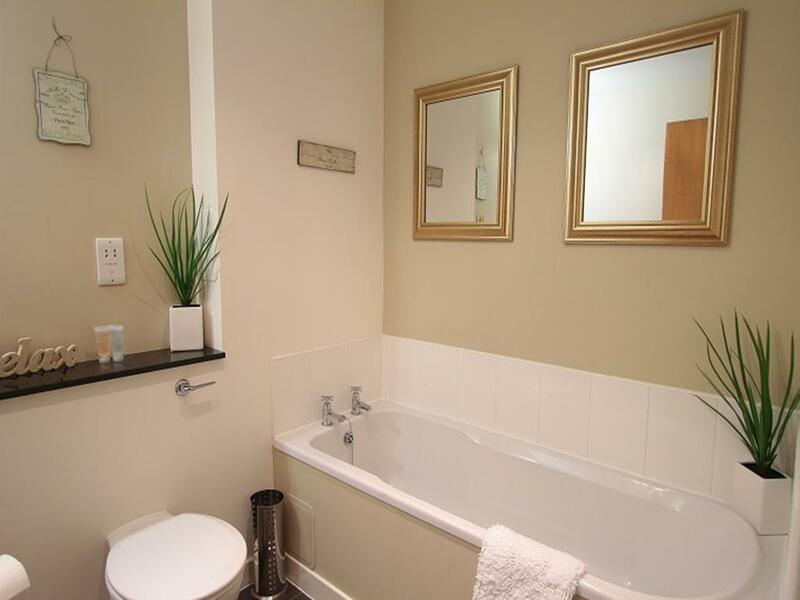 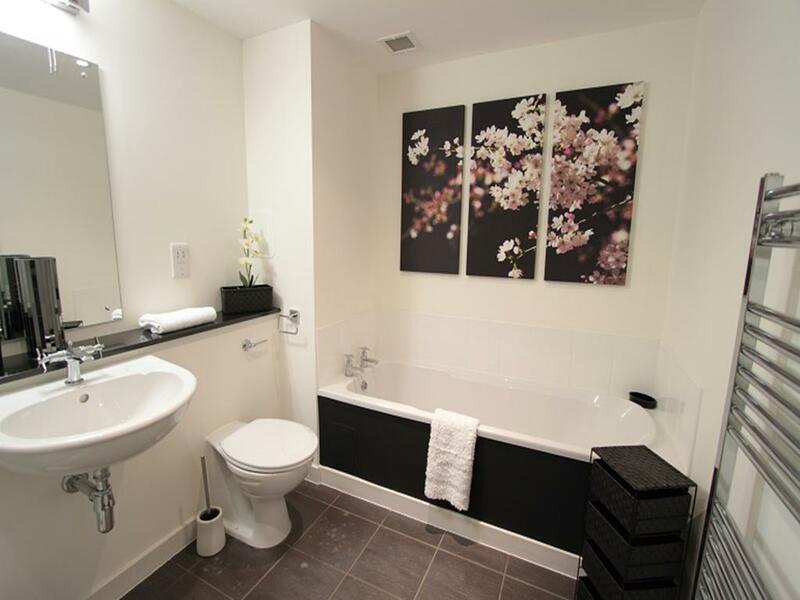 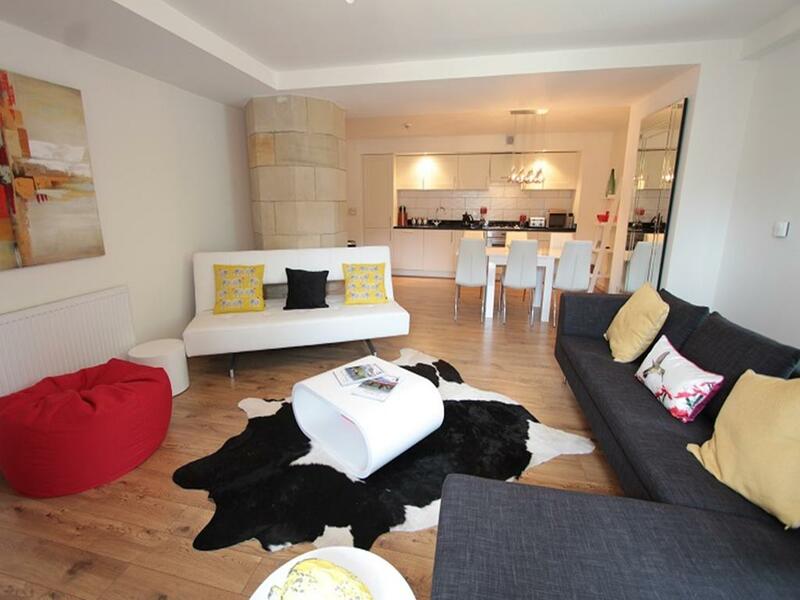 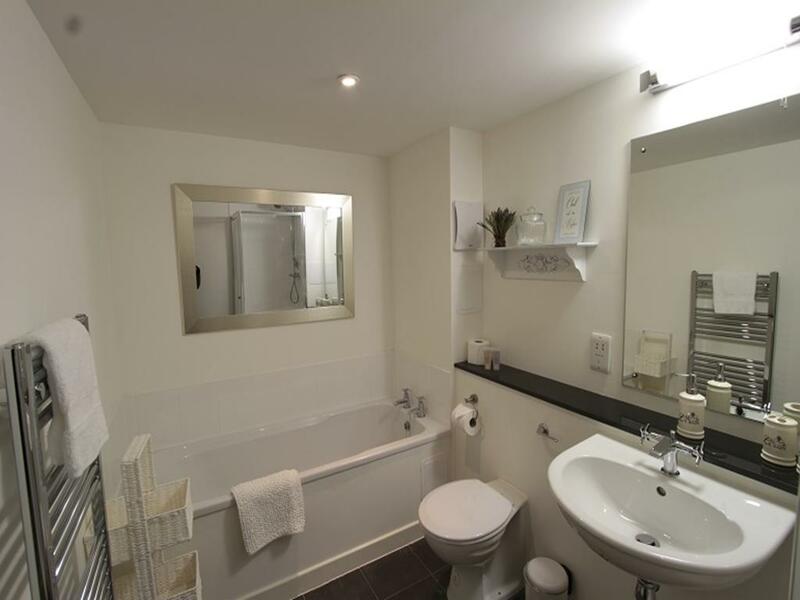 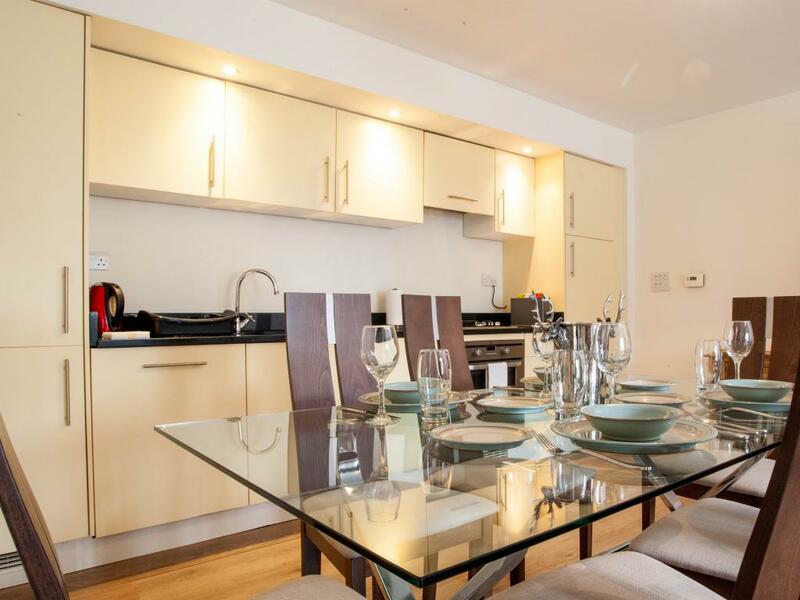 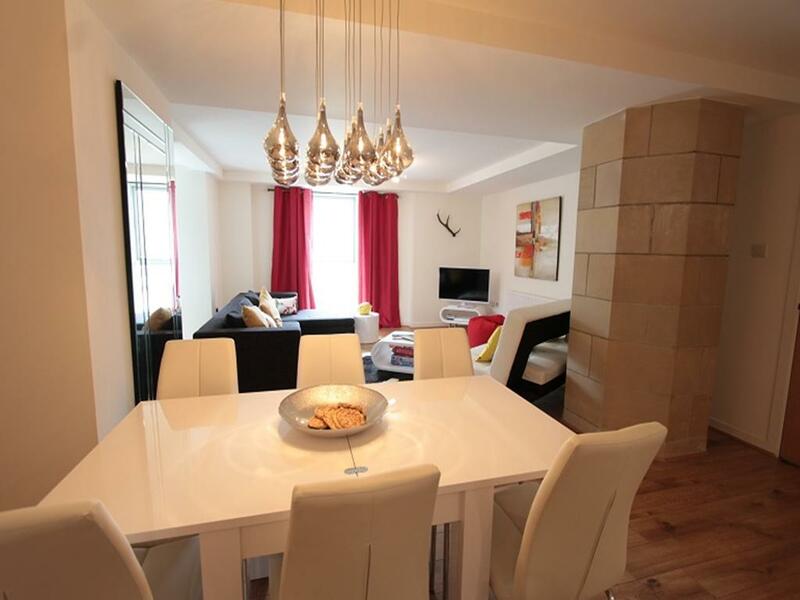 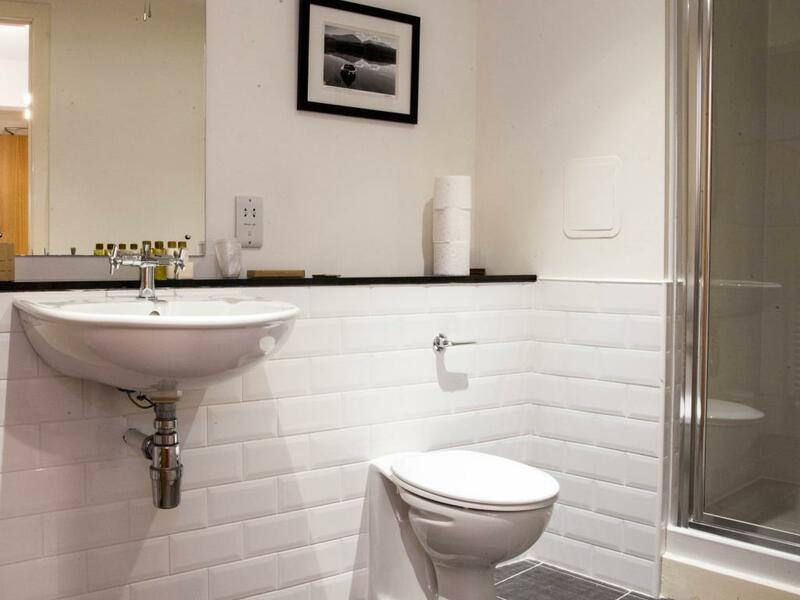 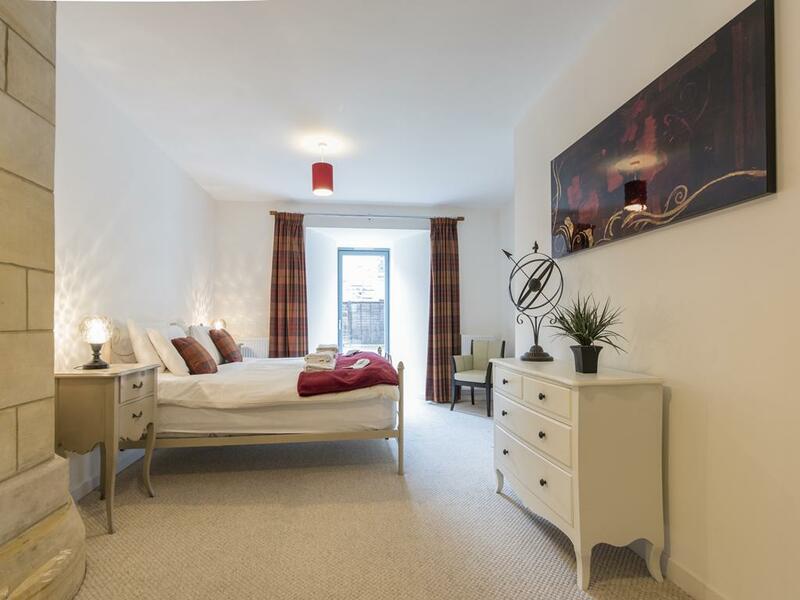 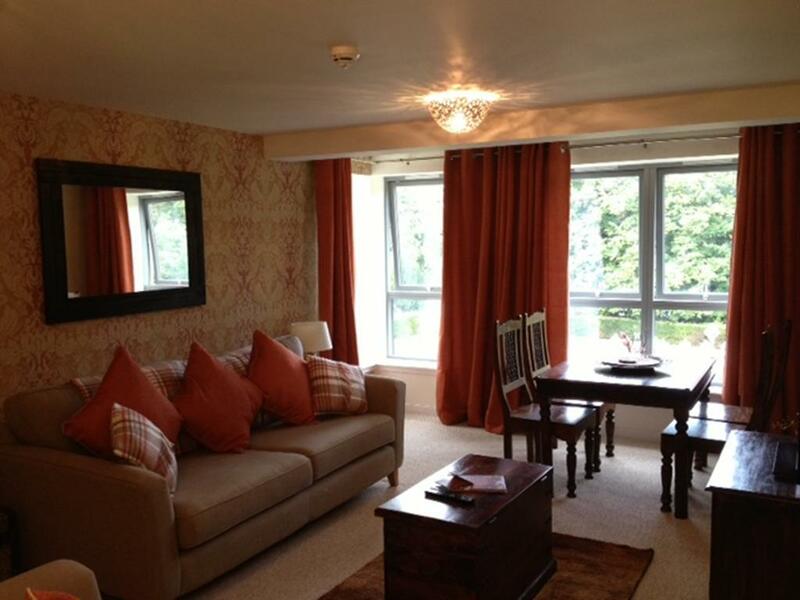 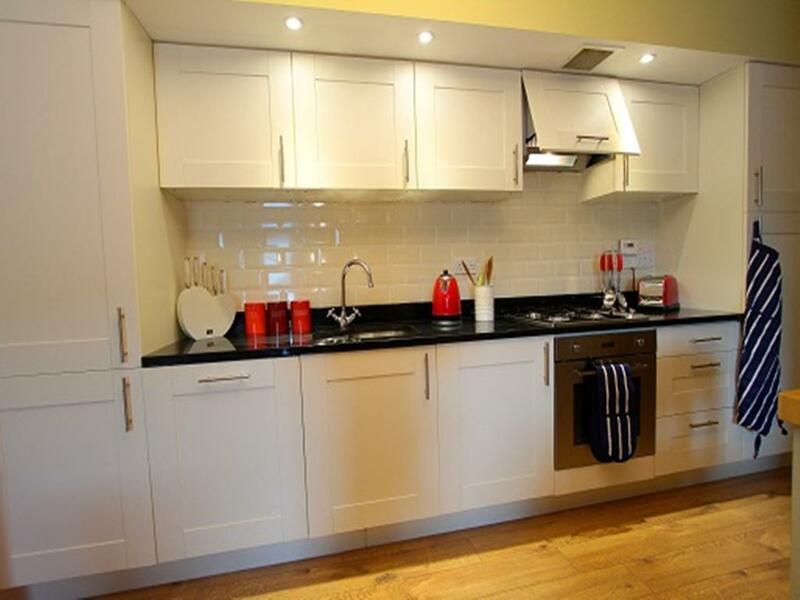 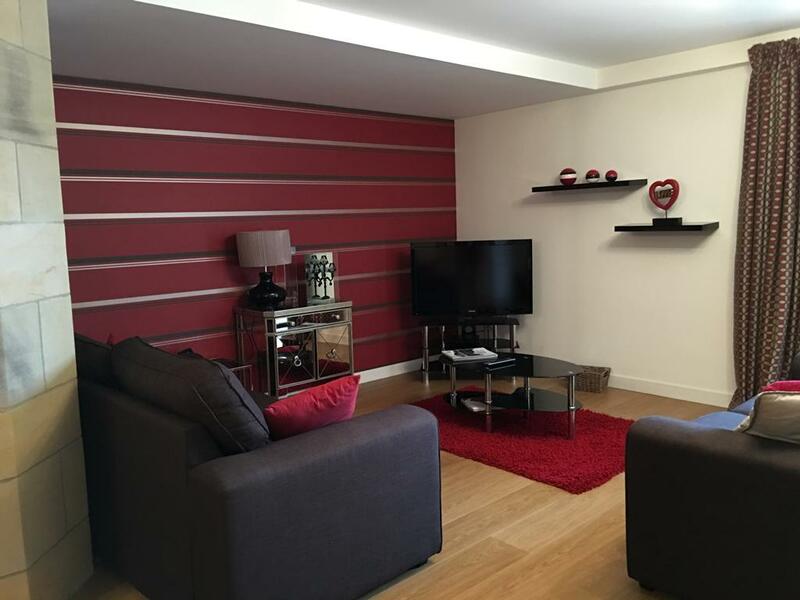 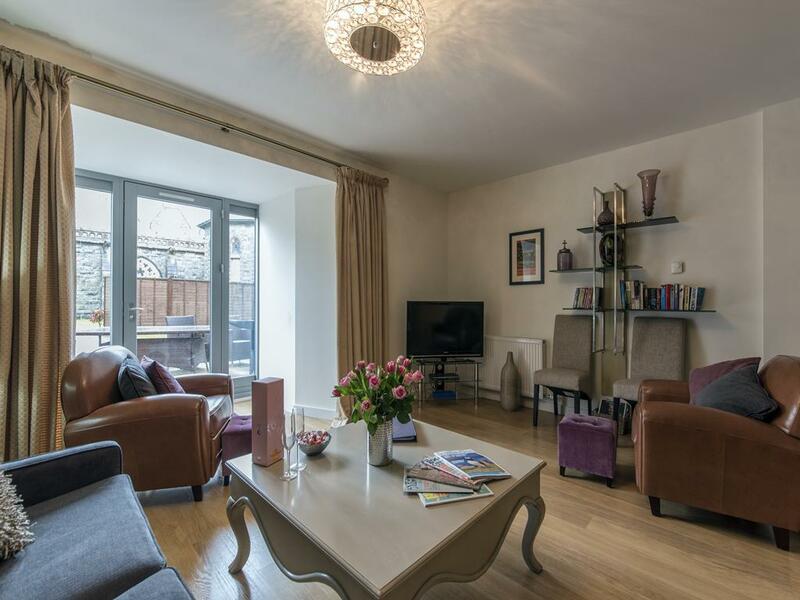 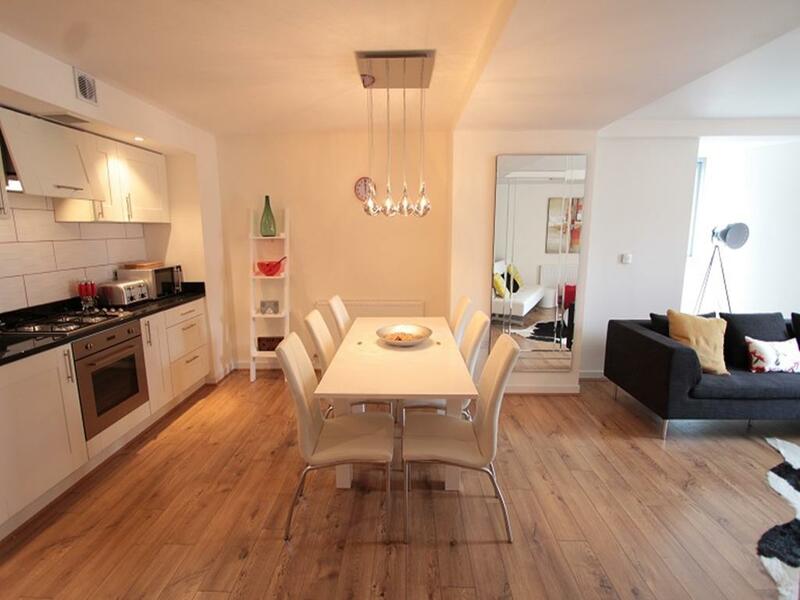 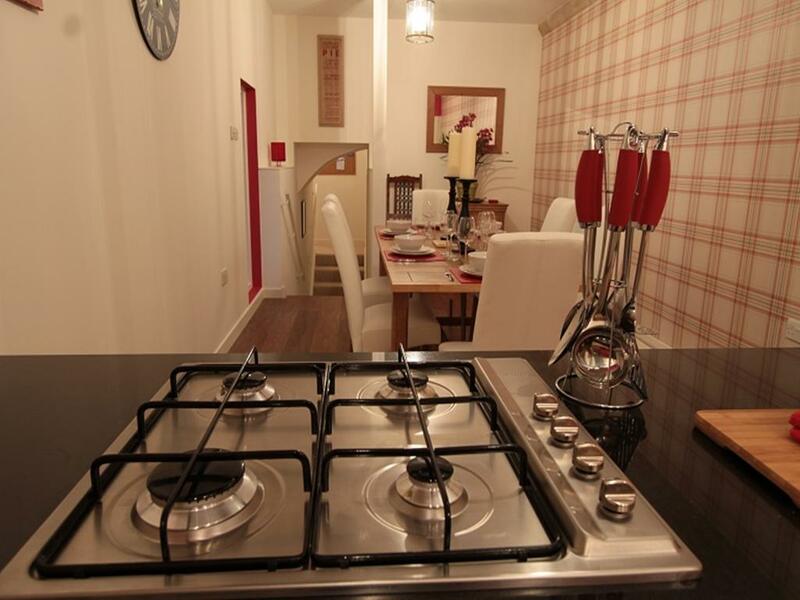 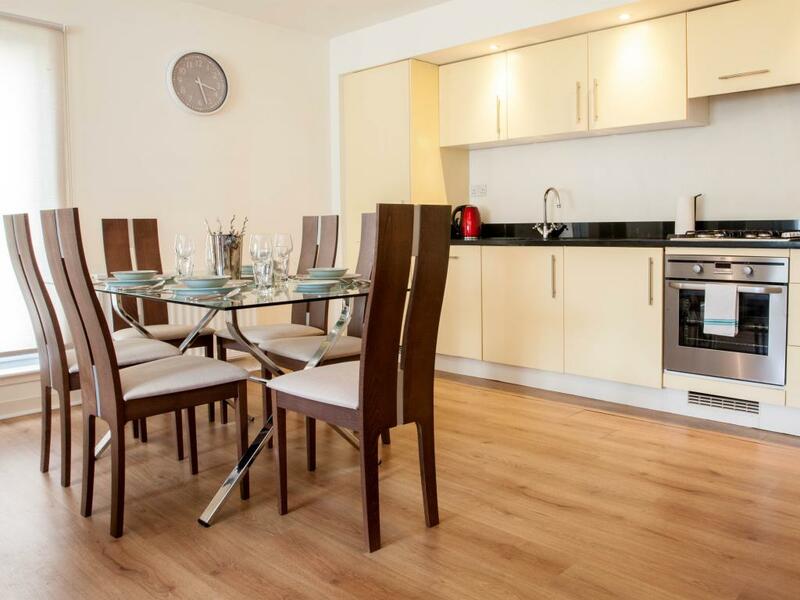 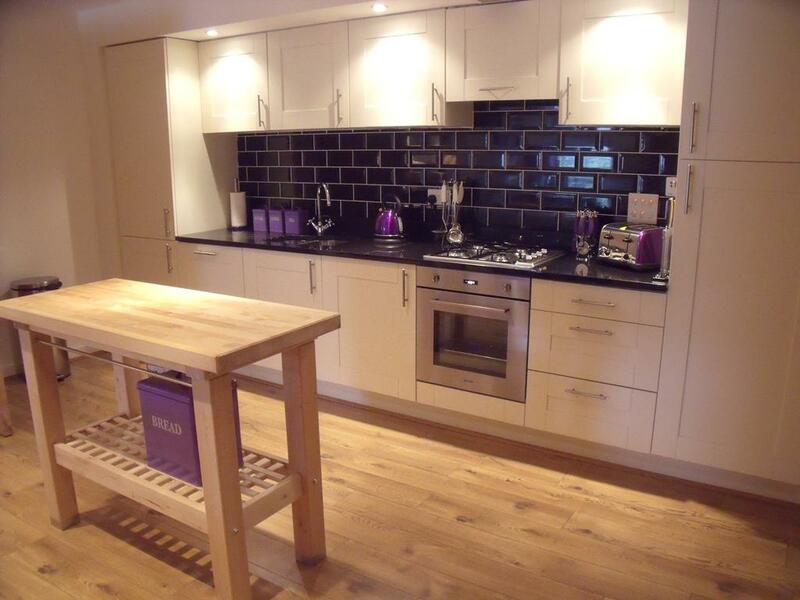 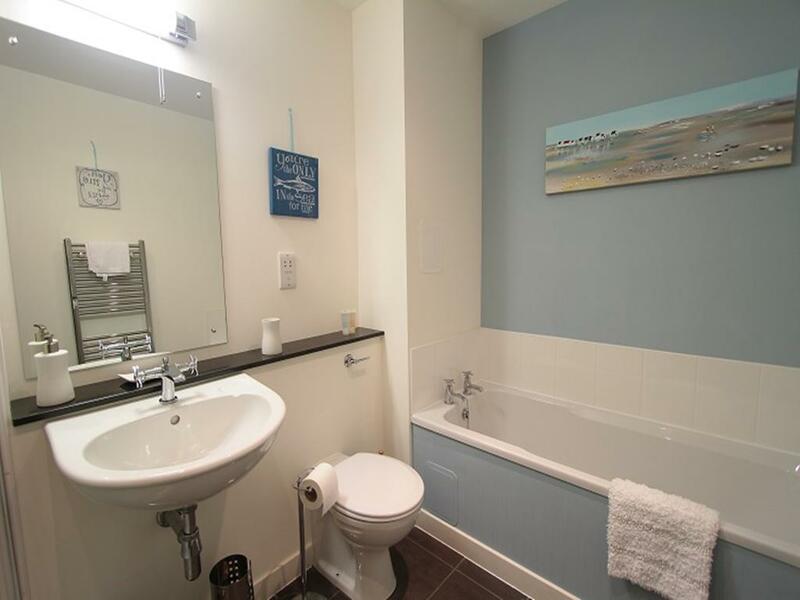 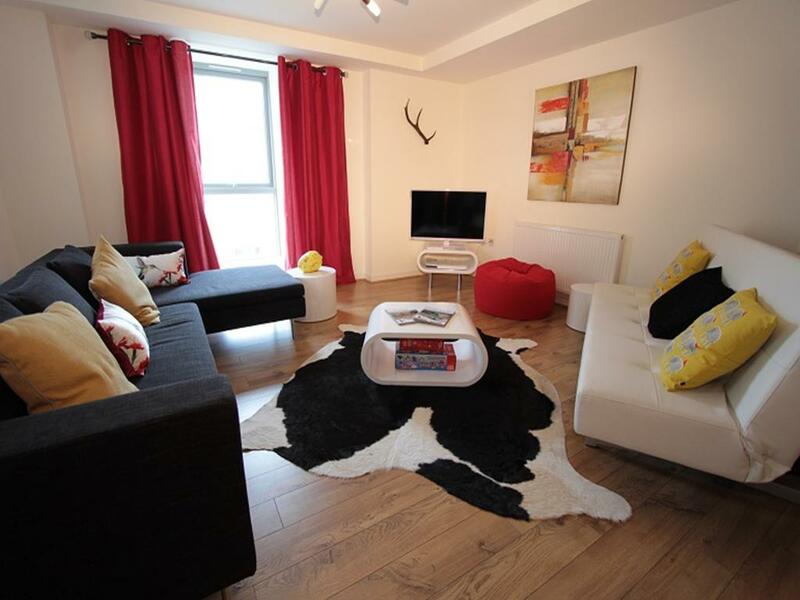 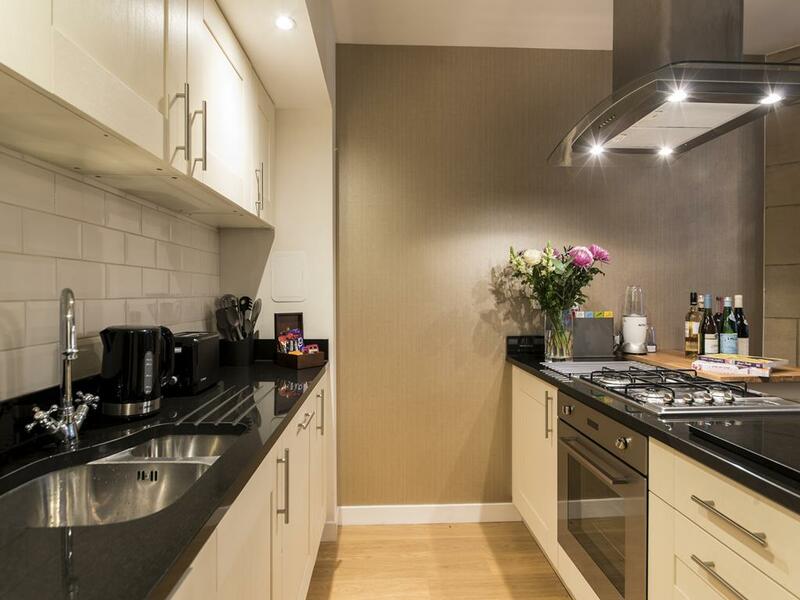 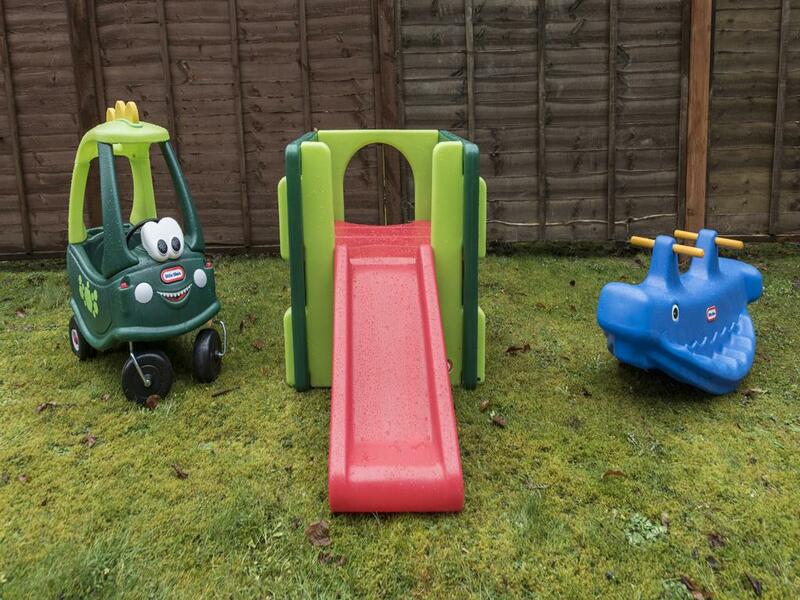 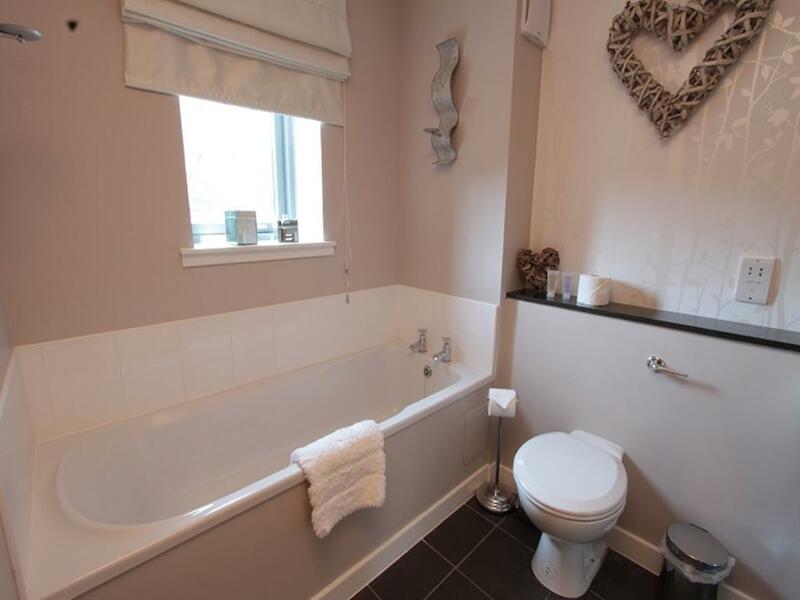 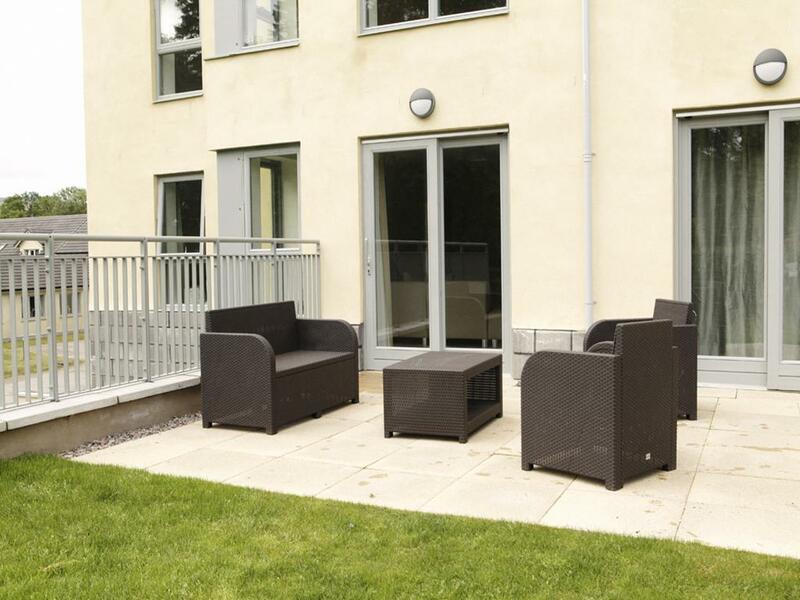 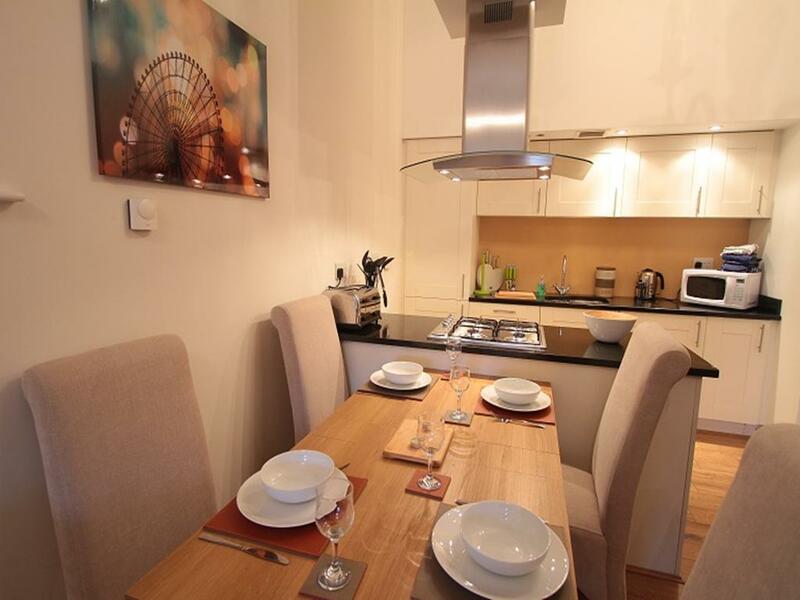 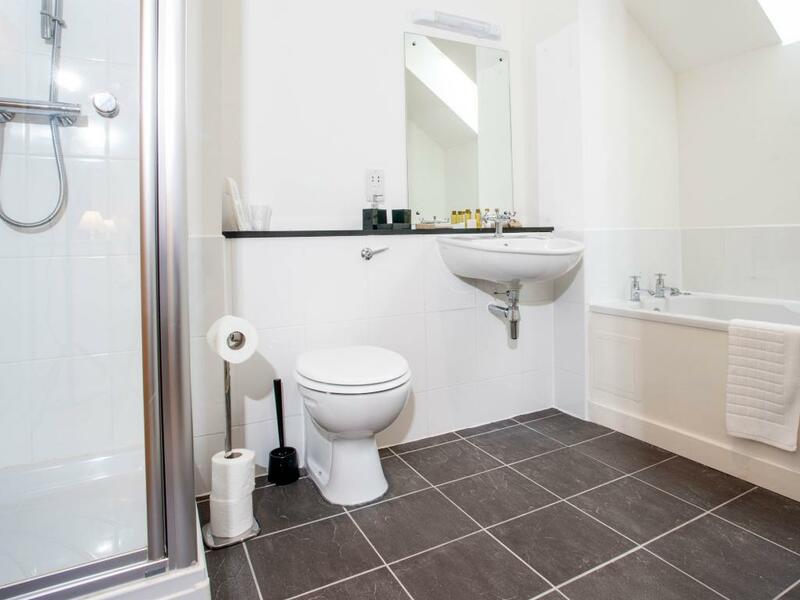 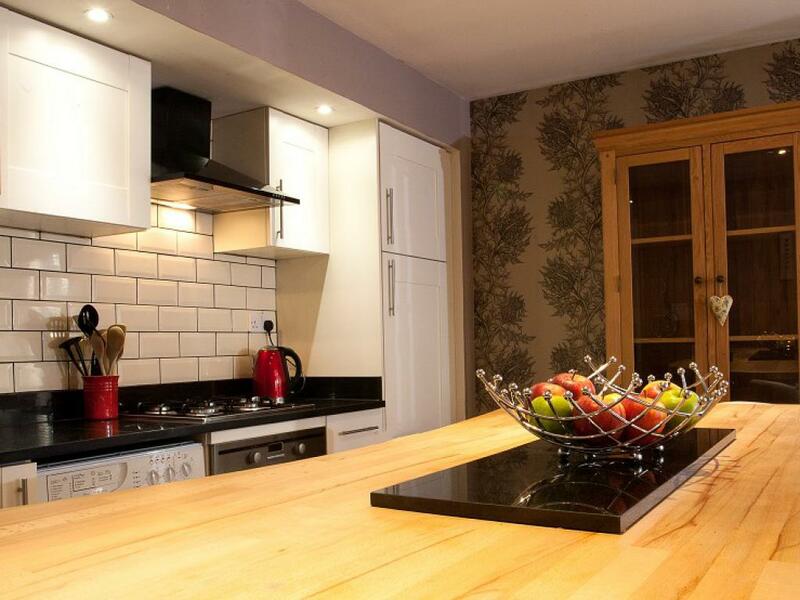 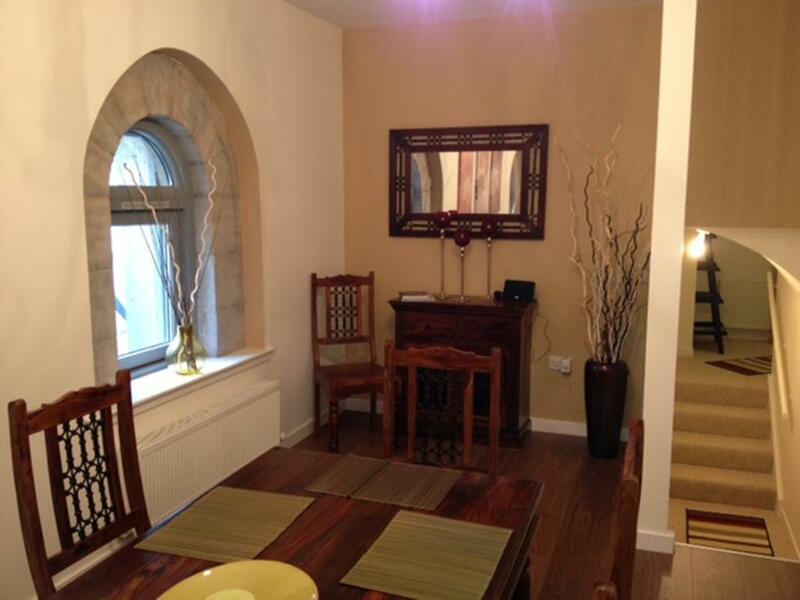 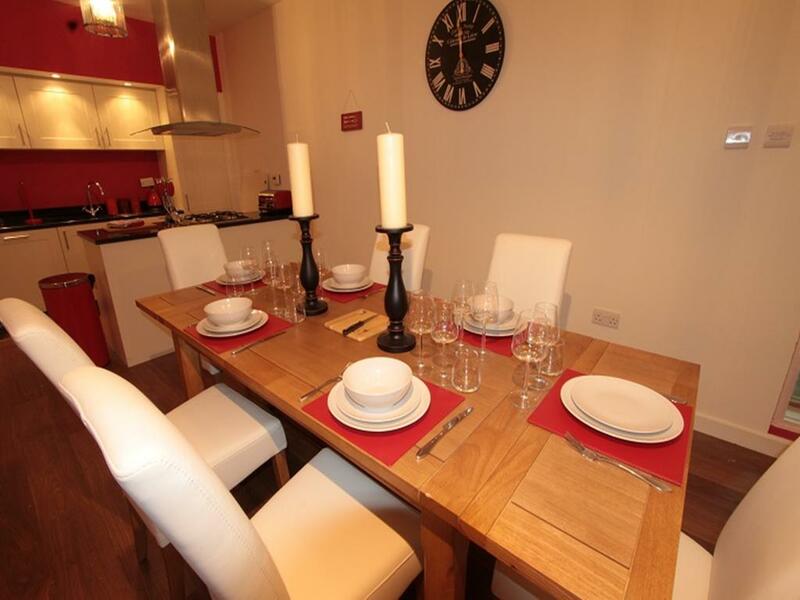 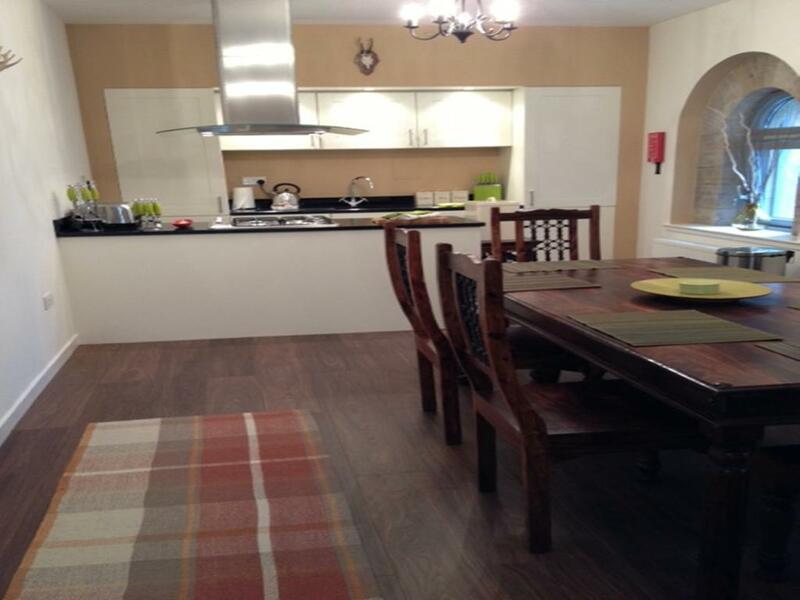 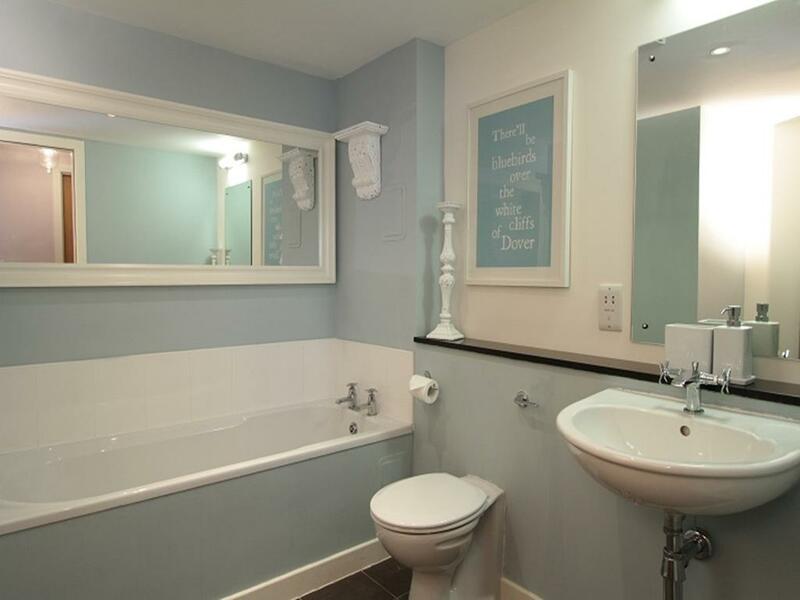 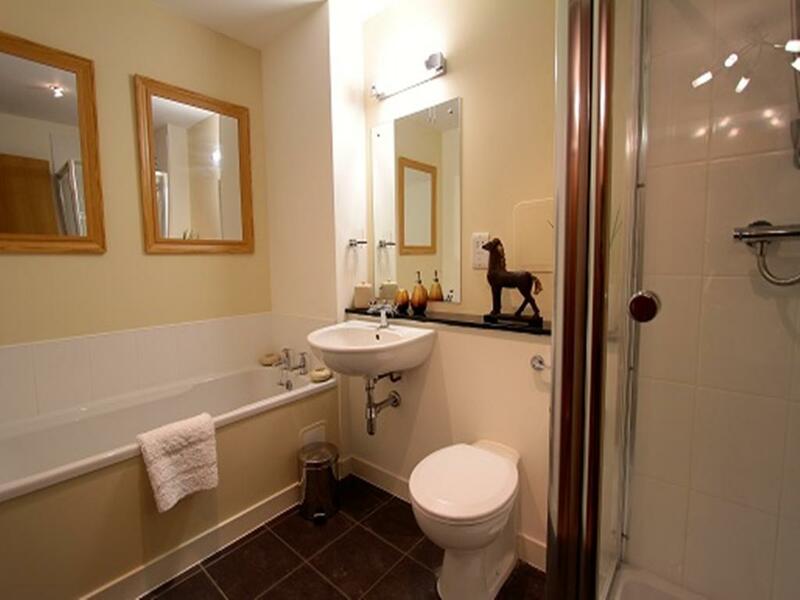 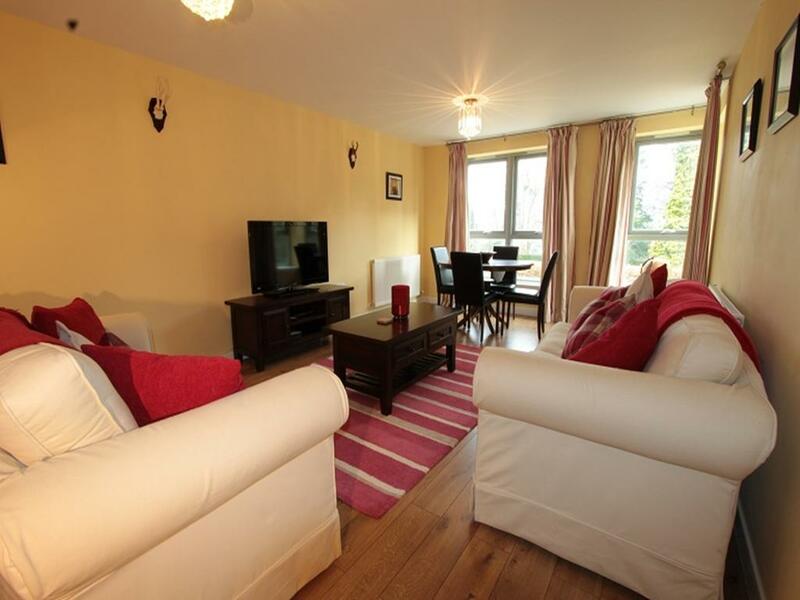 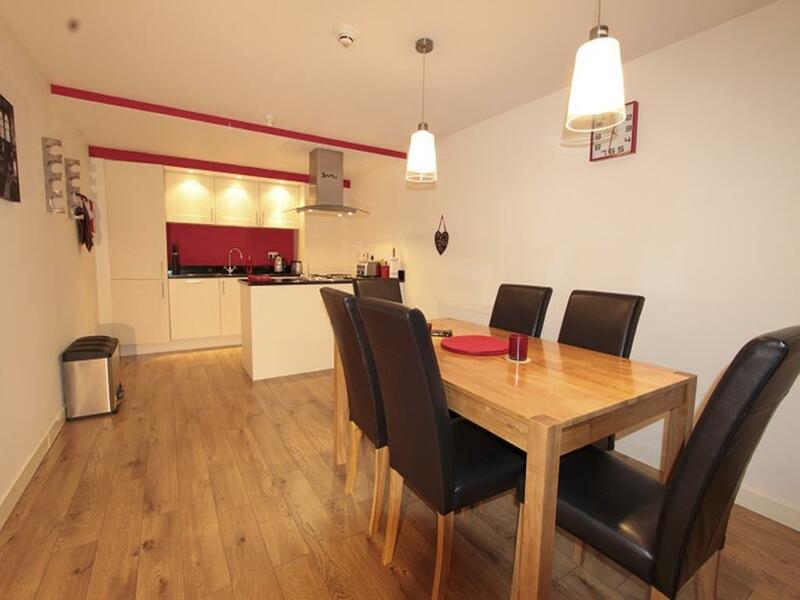 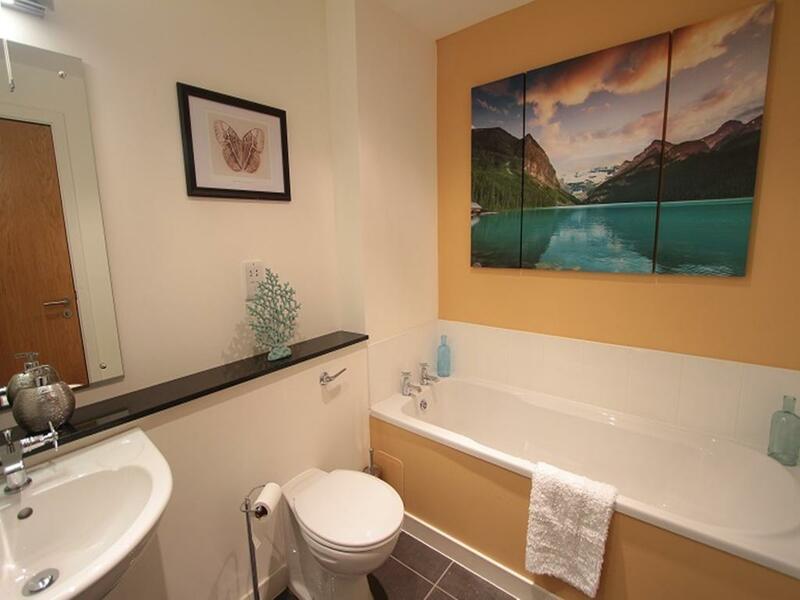 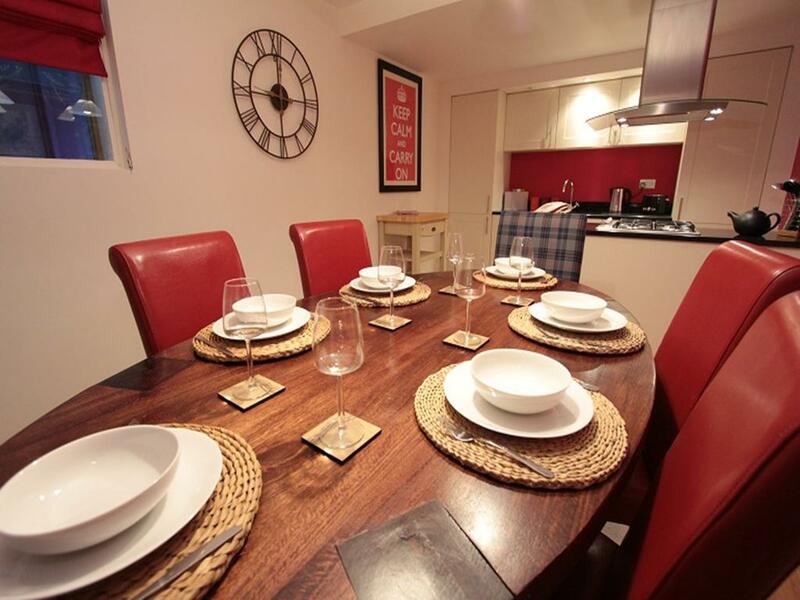 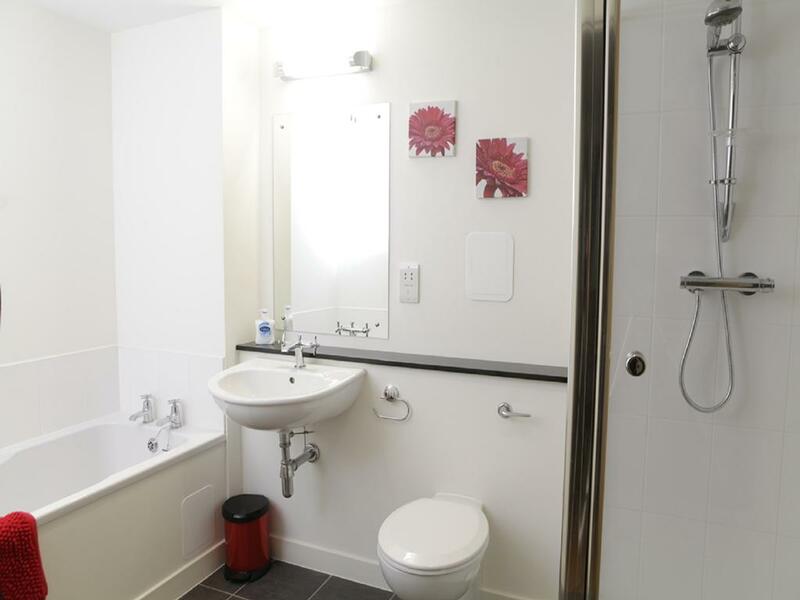 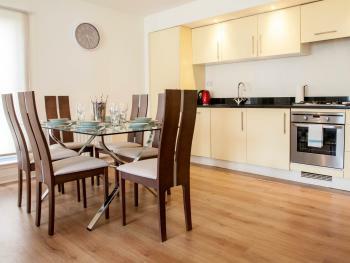 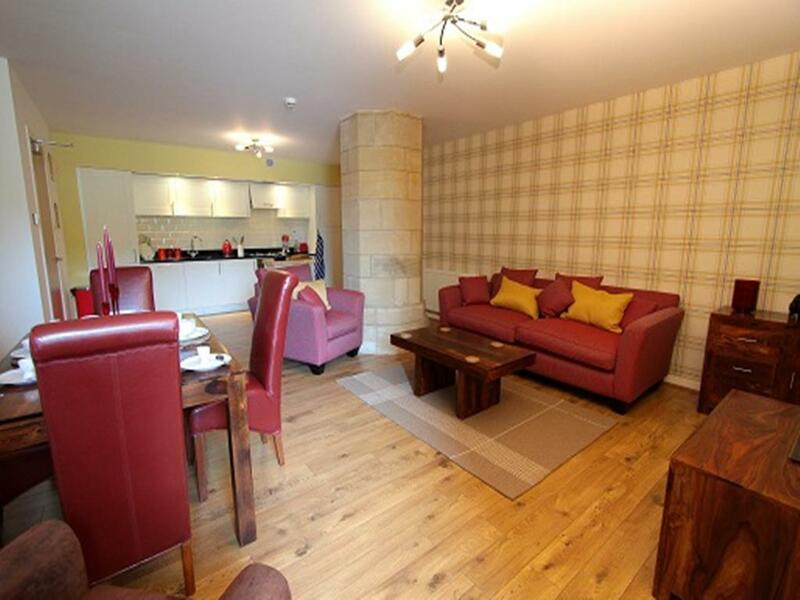 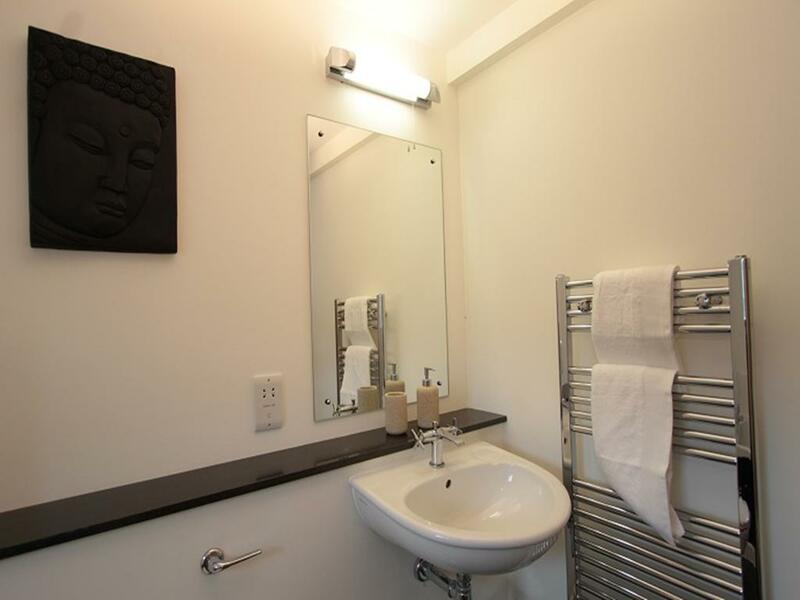 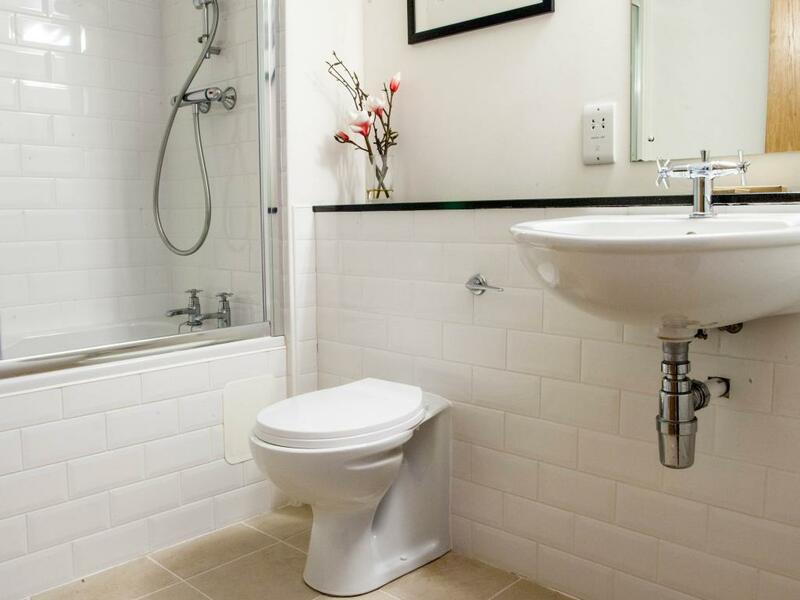 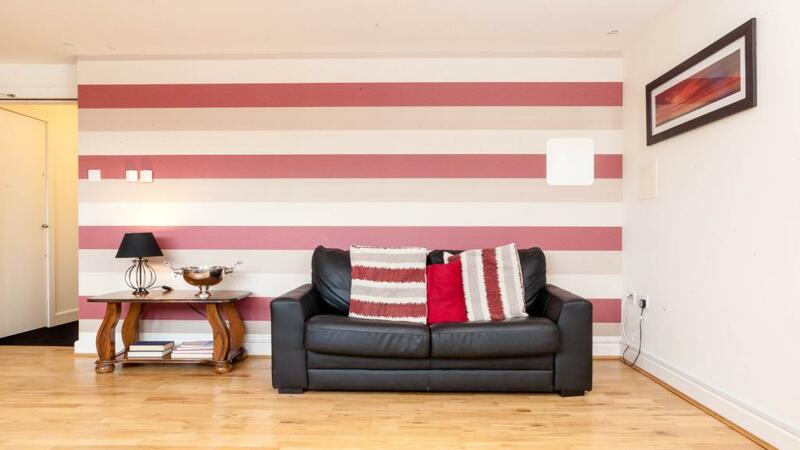 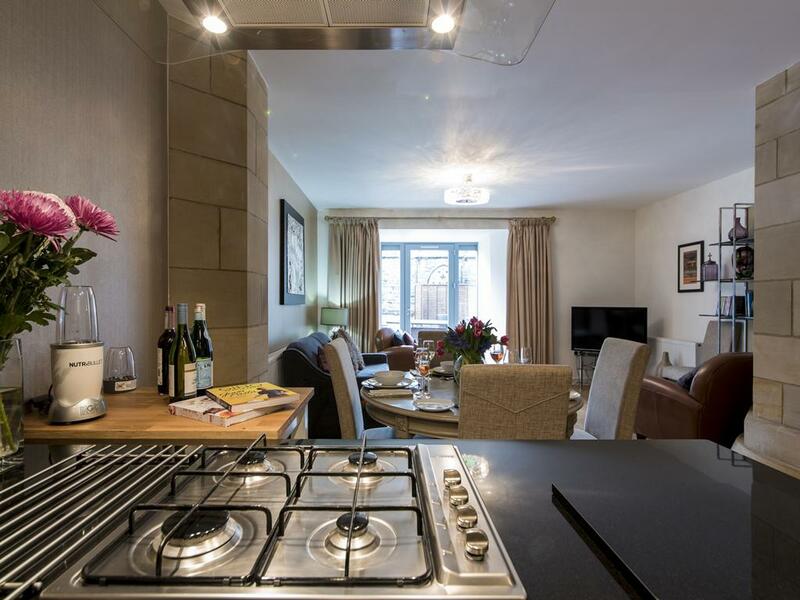 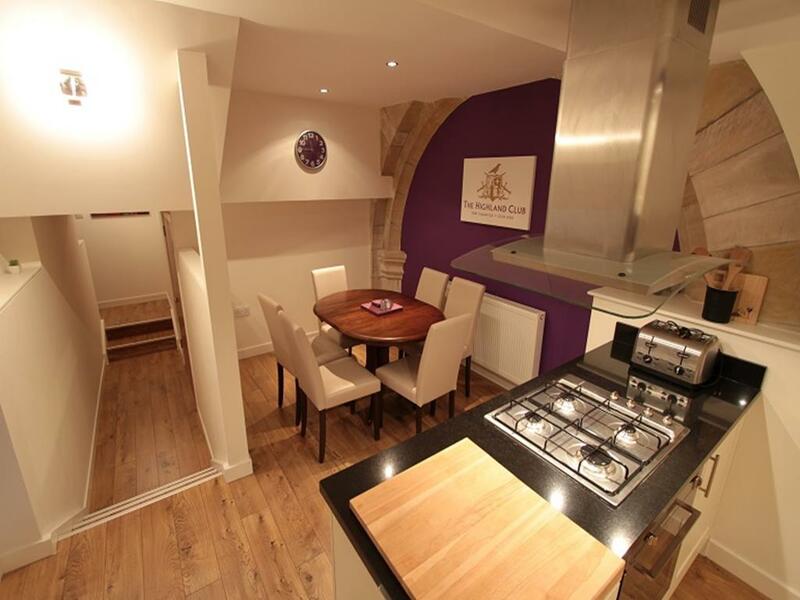 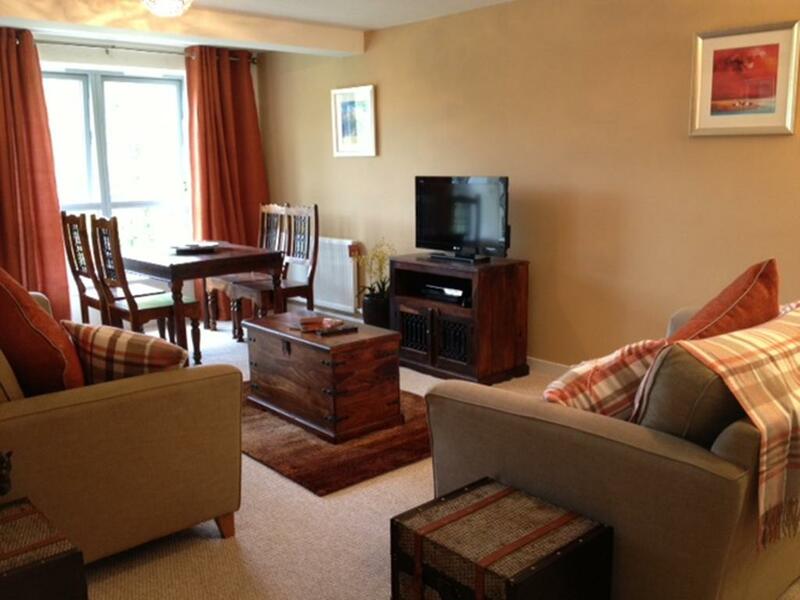 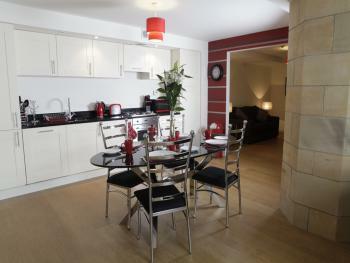 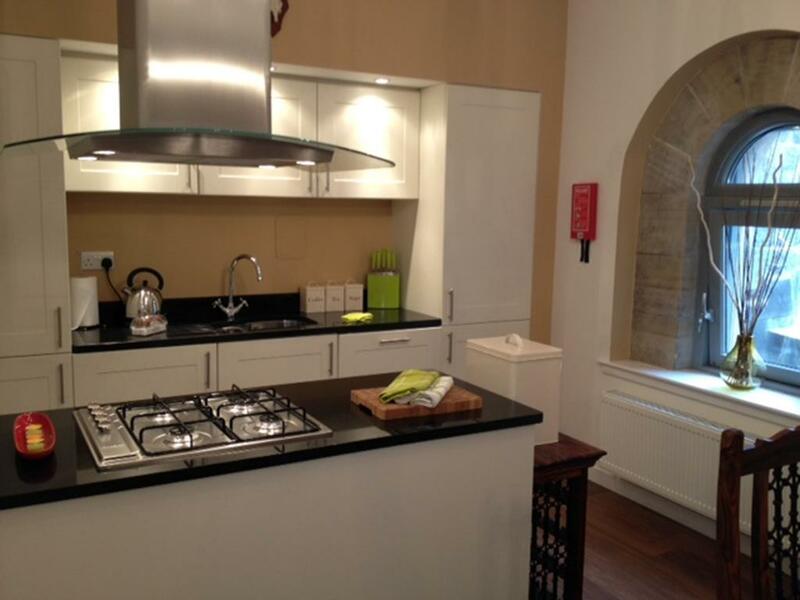 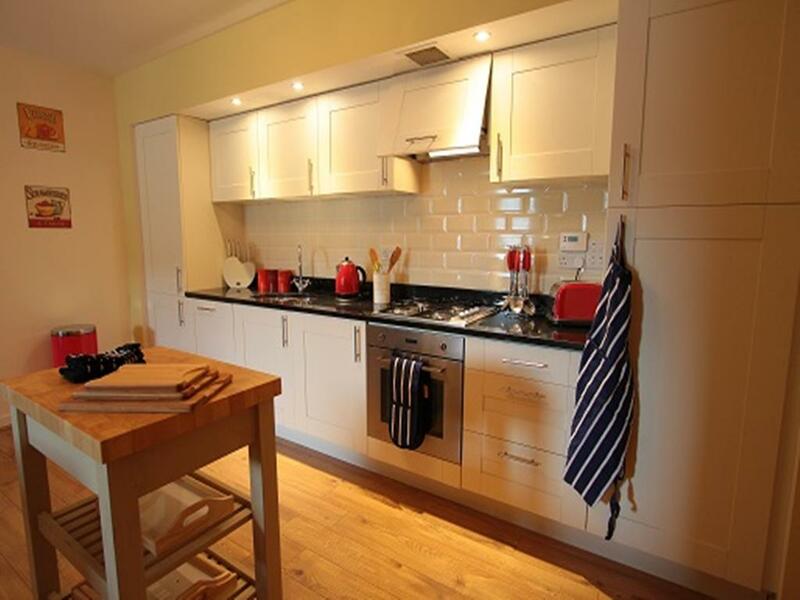 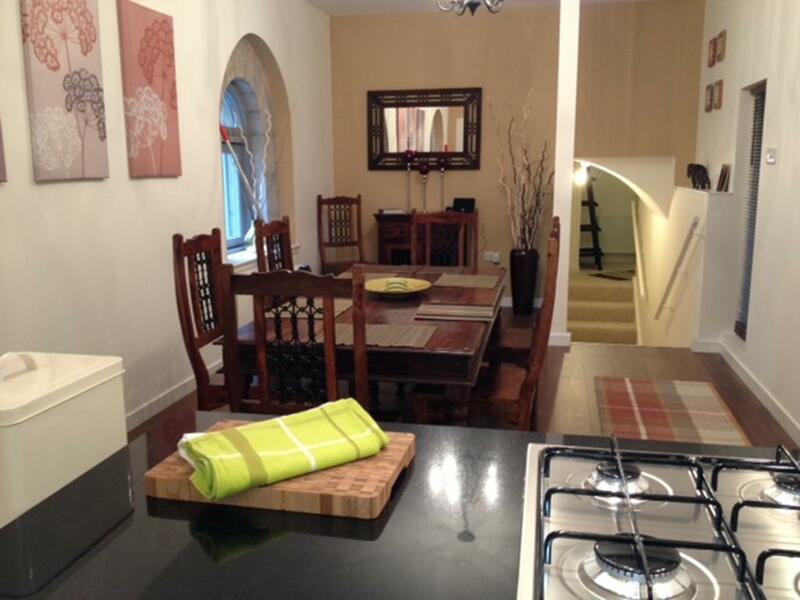 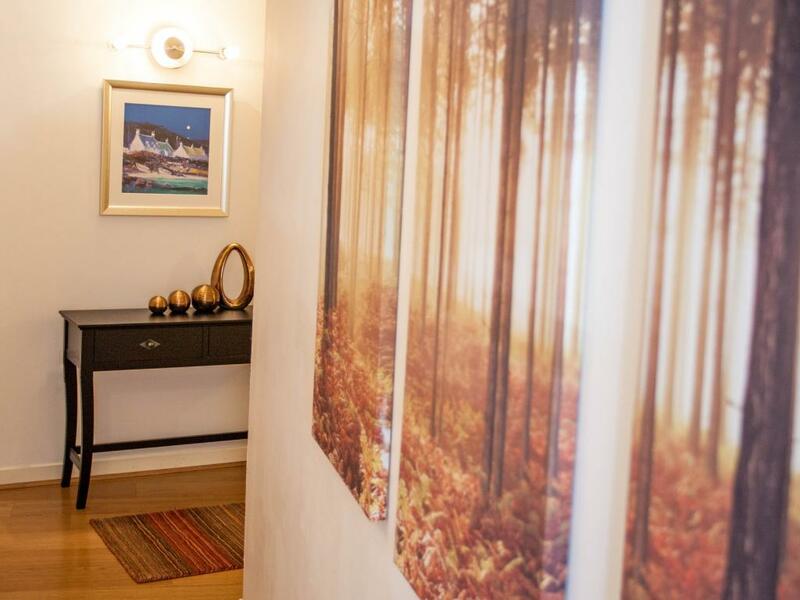 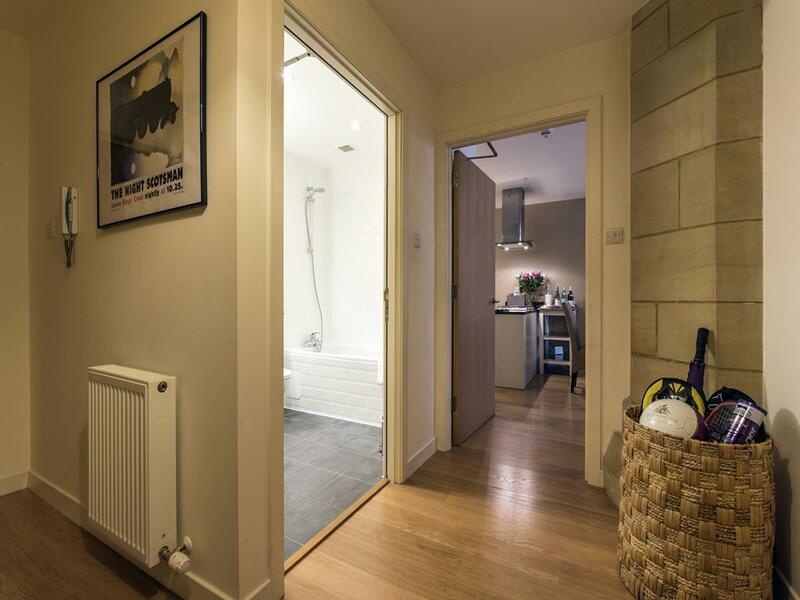 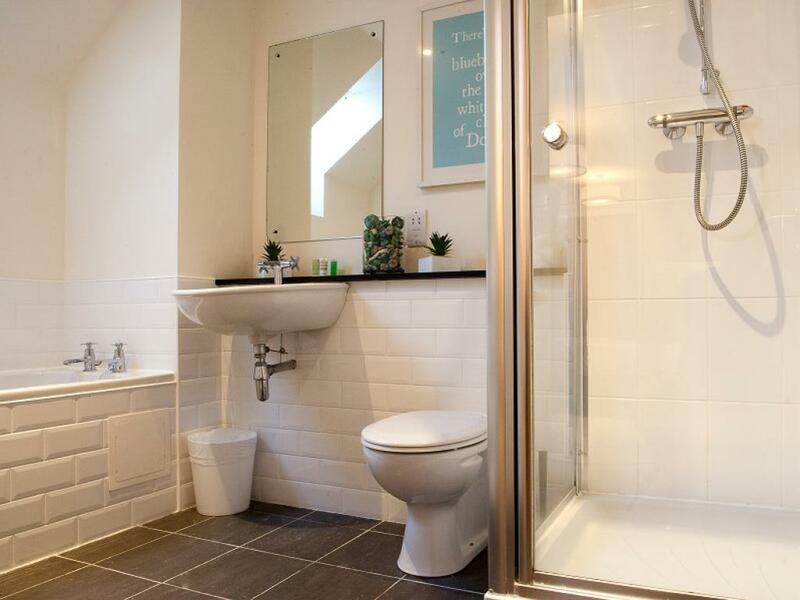 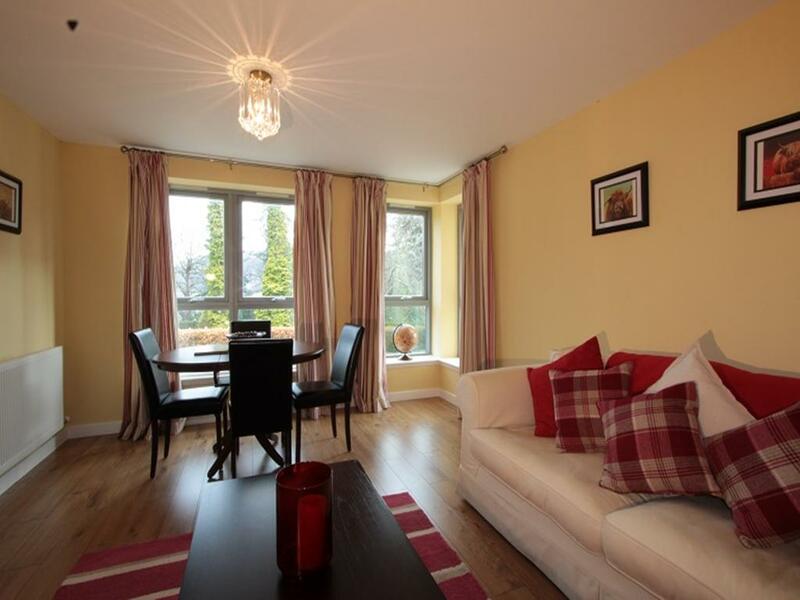 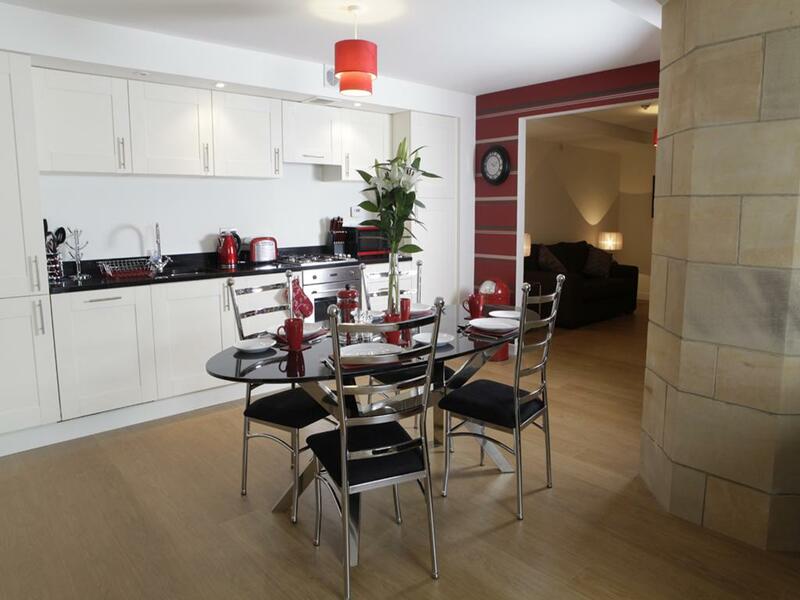 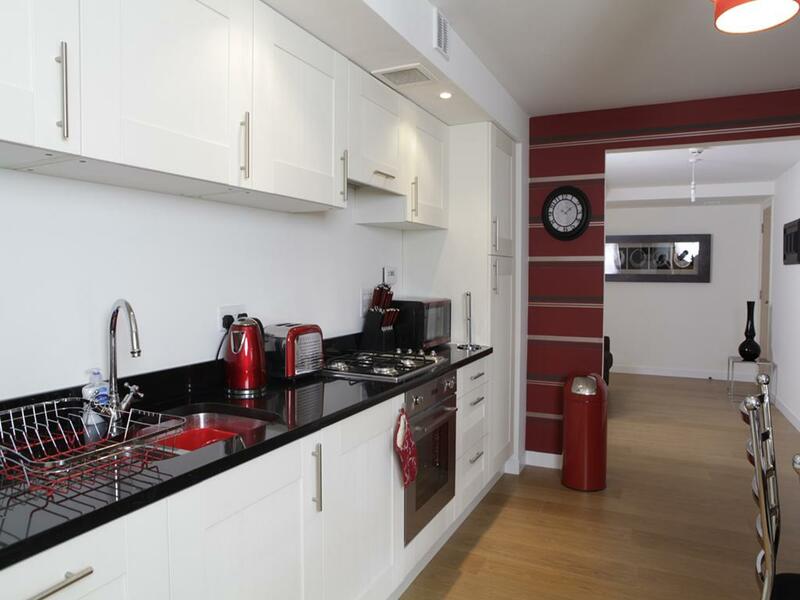 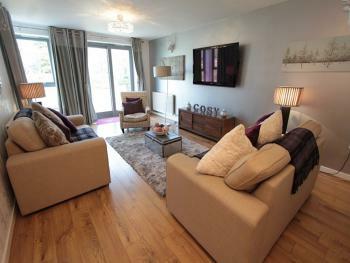 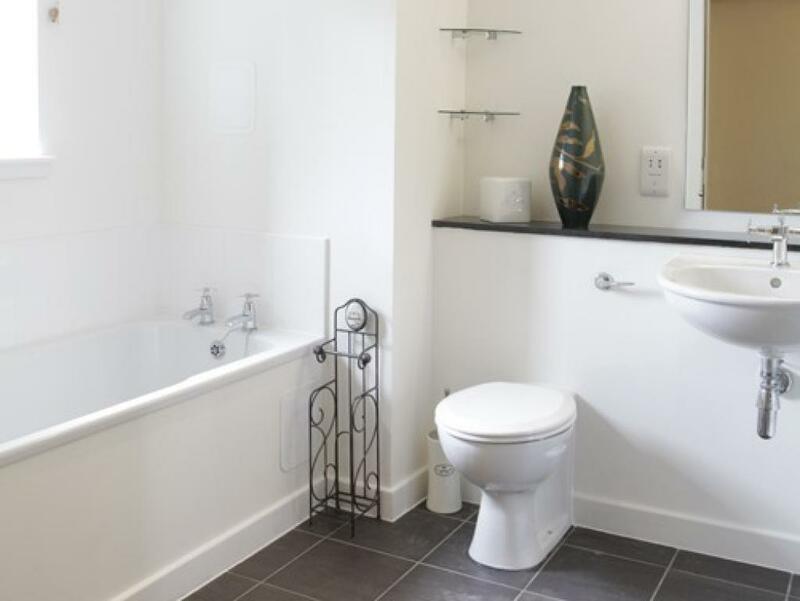 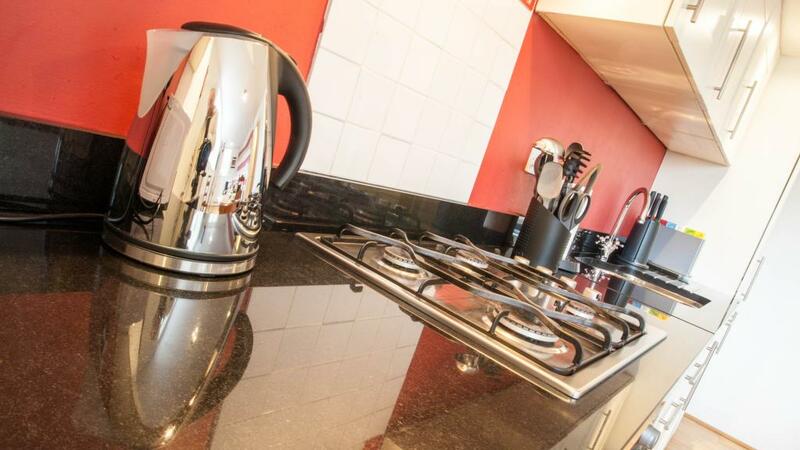 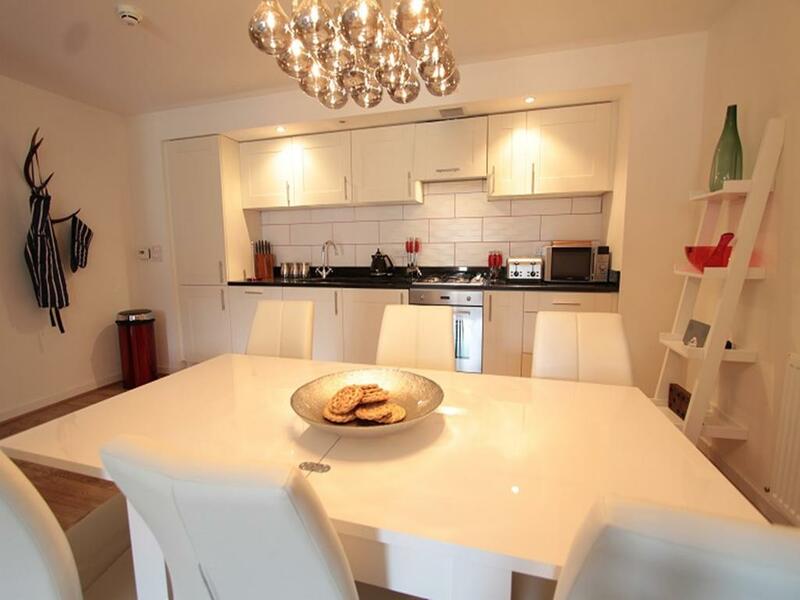 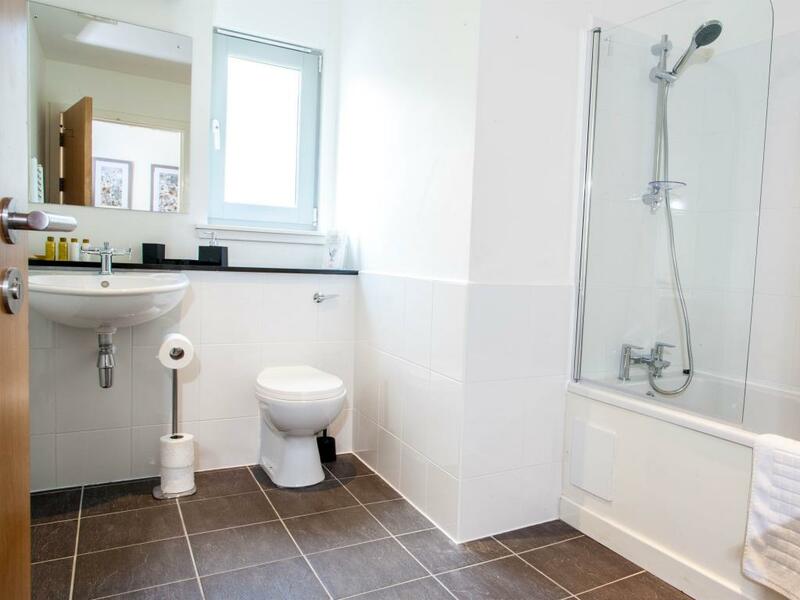 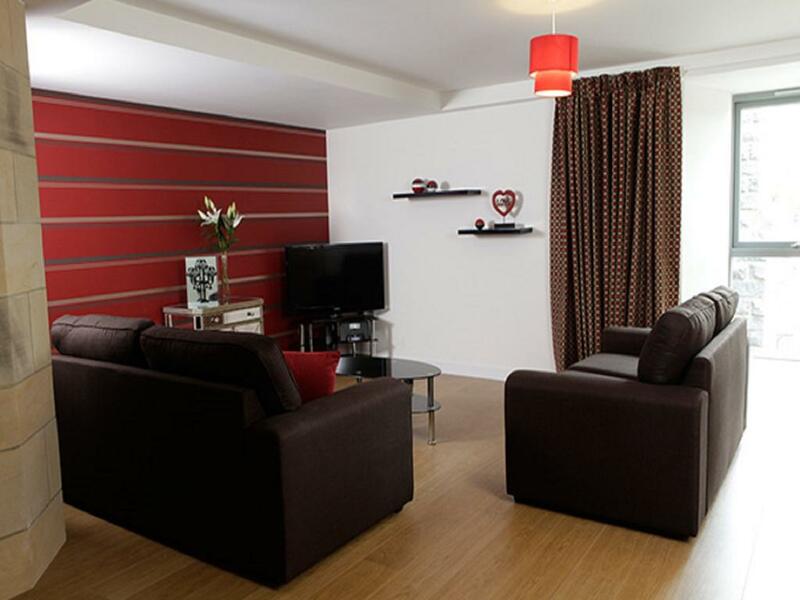 It comprises of one bedroom, one bathroom and one open plan kitchen/living/dining room. 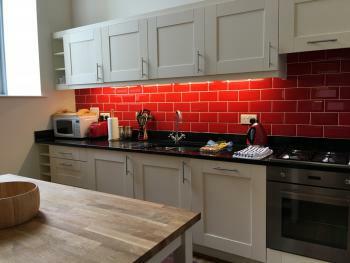 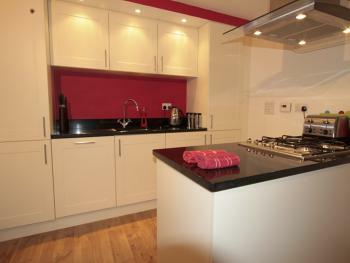 The kitchen is fully fitted to the highest standard and includes top of the range appliances and granite work surfaces. 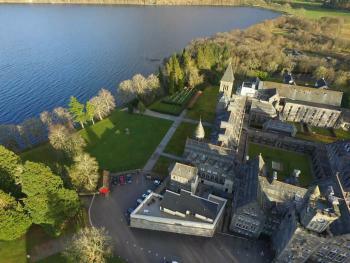 The view throughout are spectacular over the Loch and beyond. 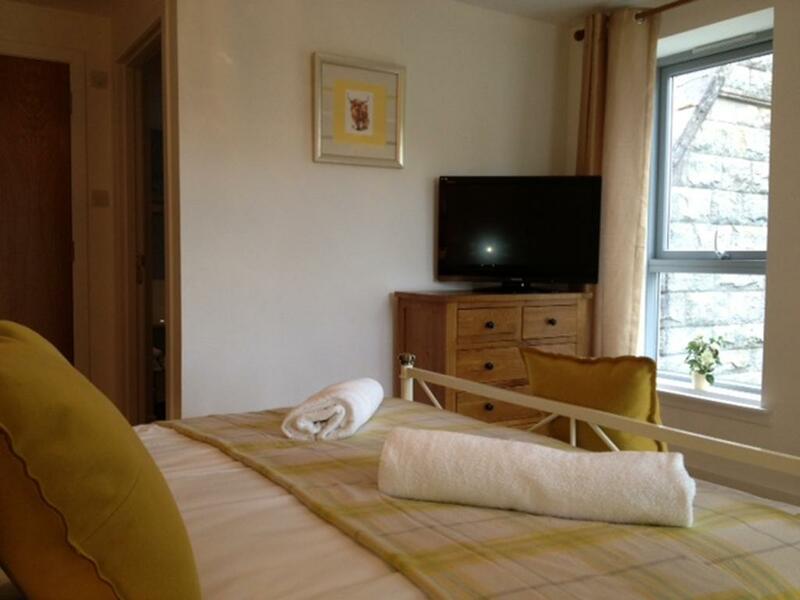 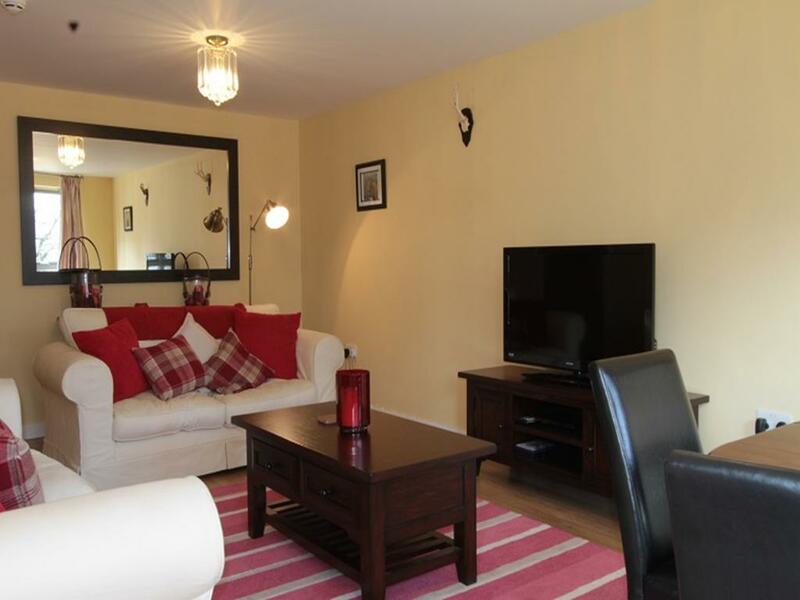 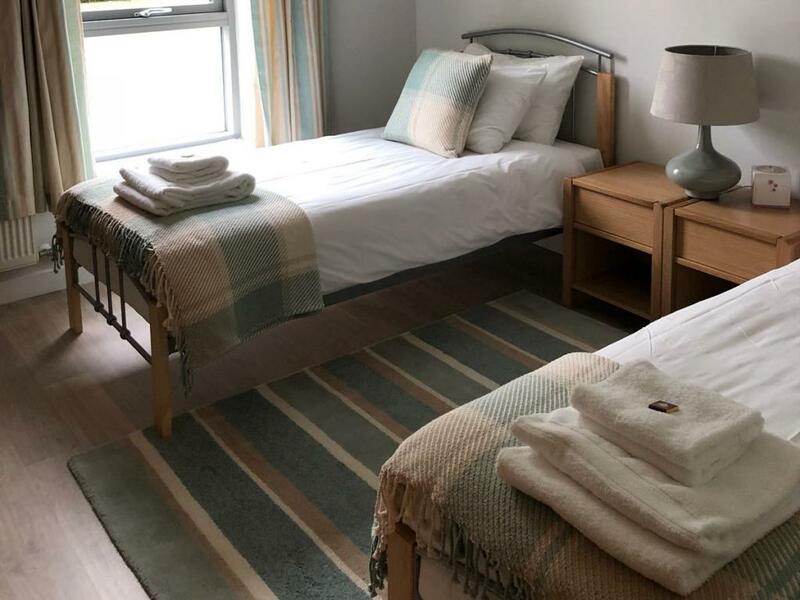 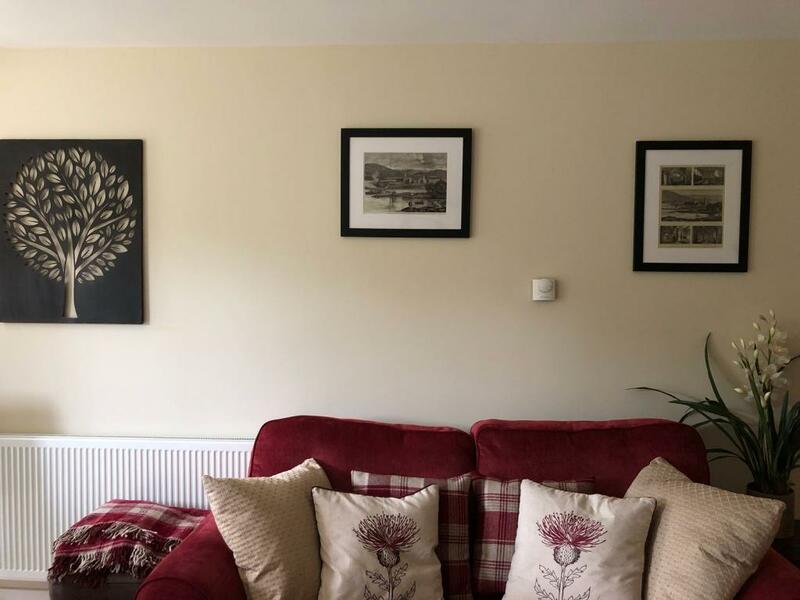 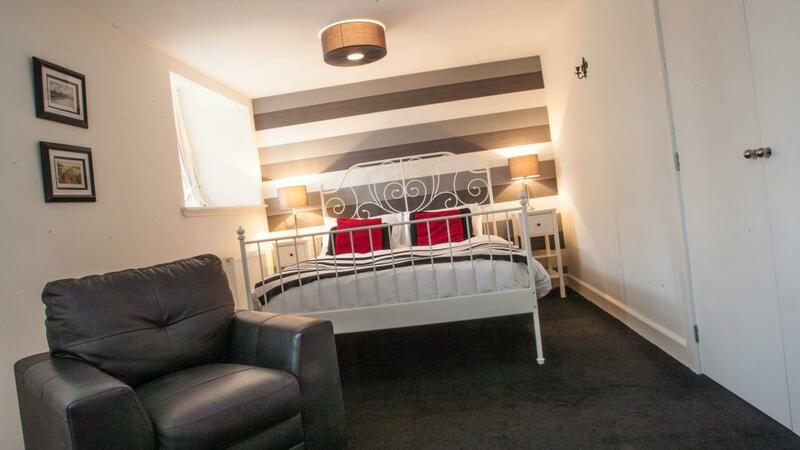 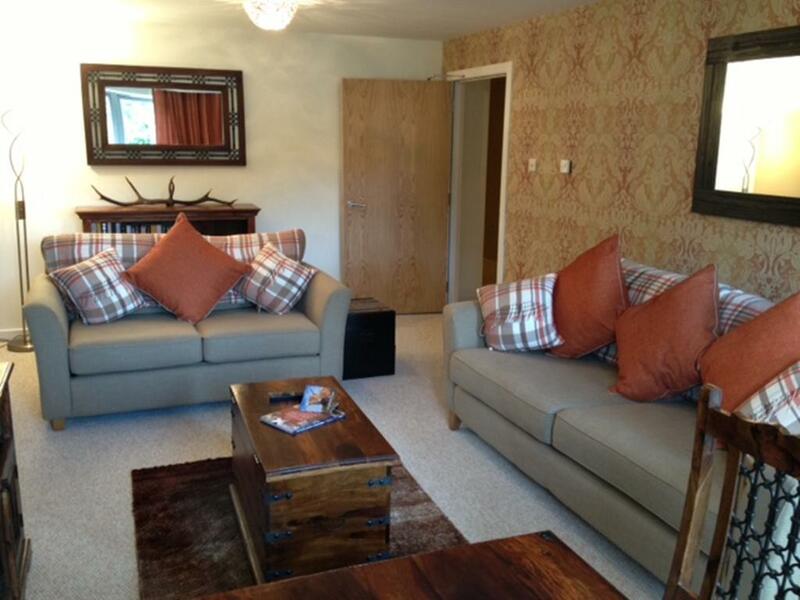 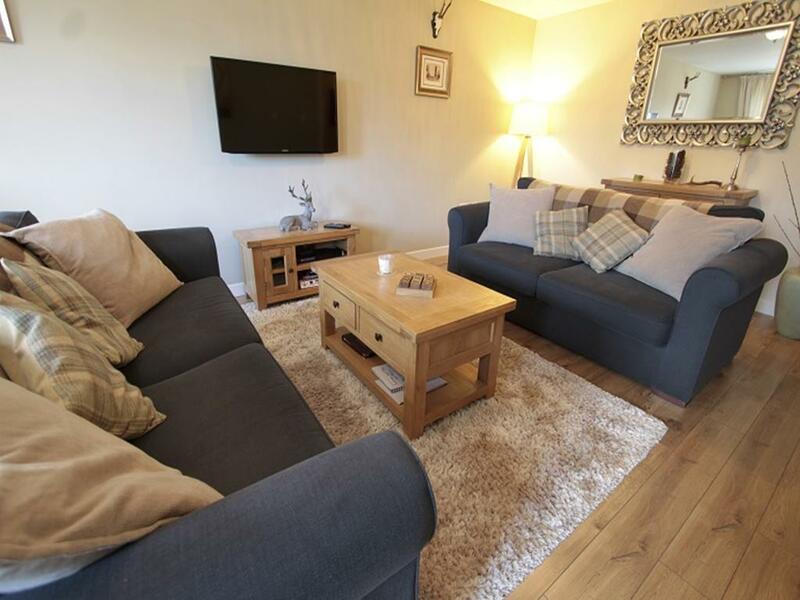 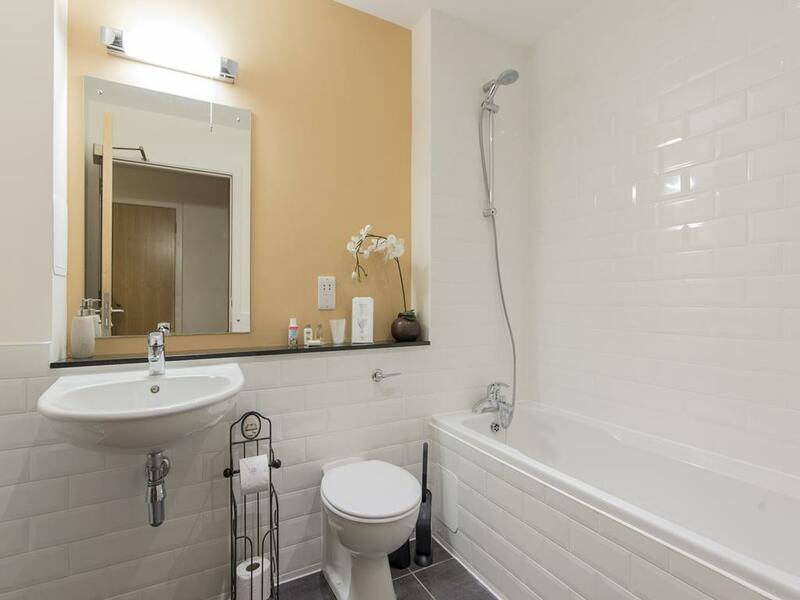 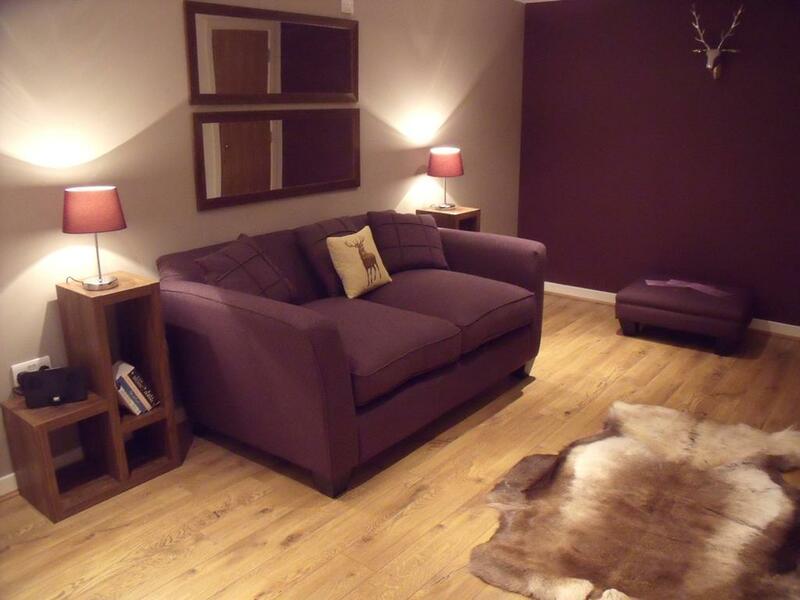 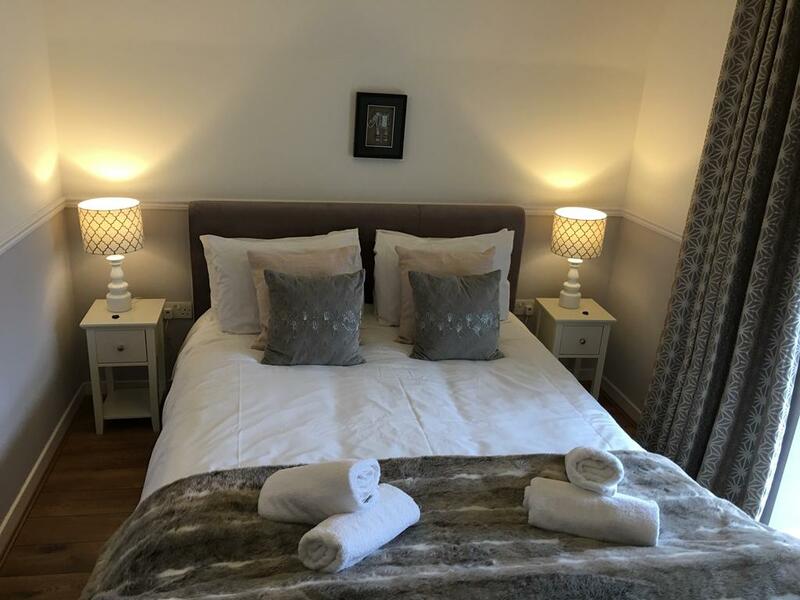 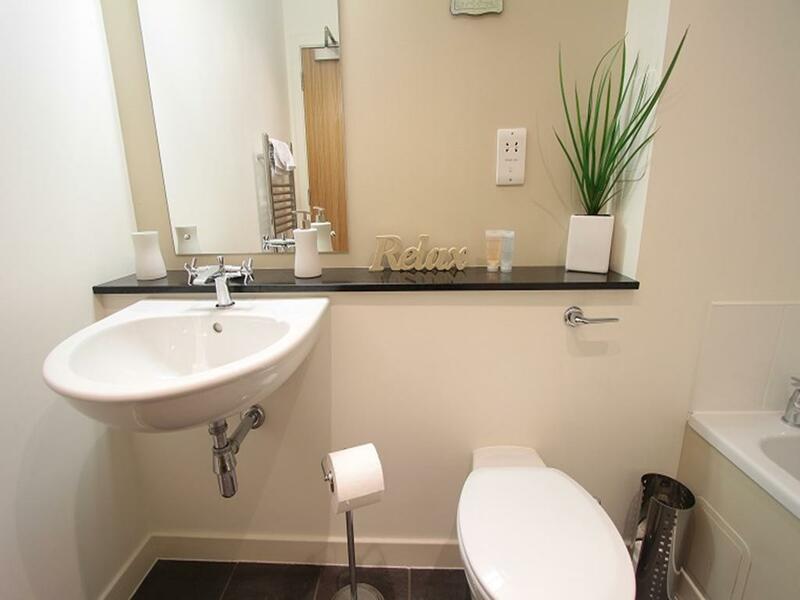 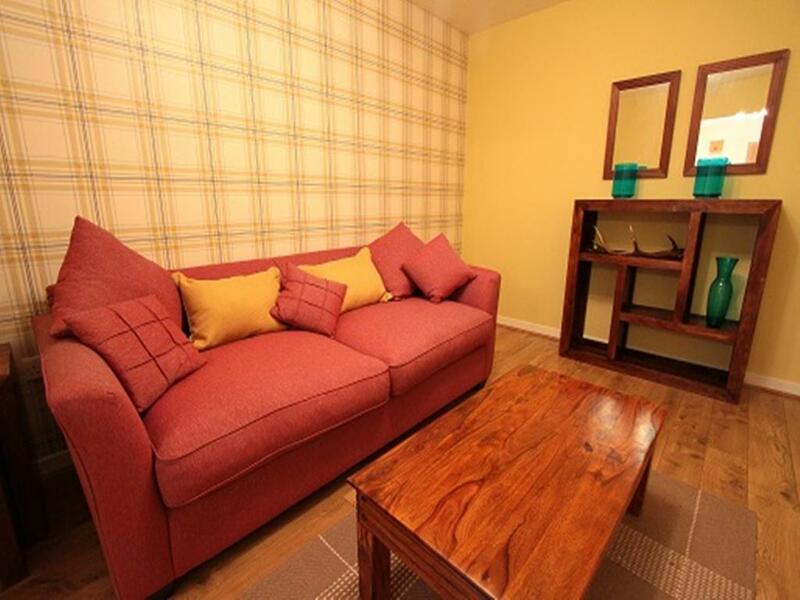 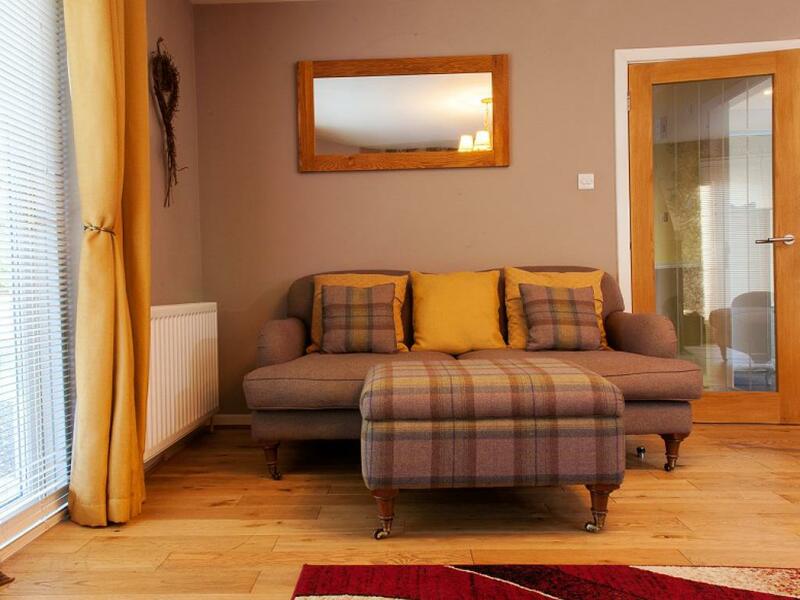 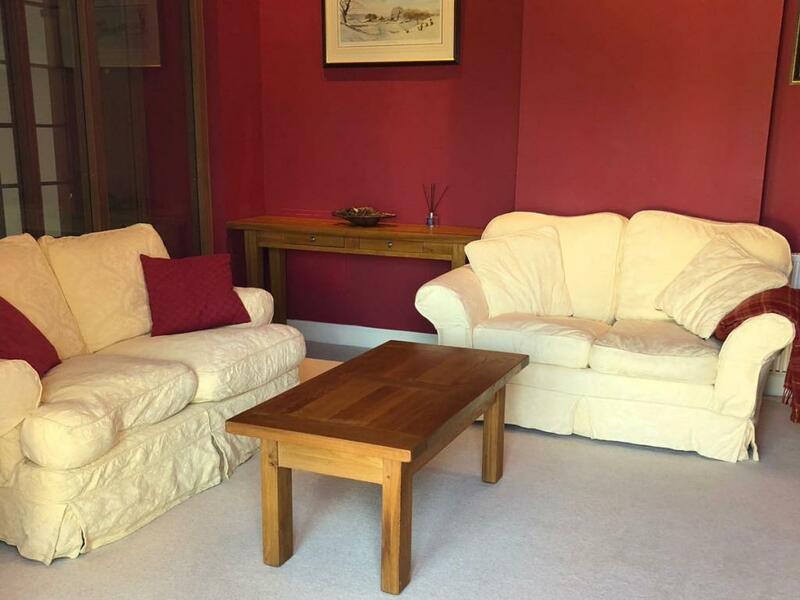 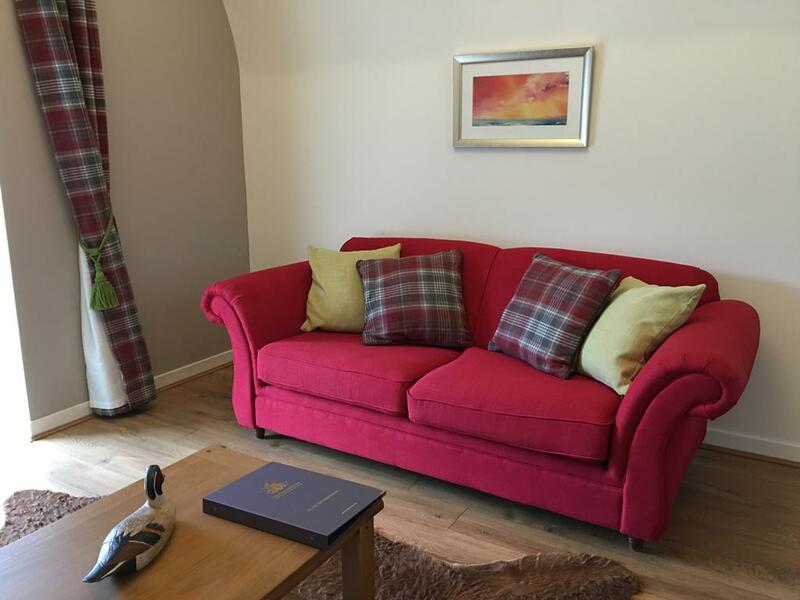 A very comfortable self catering apartment for your holiday or short break and just a two minute walk from the pretty village of Fort Augustus. 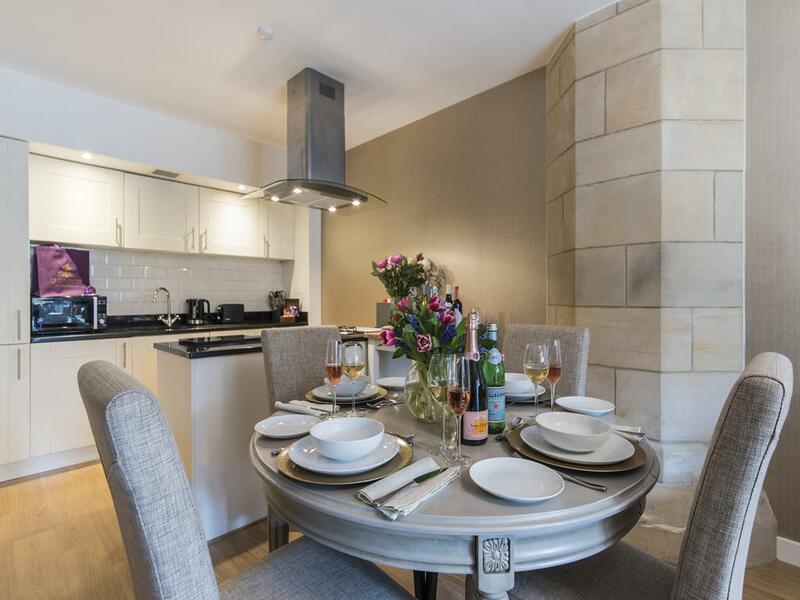 Cannon Point is a modern two bedroom apartment is on the first floor of The Brothers Wing, a new building that is wrapped inside the last remaining bastion wall of the 1745 English Fort. 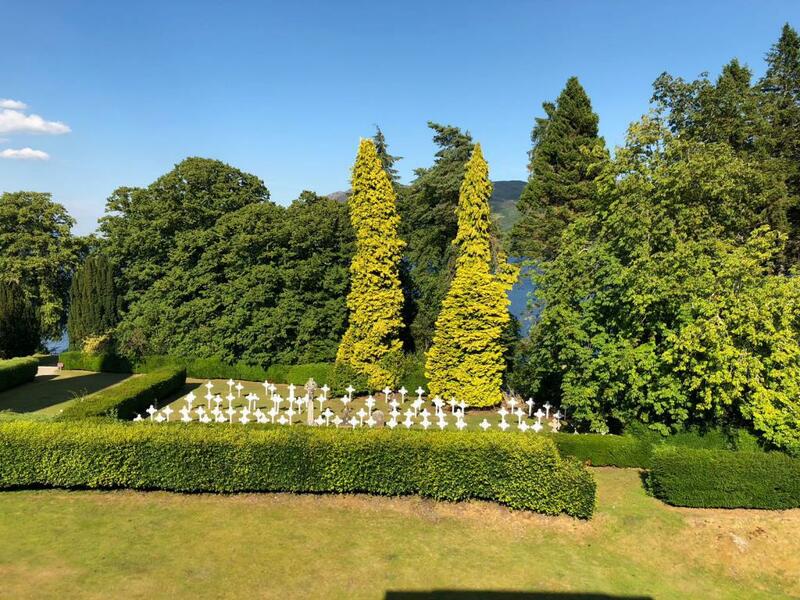 The bastion wall housed the 6 cannon batteries which defended the Fort from Jacobite attacks launched from loch Ness. 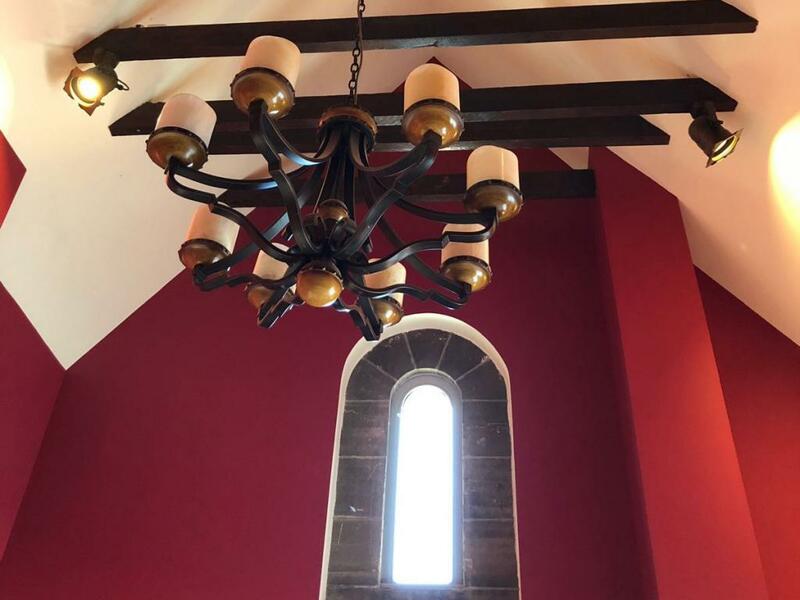 The light and bright open plan kitchen reception area looks out towards the terrace and the beautiful stained glass windows of The Highland Club Lounge. 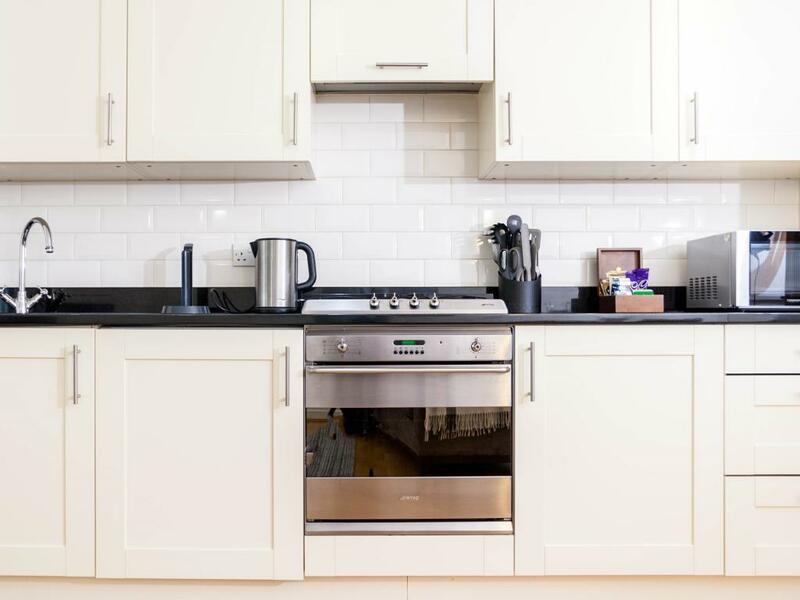 The modern kitchen is fully fitted with its granite worktops, oven, gas hob, microwave, dishwasher, fridge/freezer and washer/dryer. 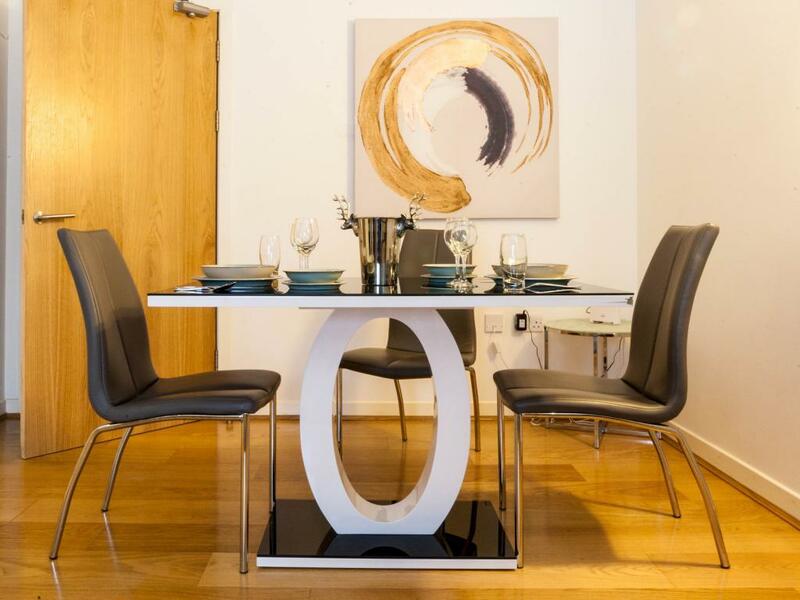 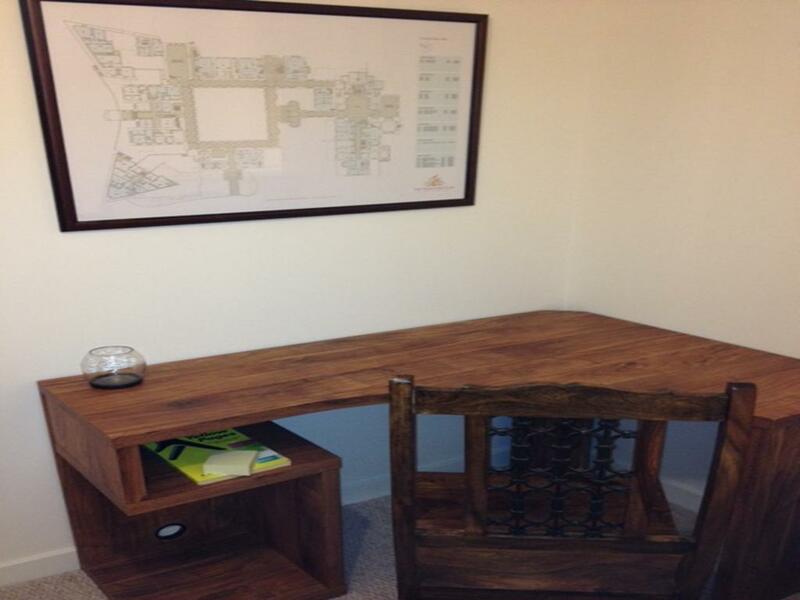 The modern dining table has comfortable seating. 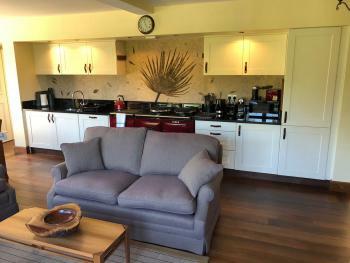 The lounge area has a flat screen TV, a DVD player, an Amazon Echo as well as a good selection of books, DVDs and games. 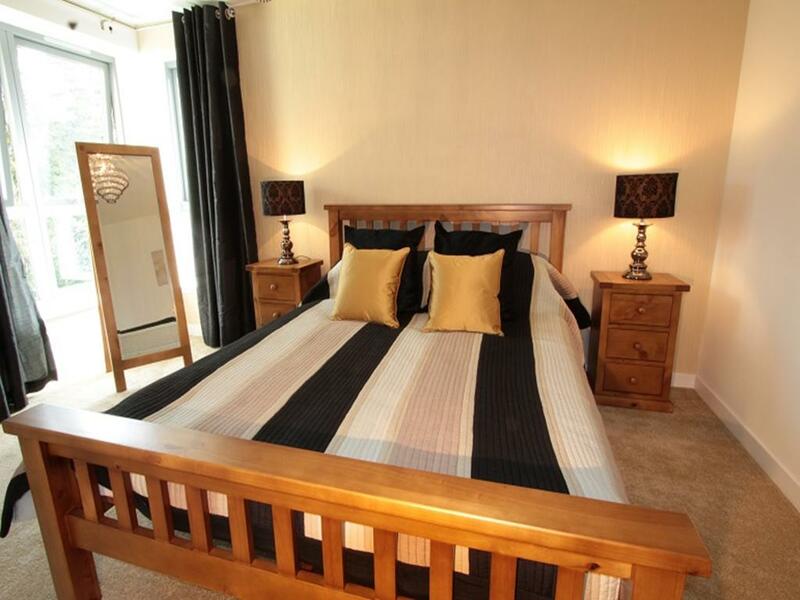 The large master bedroom has a king-size bed, flat screen TV and DVD player. 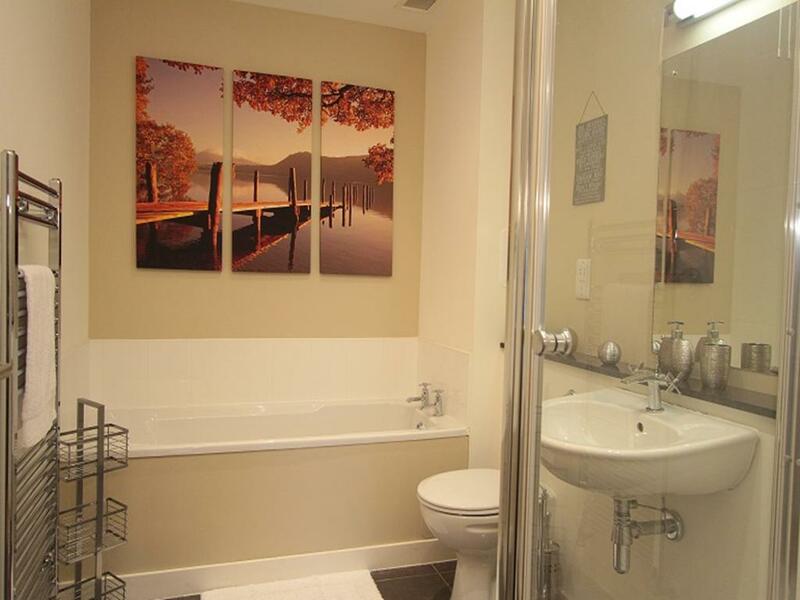 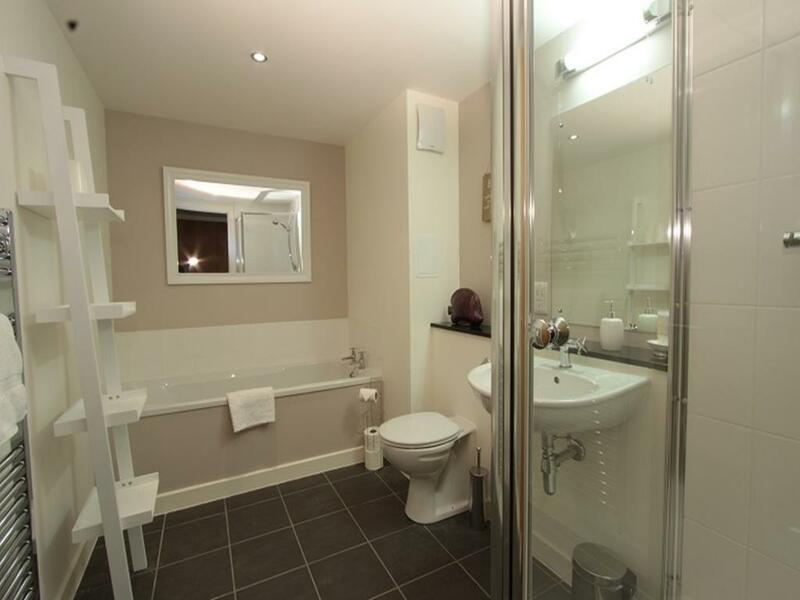 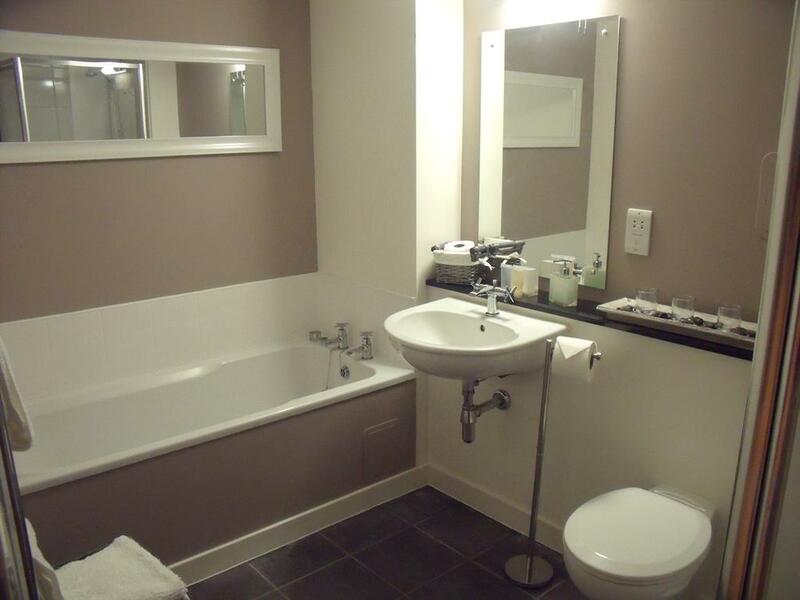 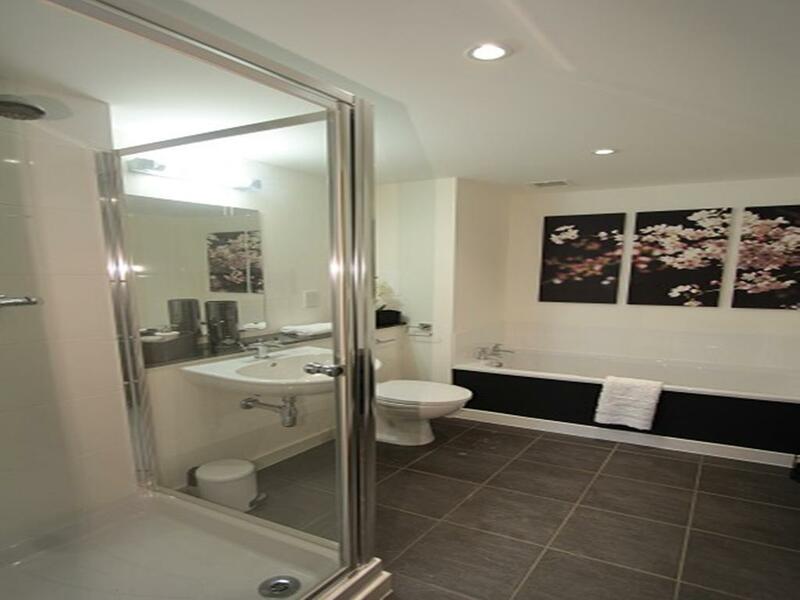 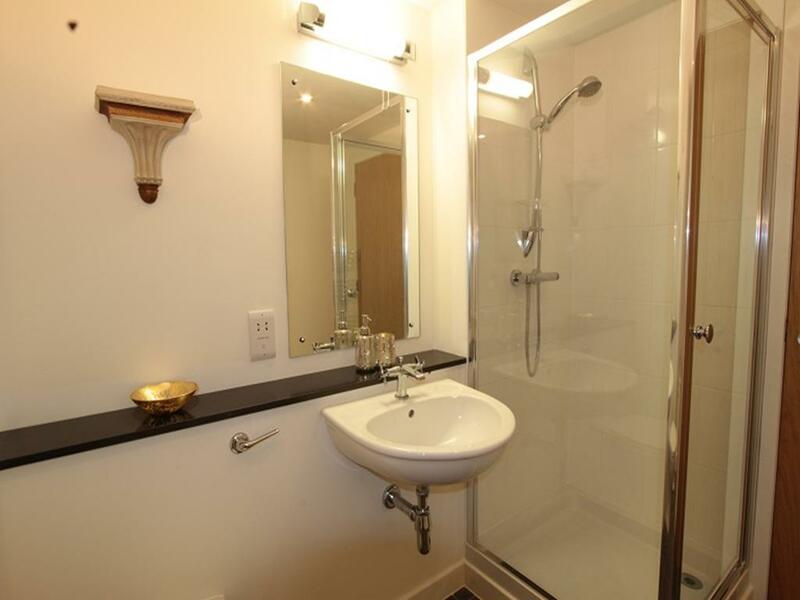 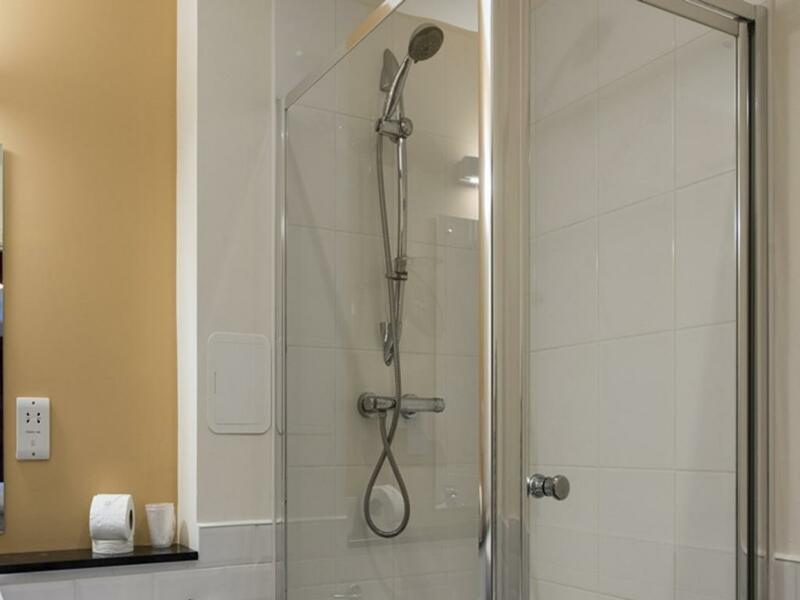 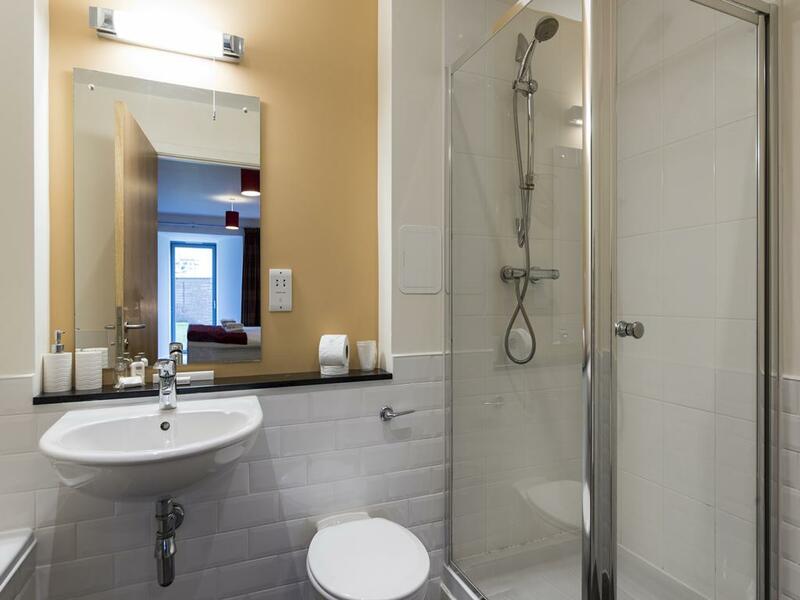 The en-suite bathroom also has a walk in shower. 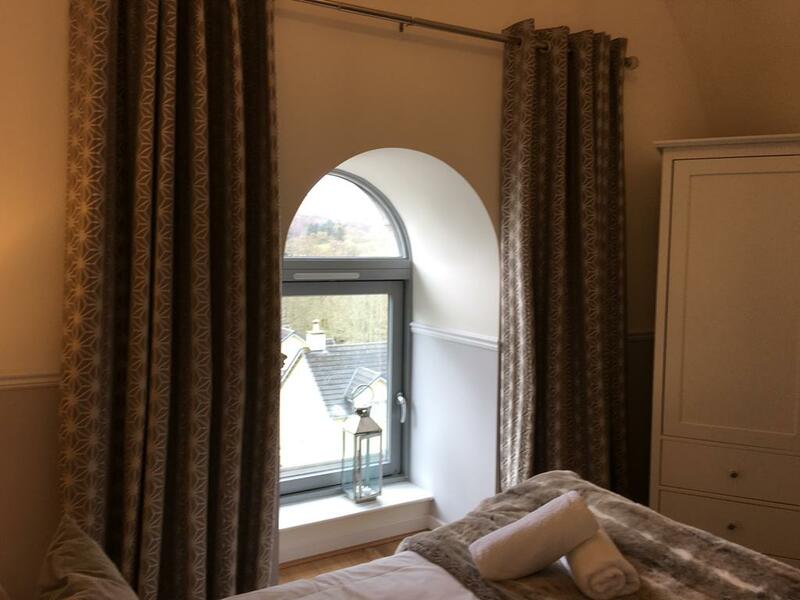 There is a guest double bedroom with views towards the Old School Clock Tower and a family bathroom with a bath and shower over the bath. 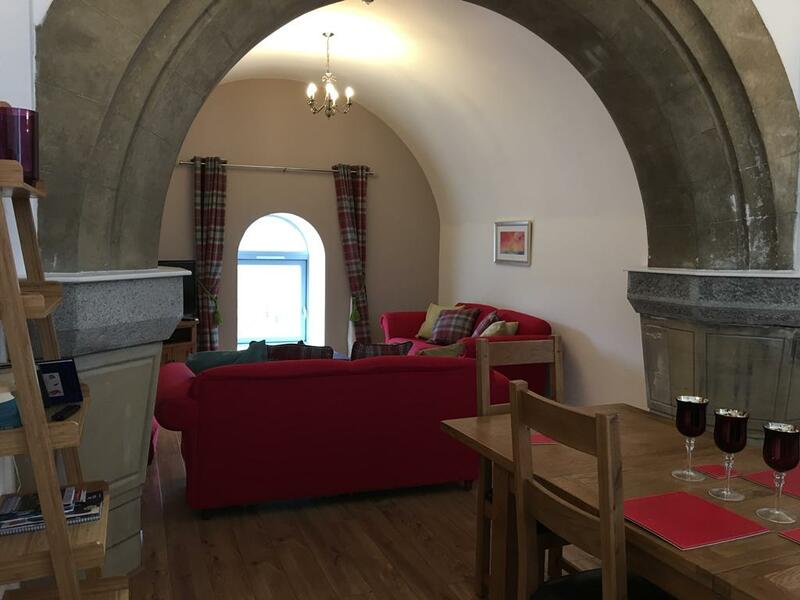 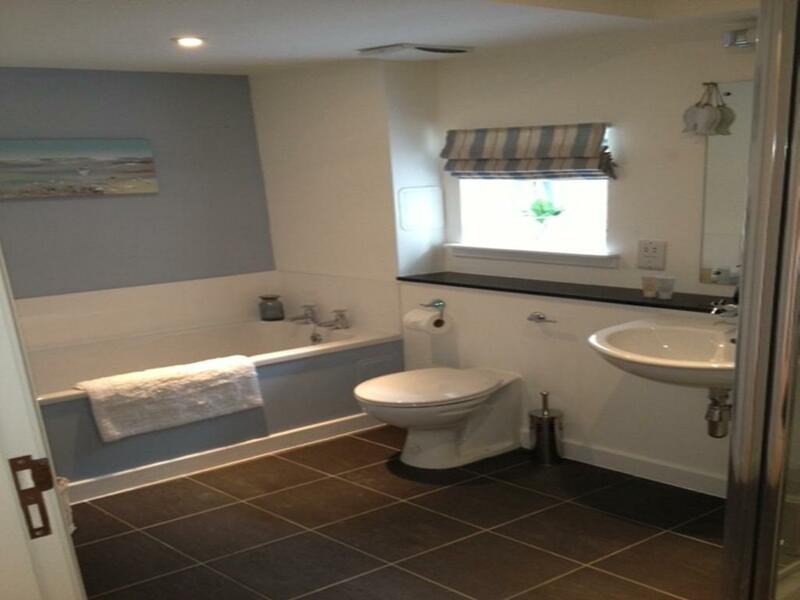 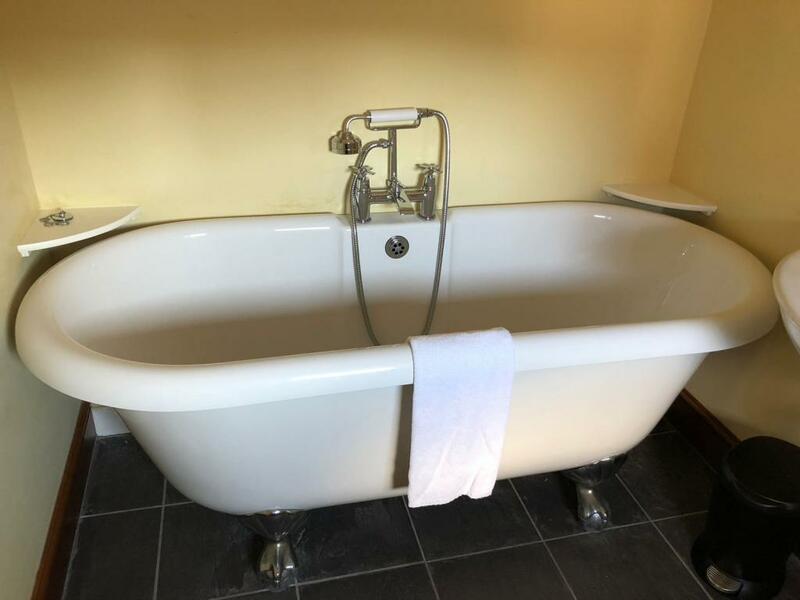 Brora is a luxurious 2 bed self catering cottage which sits near the banks of the River Tarff in a quiet area of the estate. 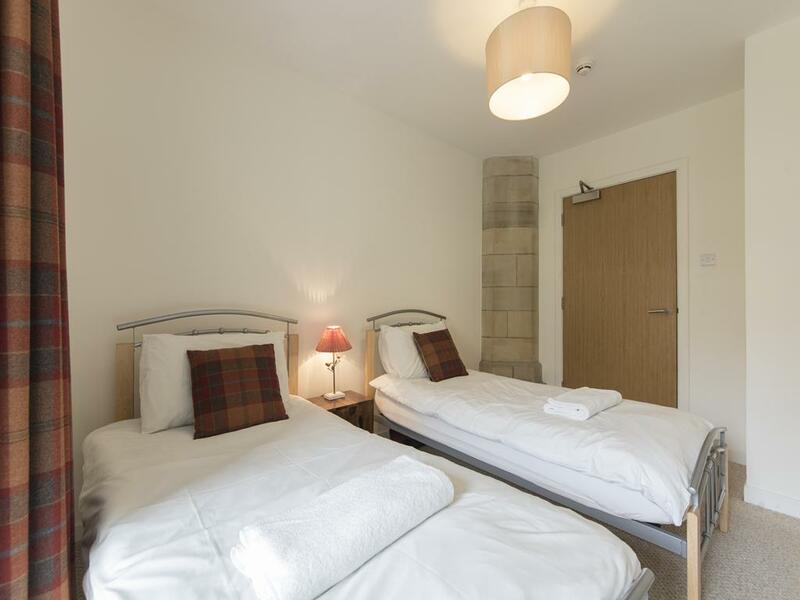 Access to The Highland Club's premium facilities such as The Highland Club Lounge and The Chapel Pool Complex is just a short walk away. 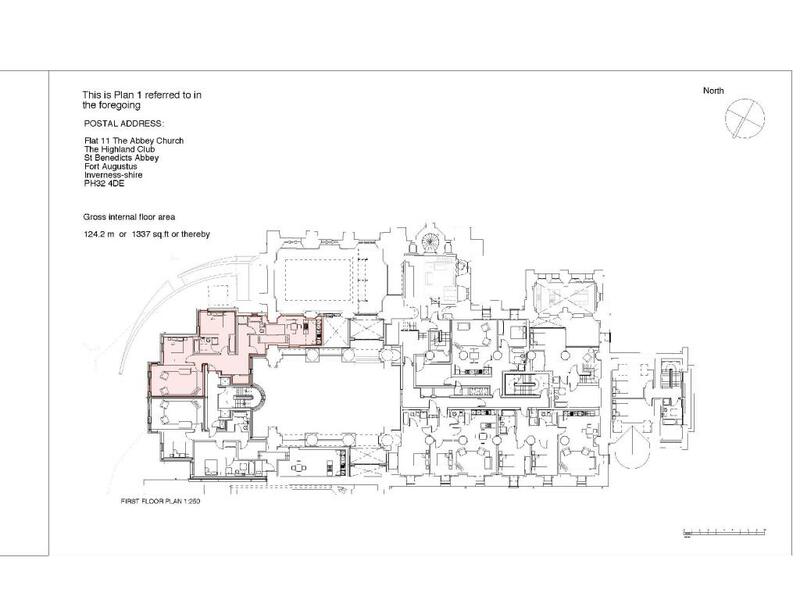 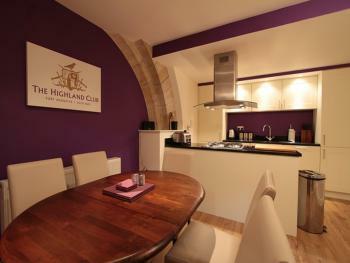 It features all the modern comforts and conveniences within the historic setting of The Highland Club and its grounds. 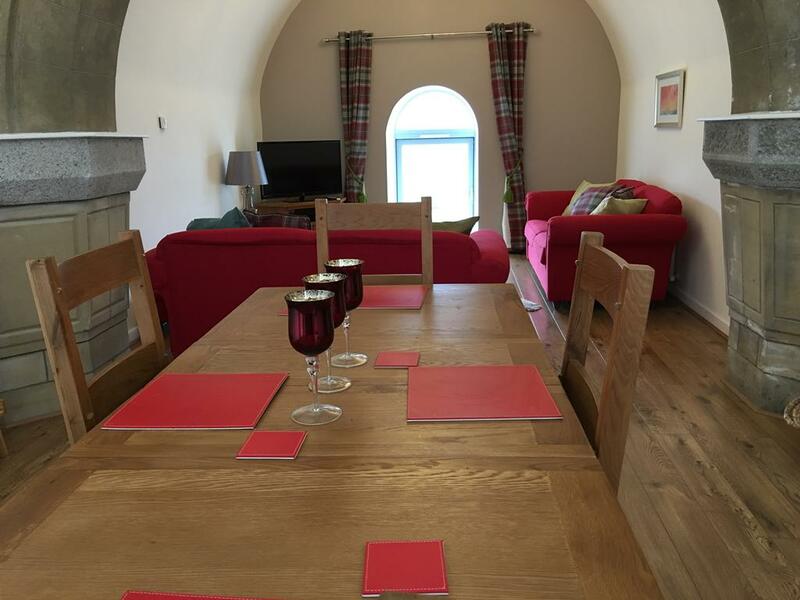 The cottage comes with its own private terrace for enjoying 'al fresco' meals under the highland sky. 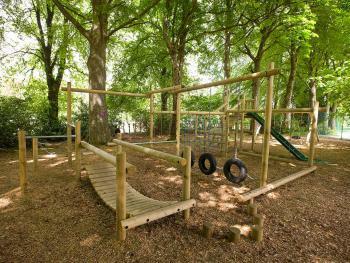 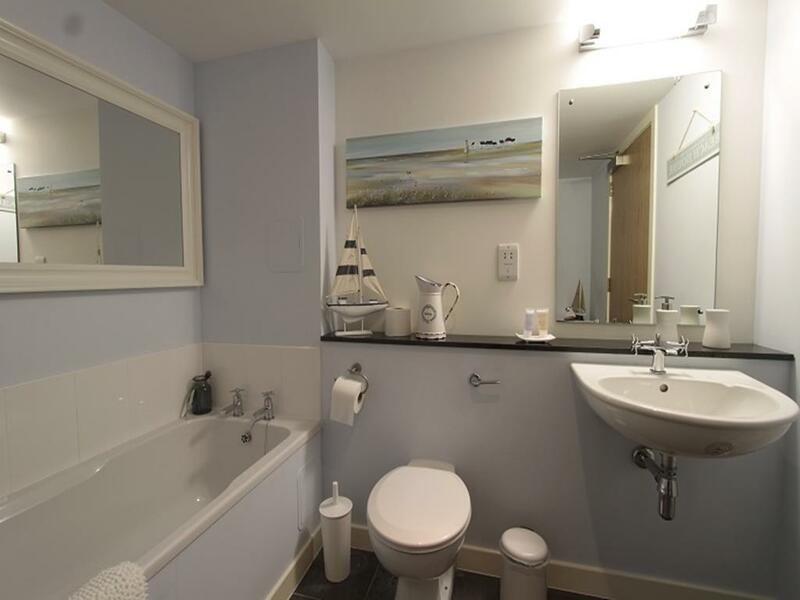 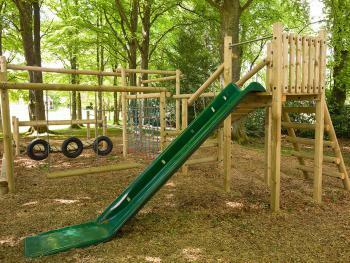 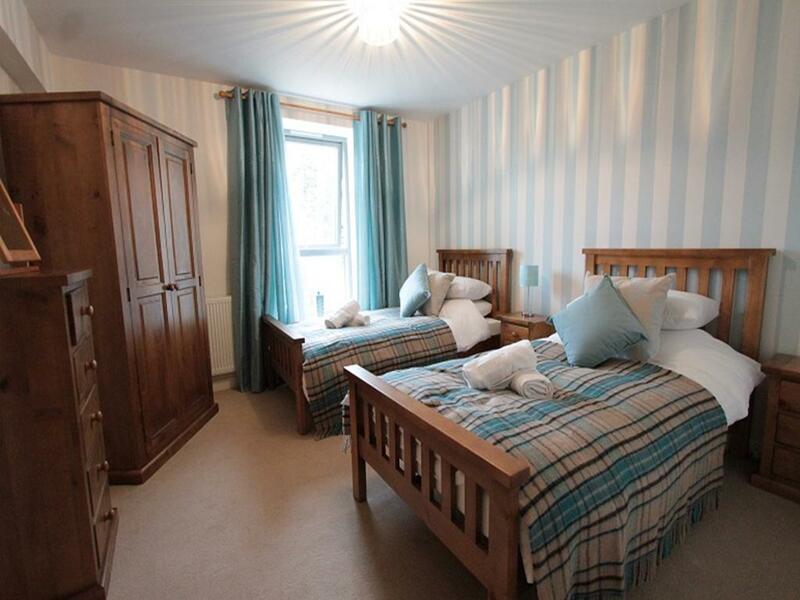 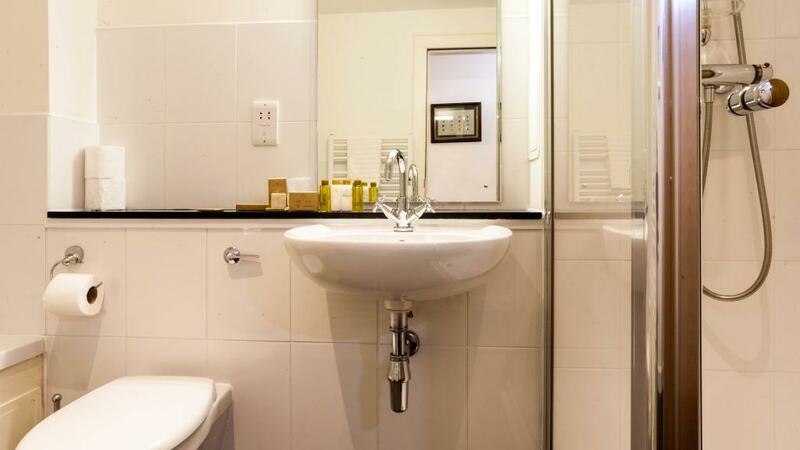 The accommodation is very spacious and comprises an open plan reception room with modern kitchen. 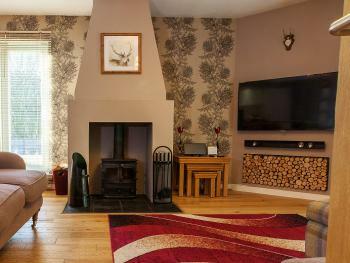 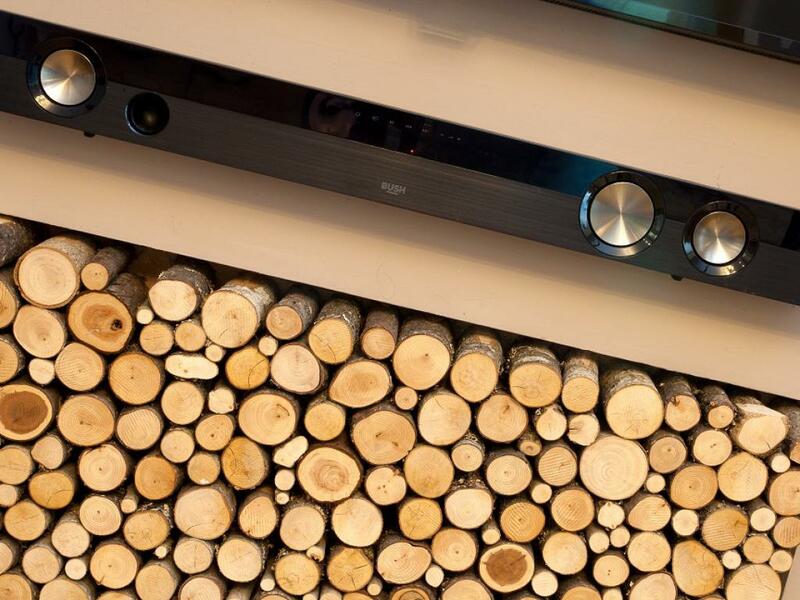 It comes with a real log fire (wood burning stove) to keep you cosy in the winter months. 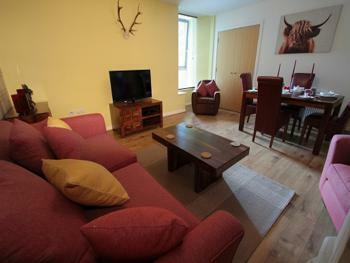 For entertainment there is a flat screen TV with Freeview/DVD Player. There is comfortable seating in the reception and a spacious dining area. 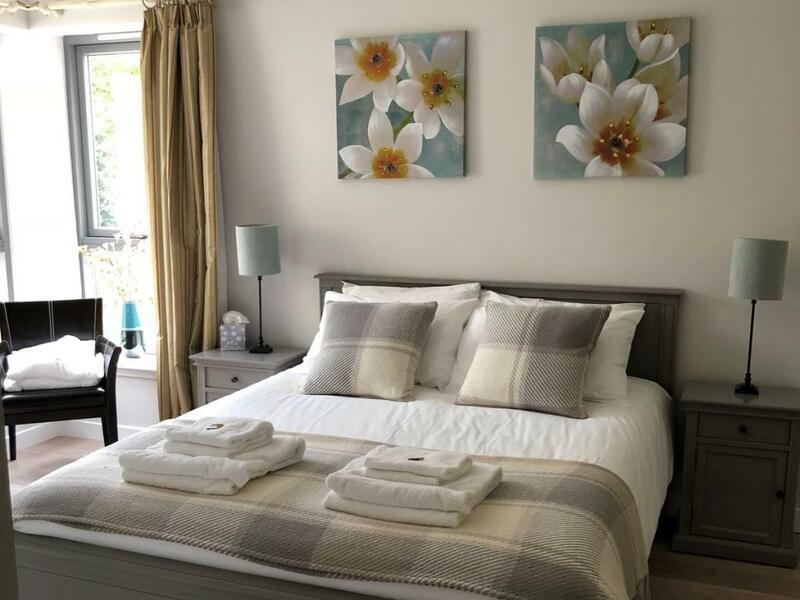 The master bedroom is situated on the first floor and comes with an en-suite bathroom with bath and walk in shower cubicle. 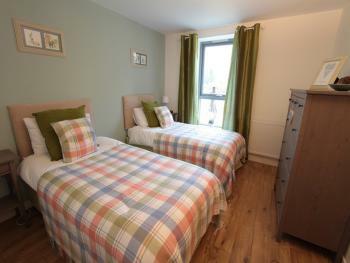 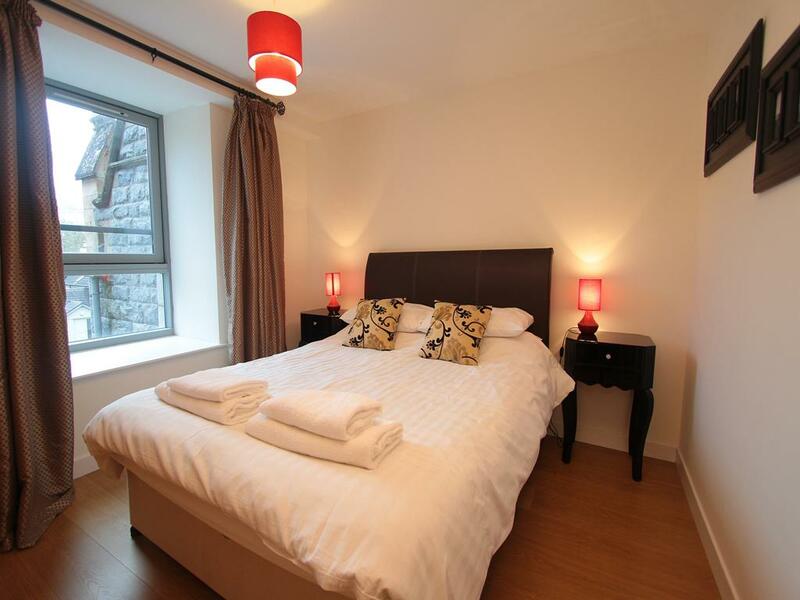 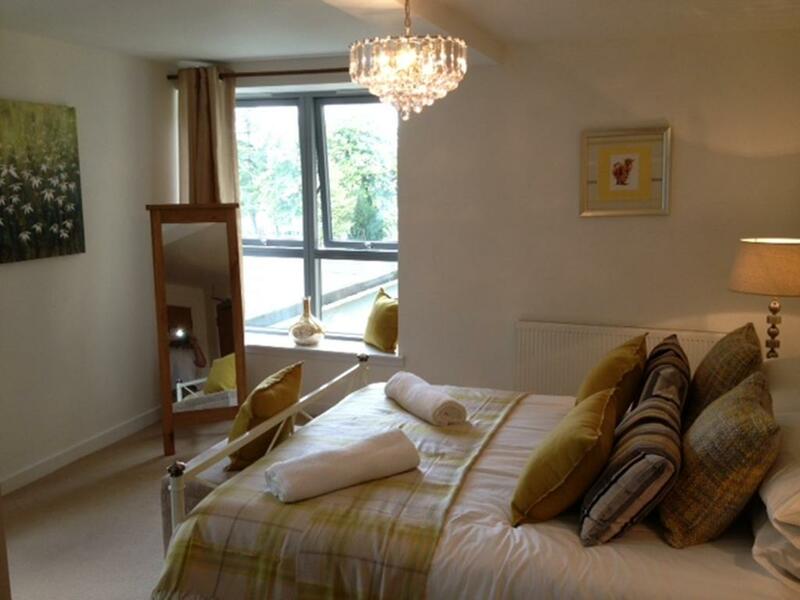 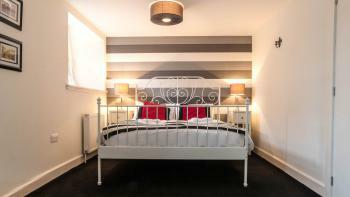 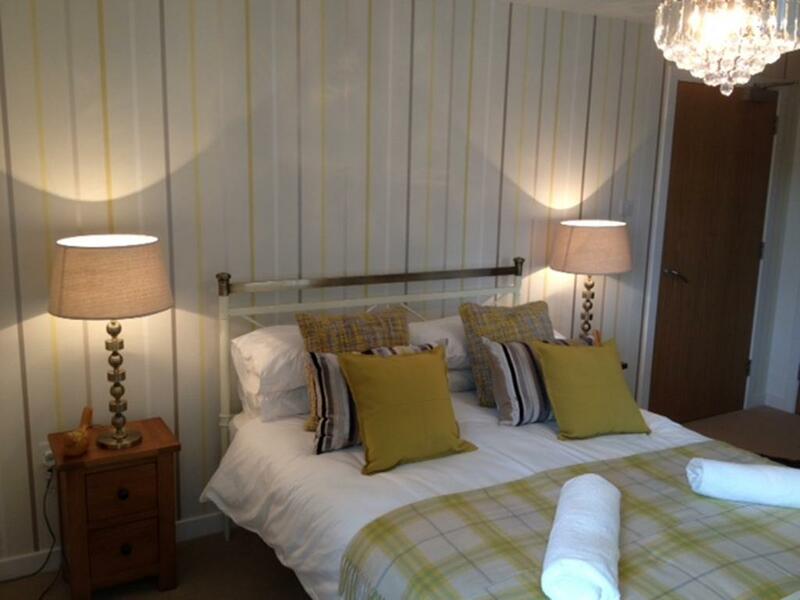 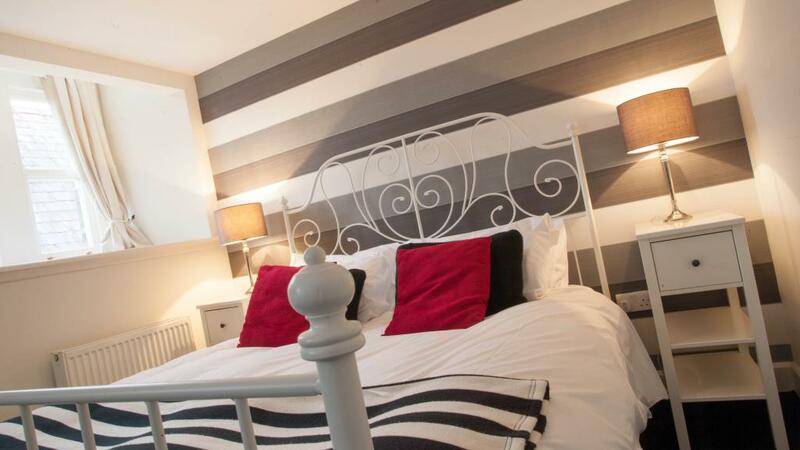 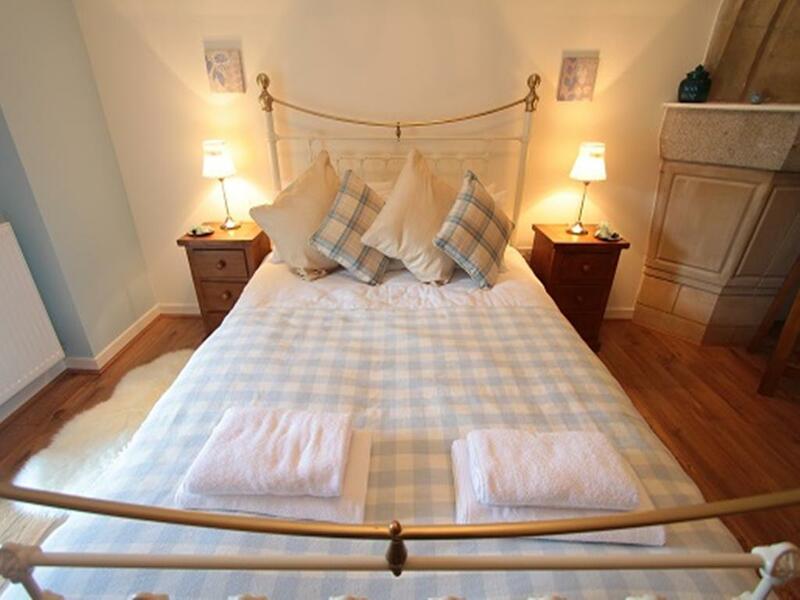 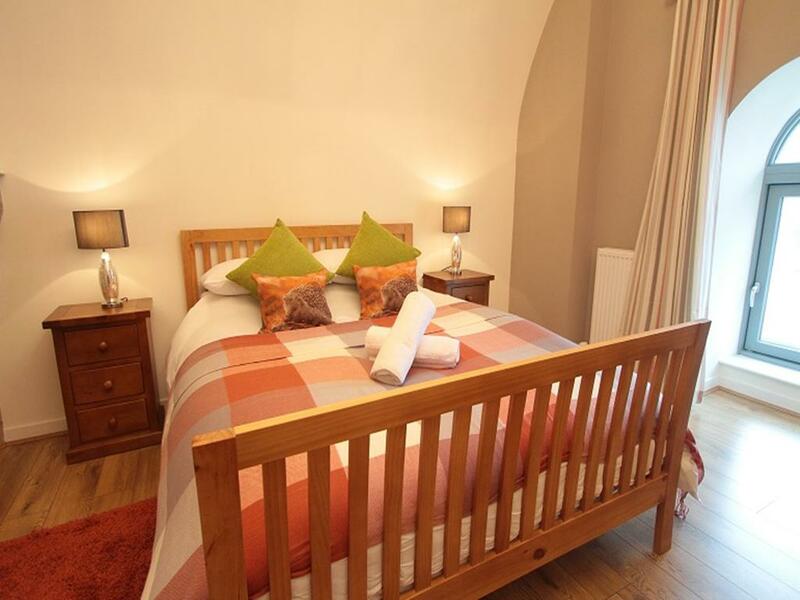 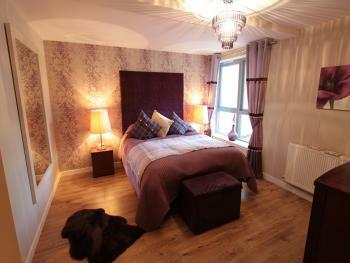 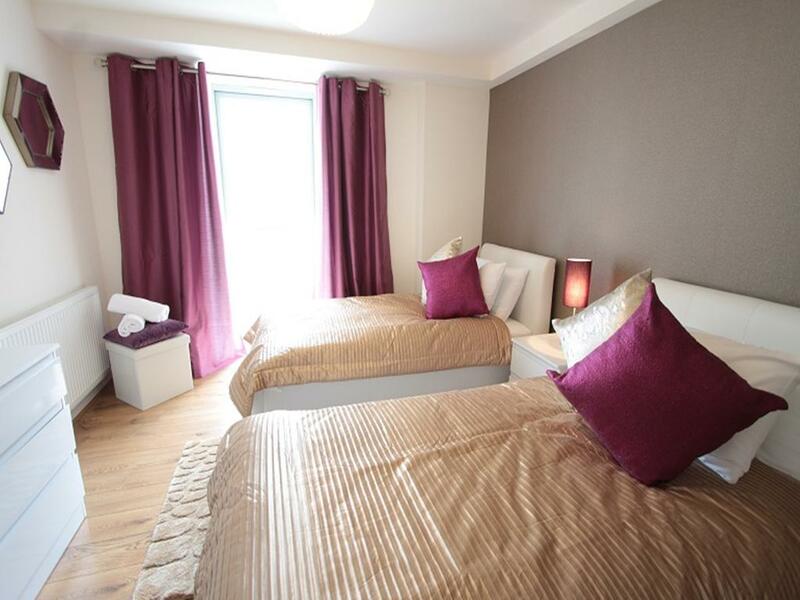 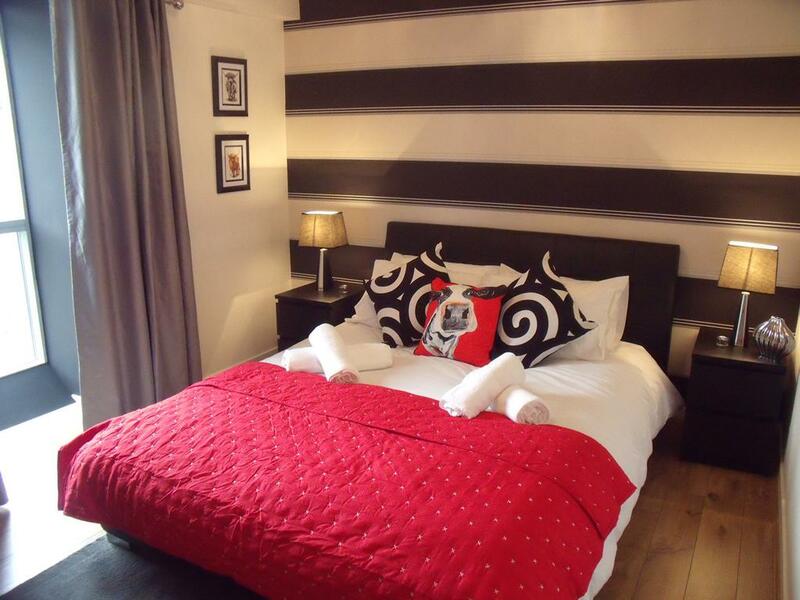 The guest double bedroom is also situated on the first floor with a guest bathroom on the ground floor. 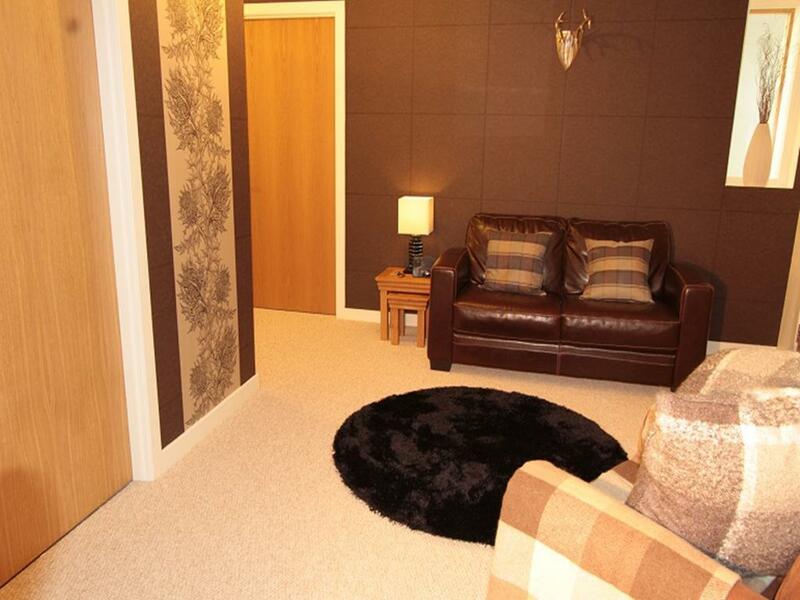 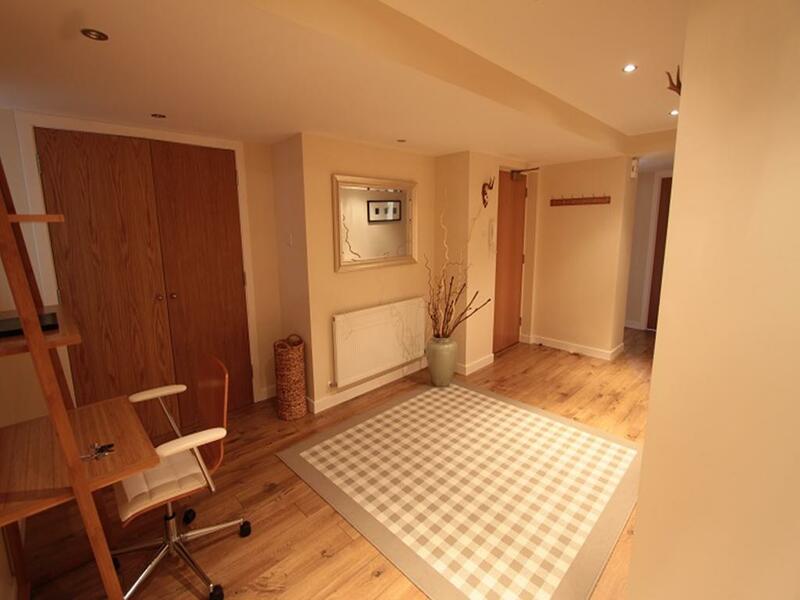 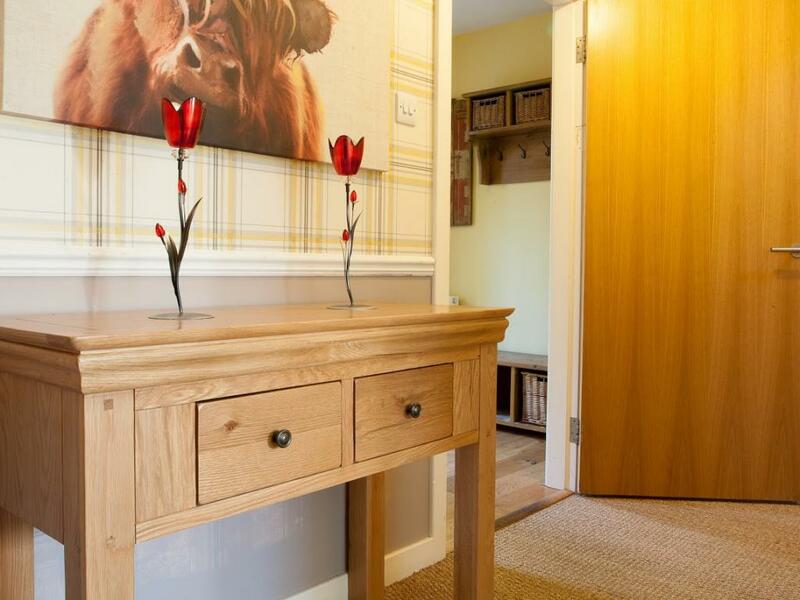 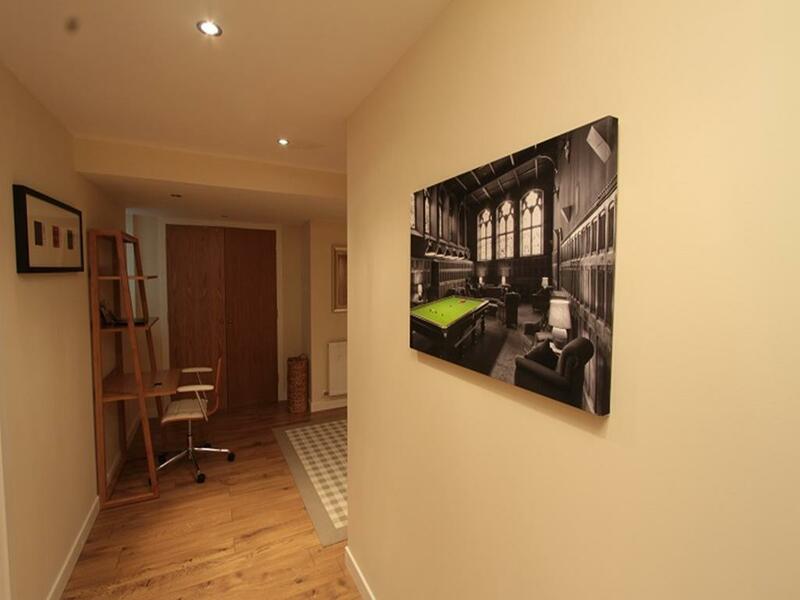 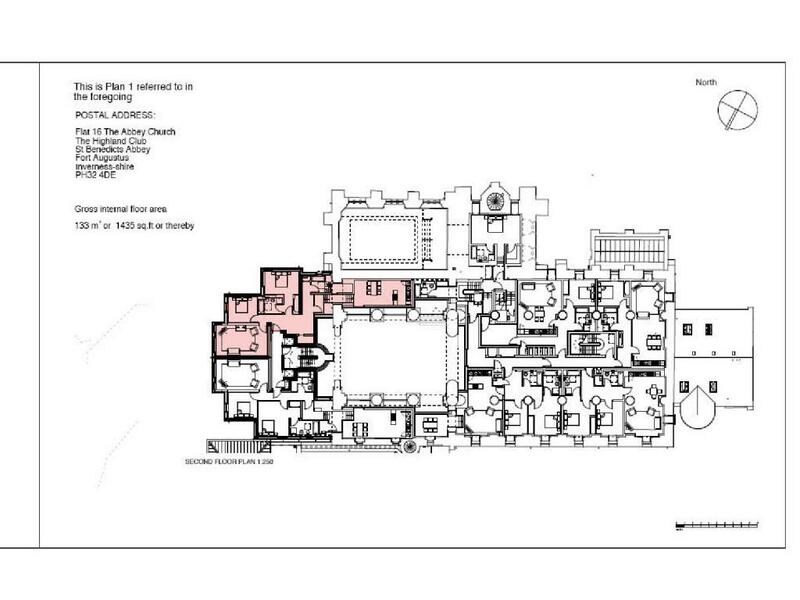 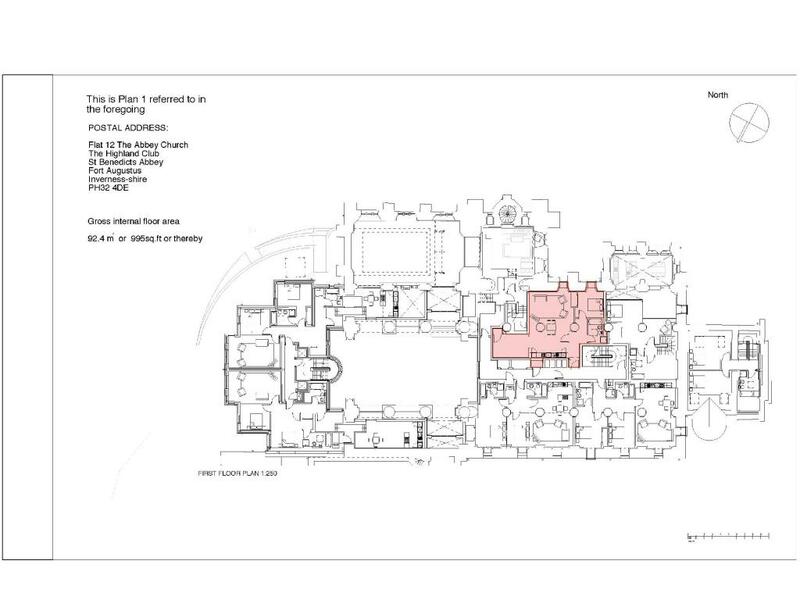 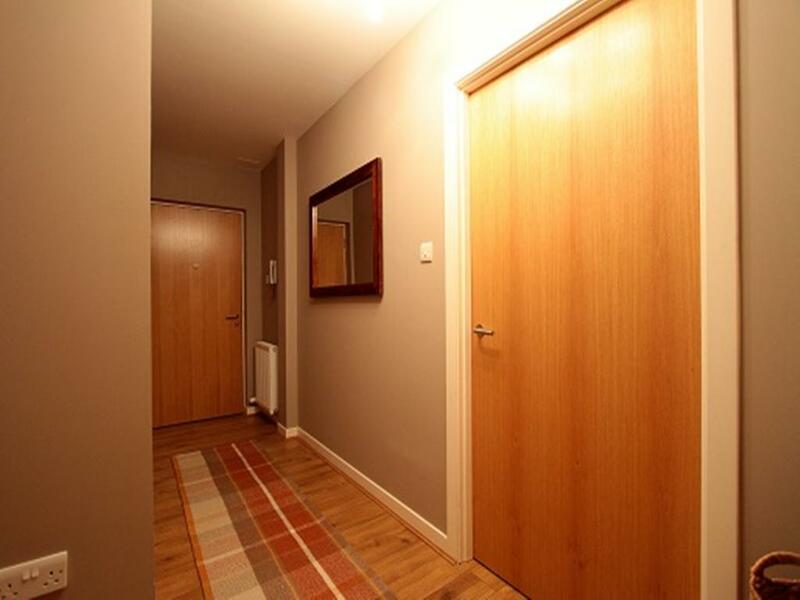 There is a spacious entrance hall with room for coats and shoes. 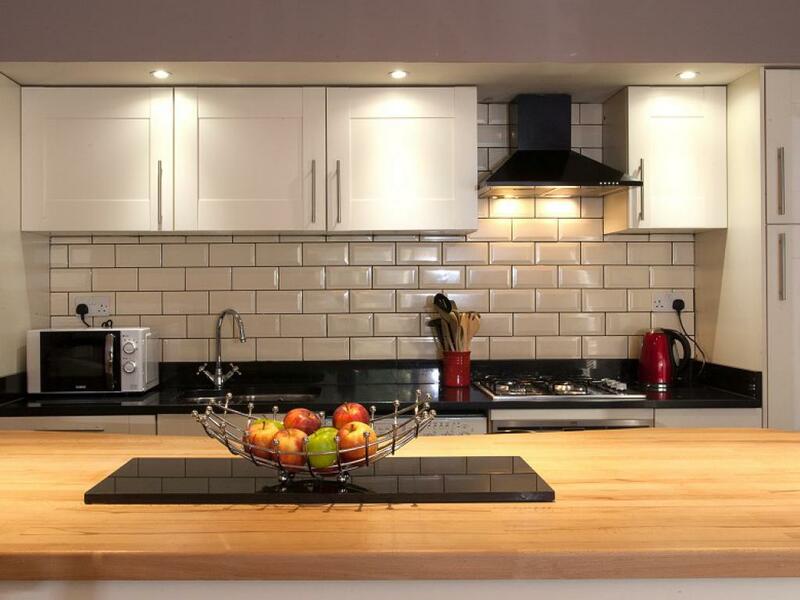 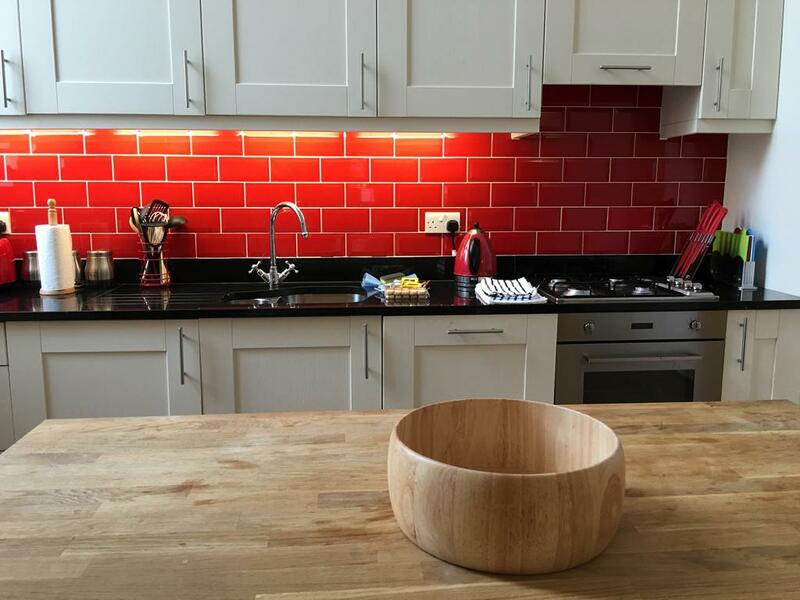 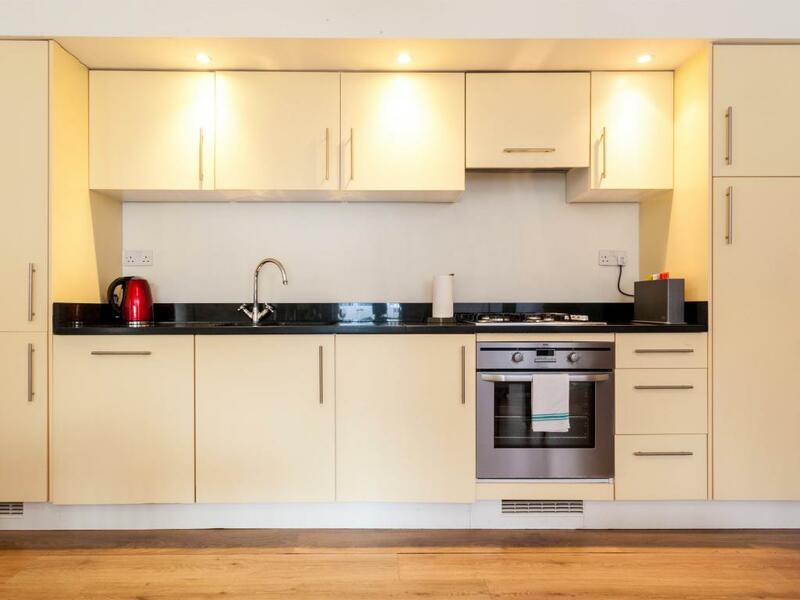 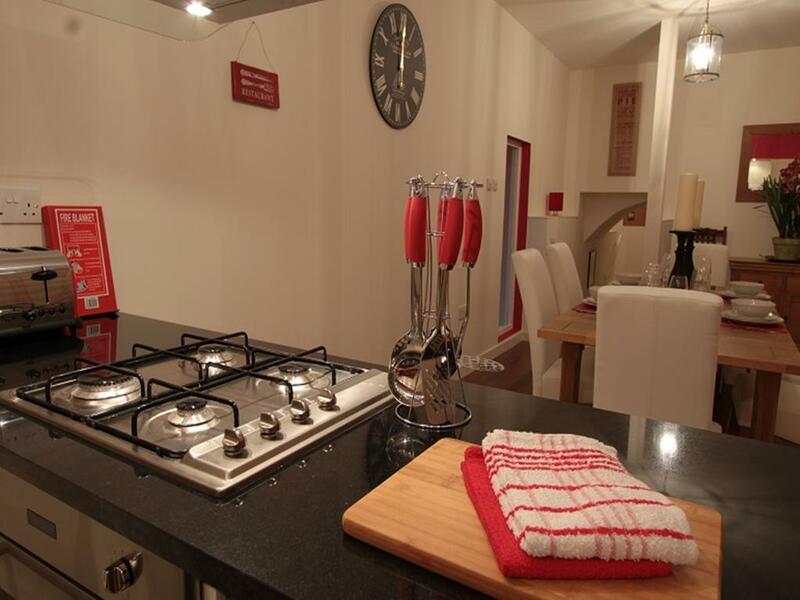 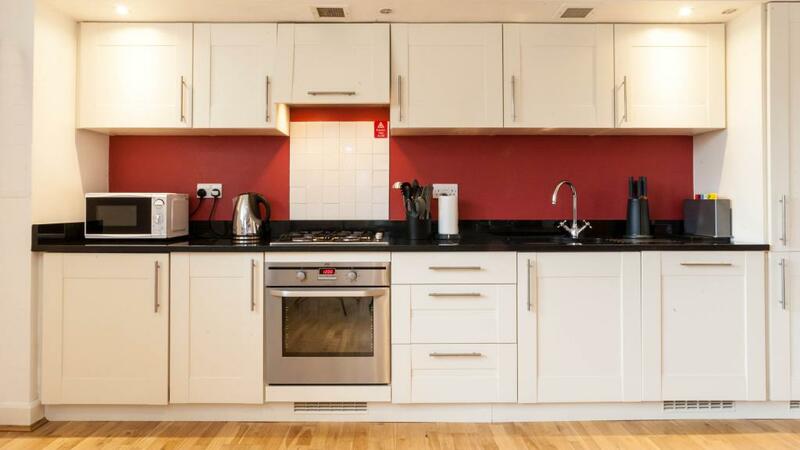 The modern kitchen is fully fitted with contemporary units and granite worktops and includes electric oven, gas hob, dishwasher, washer/drier, fridge, freezer, microwave and all the usual cooking utensils. 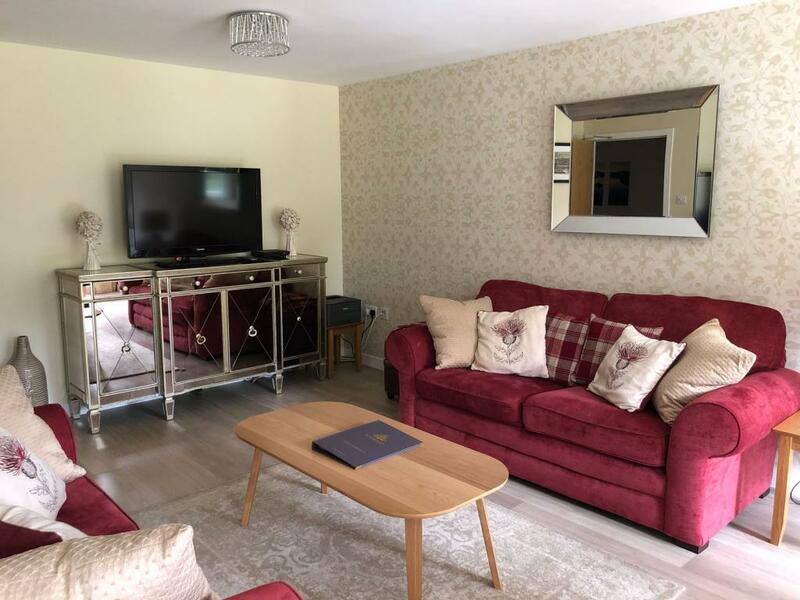 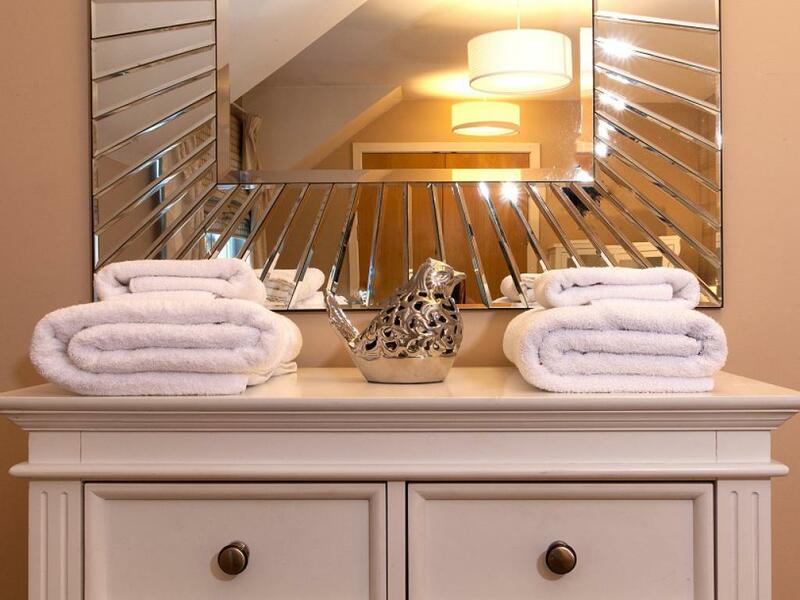 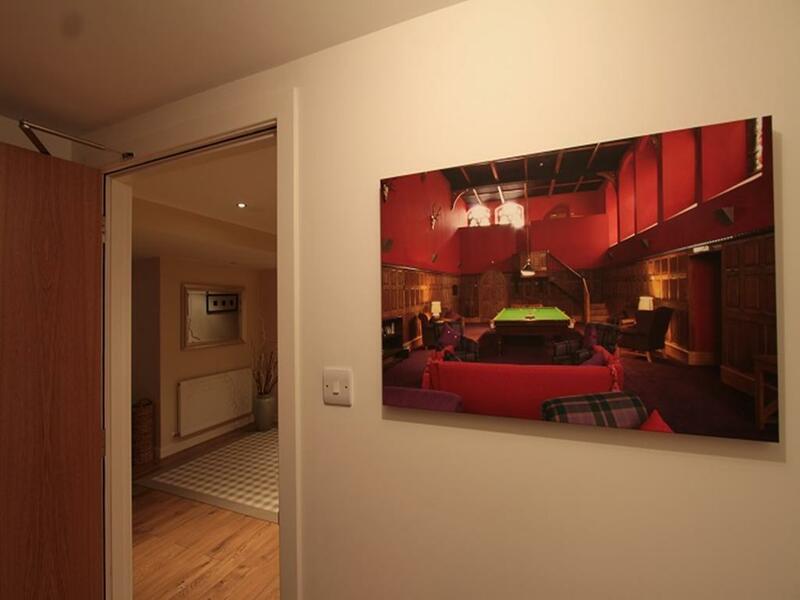 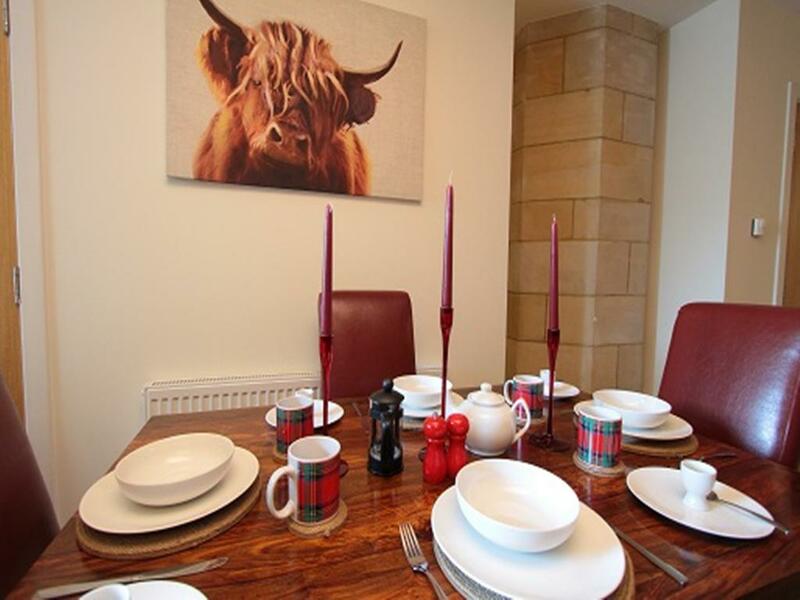 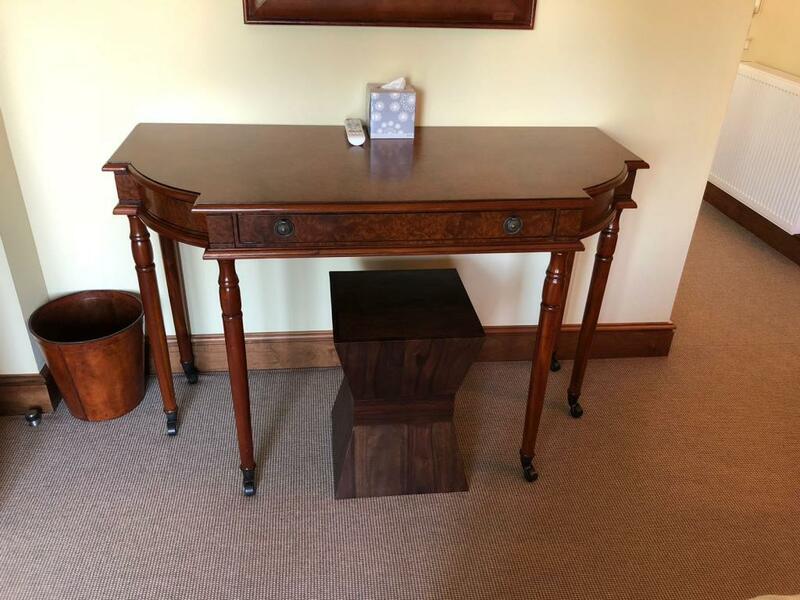 This luxury property is the ideal place to enjoy the history of The Highland Club whilst enjoying has all modern comforts and conveniences you expect from a holiday rental these days. 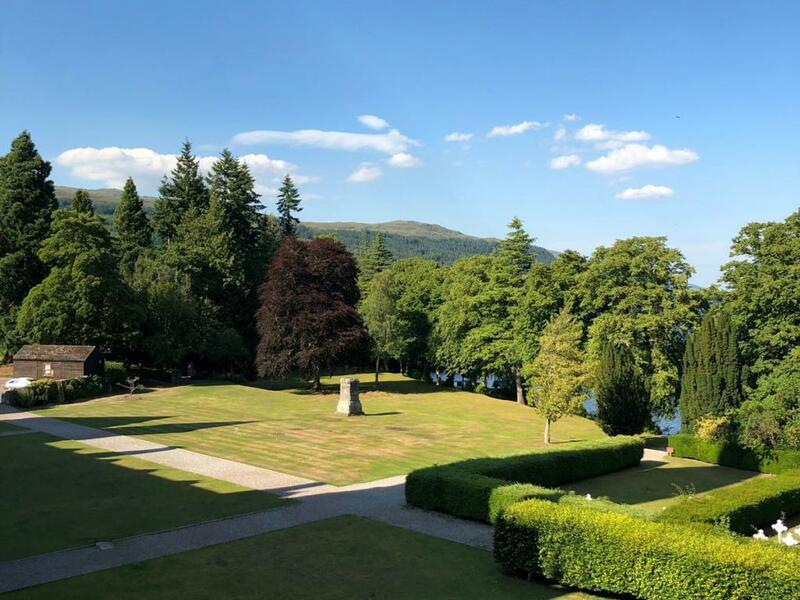 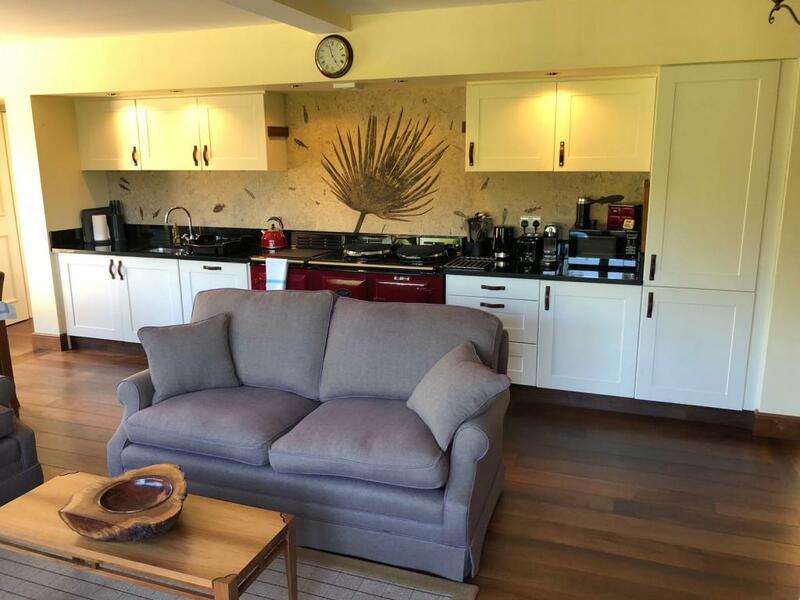 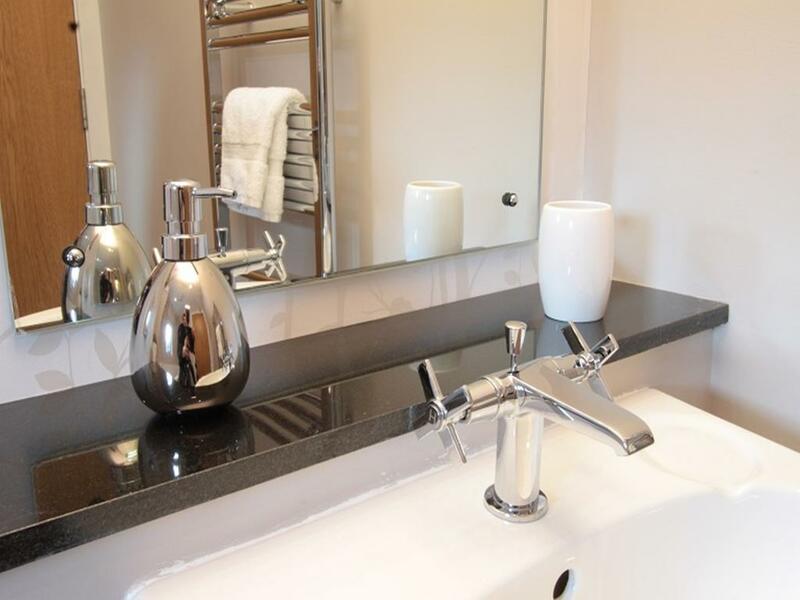 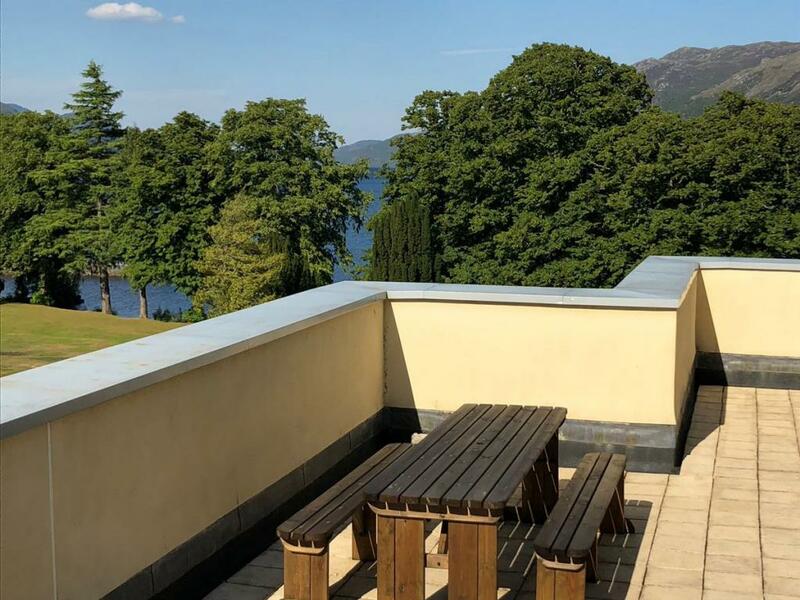 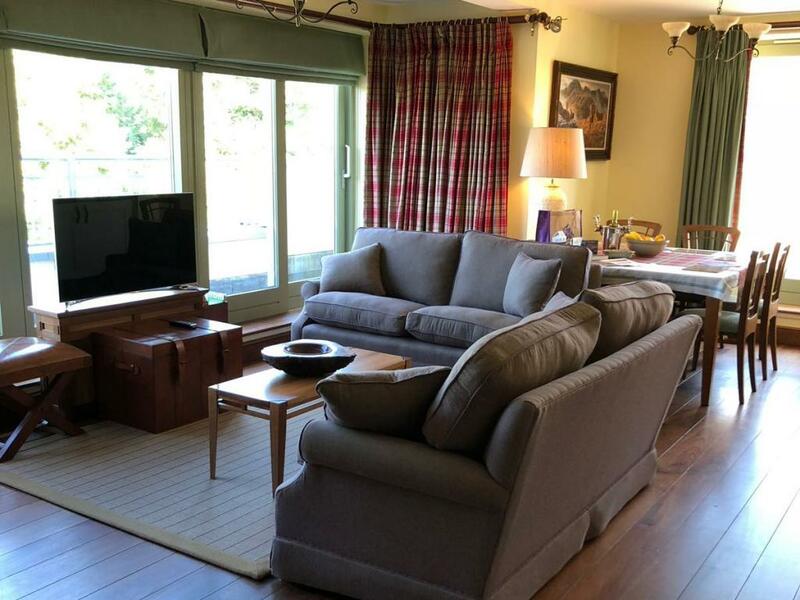 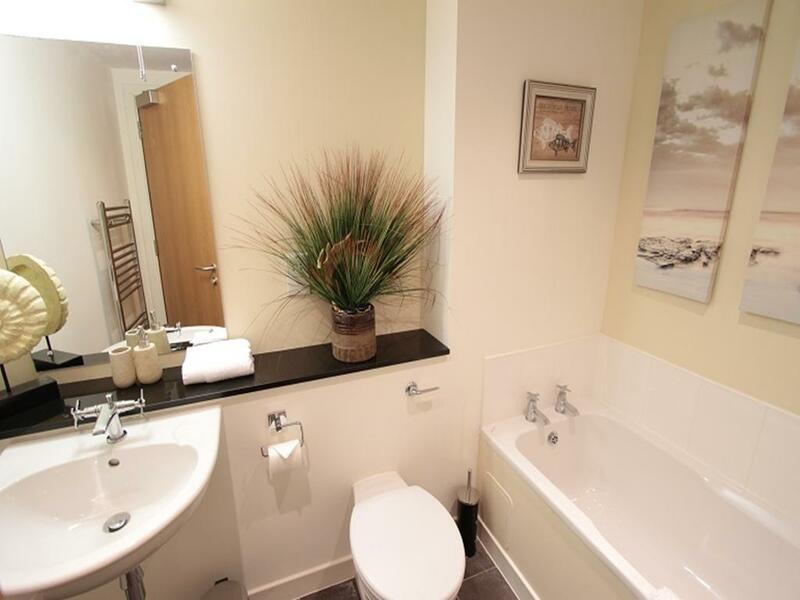 The Highland Club is a collection of 4 and 5 star self catered apartments (serviced daily) set in 20 acres of beautifully landscaped grounds on the south shore of Loch Ness, also cradled by the Caledonian Canal and the River Tarff. 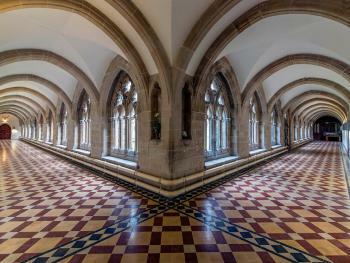 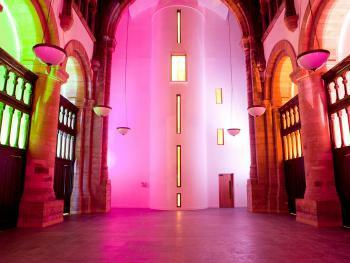 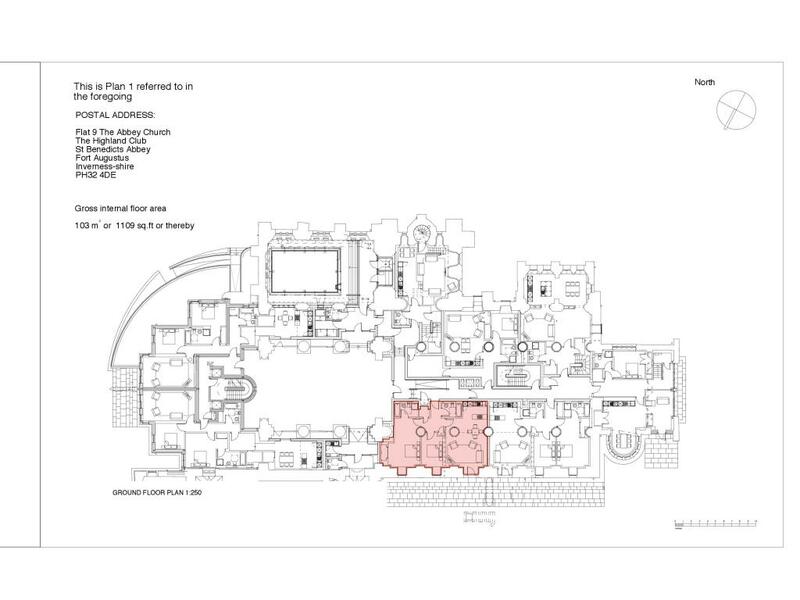 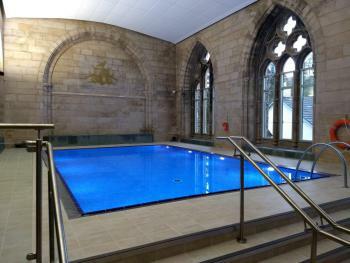 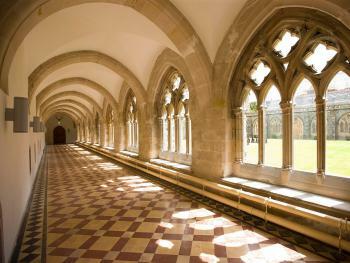 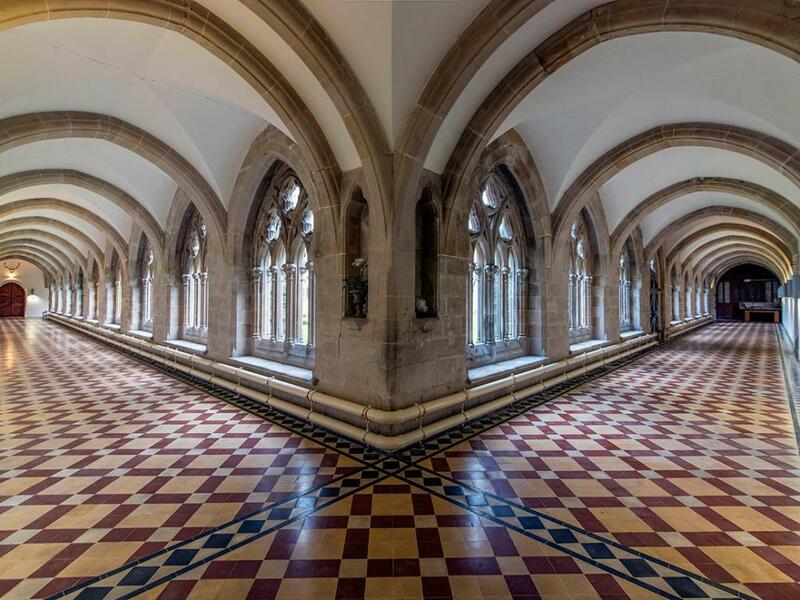 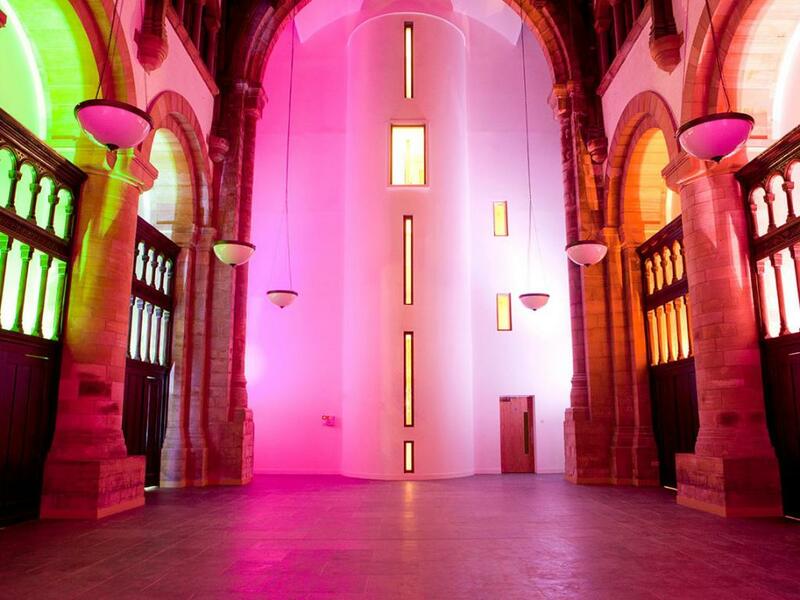 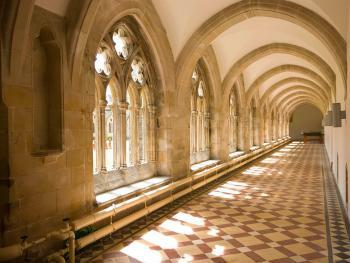 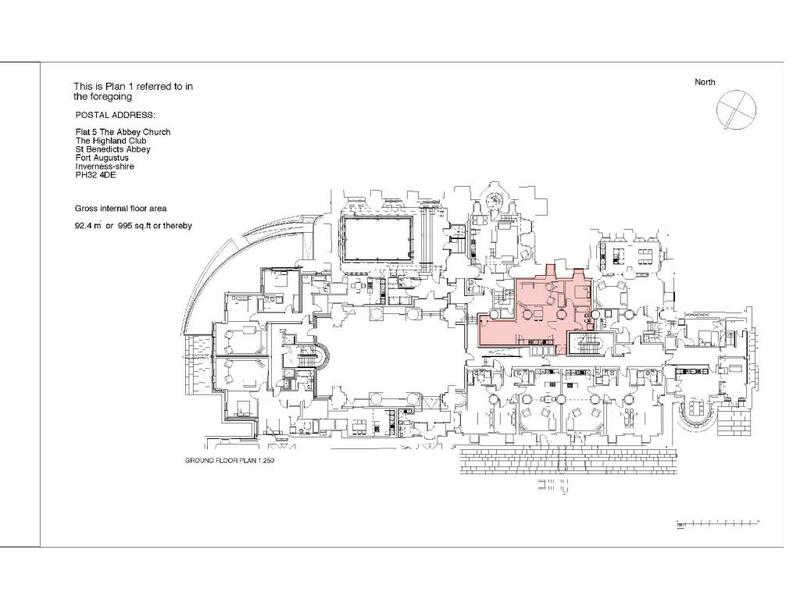 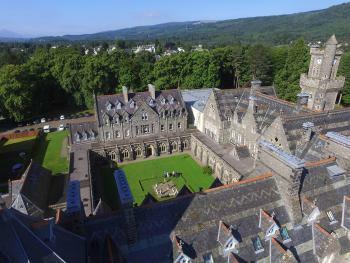 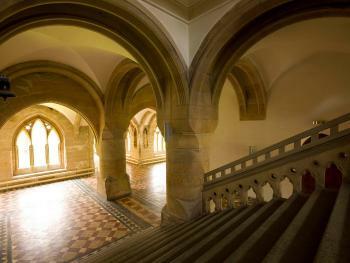 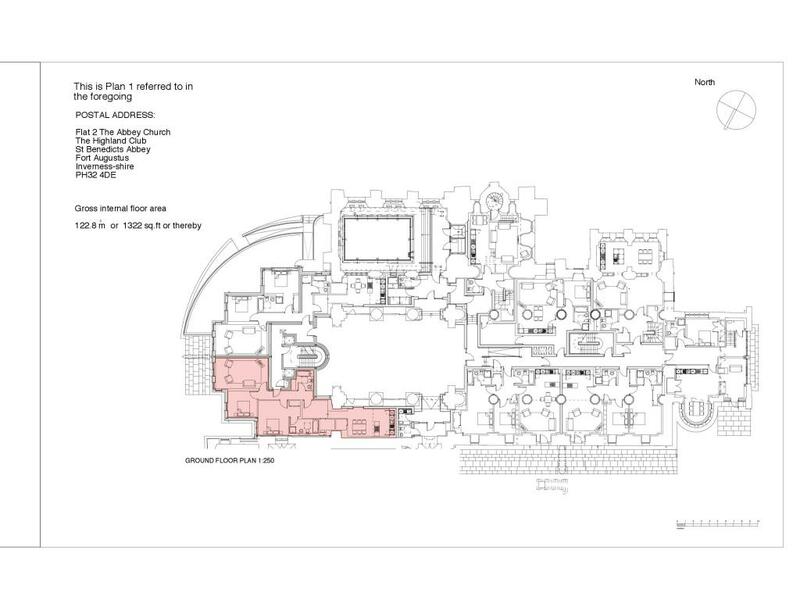 It occupies Grade A listed gothic buildings, originally the 1729 English fortification which became St Benedict’s Abbey. 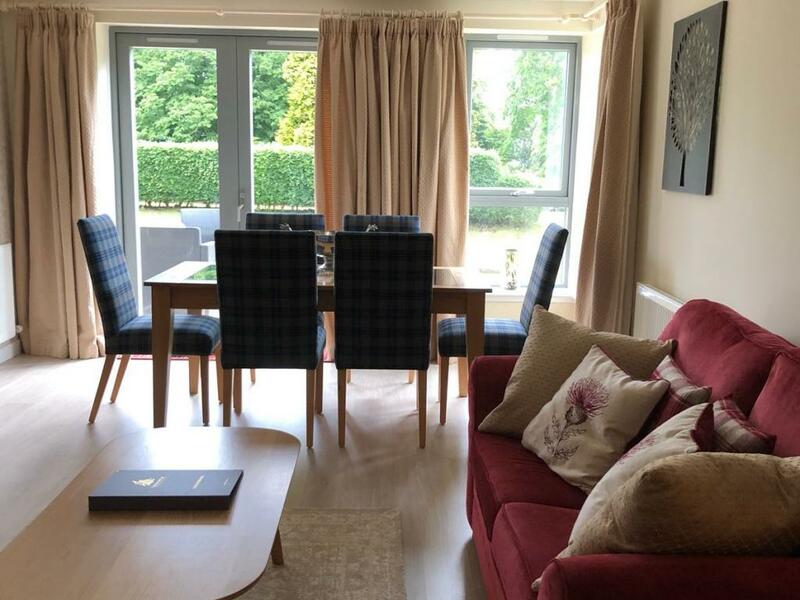 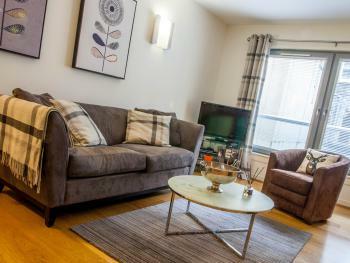 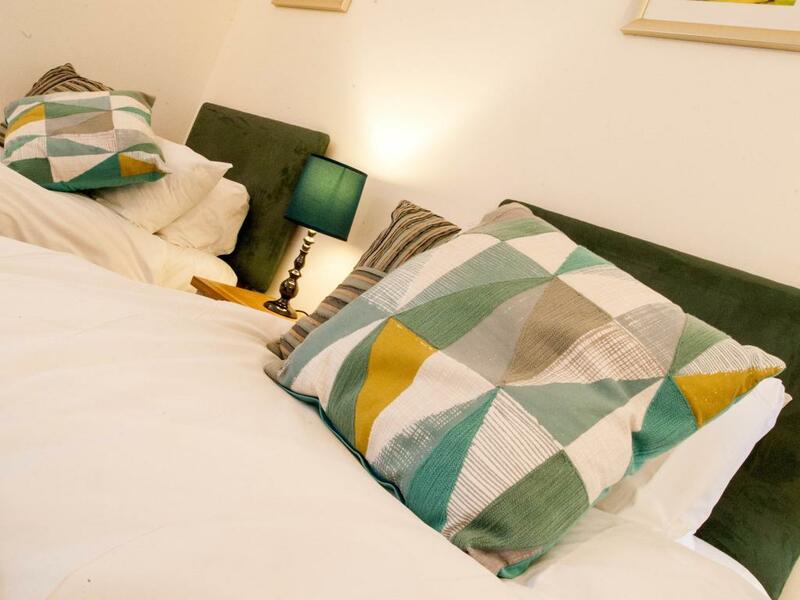 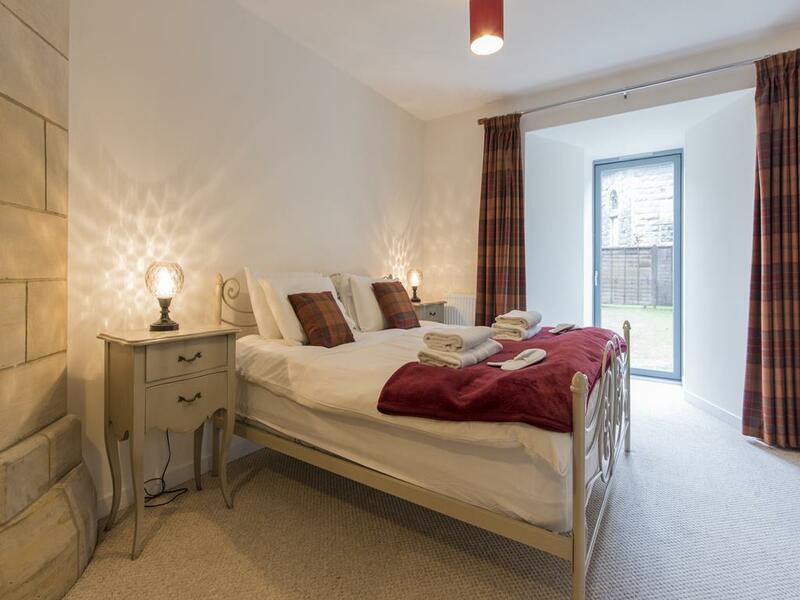 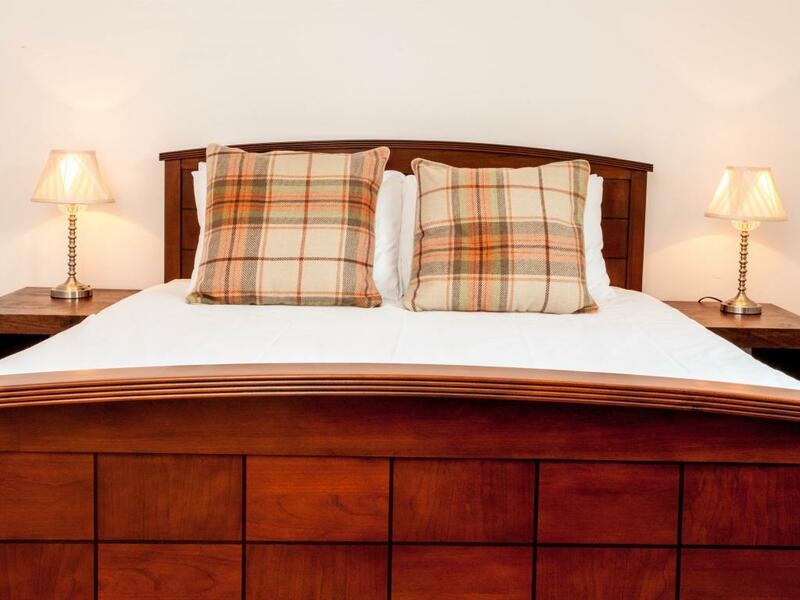 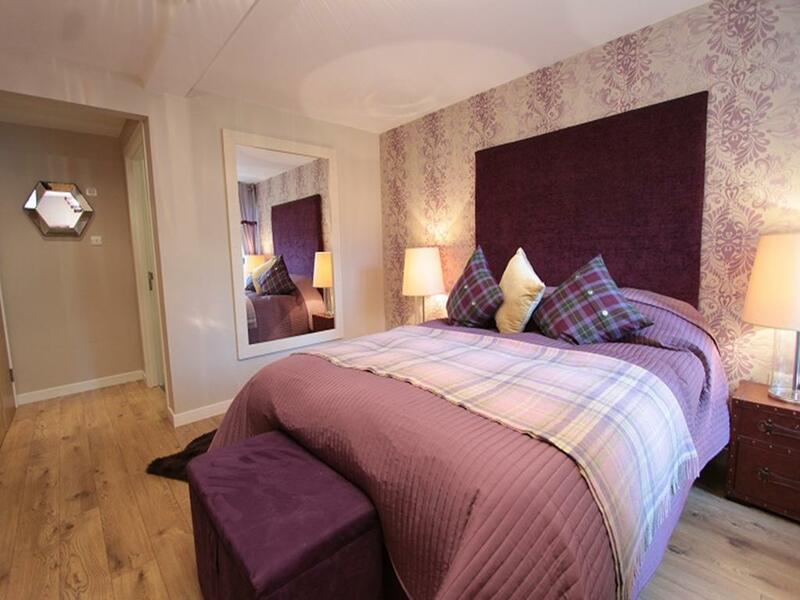 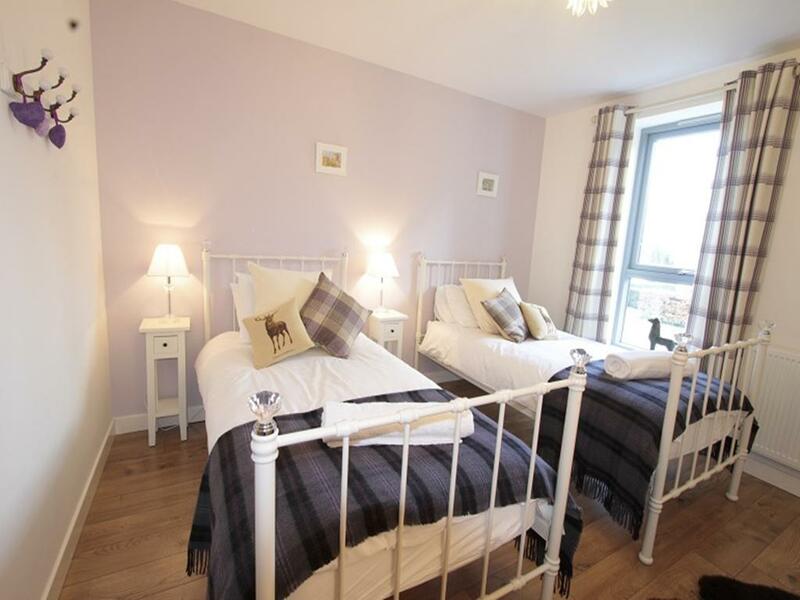 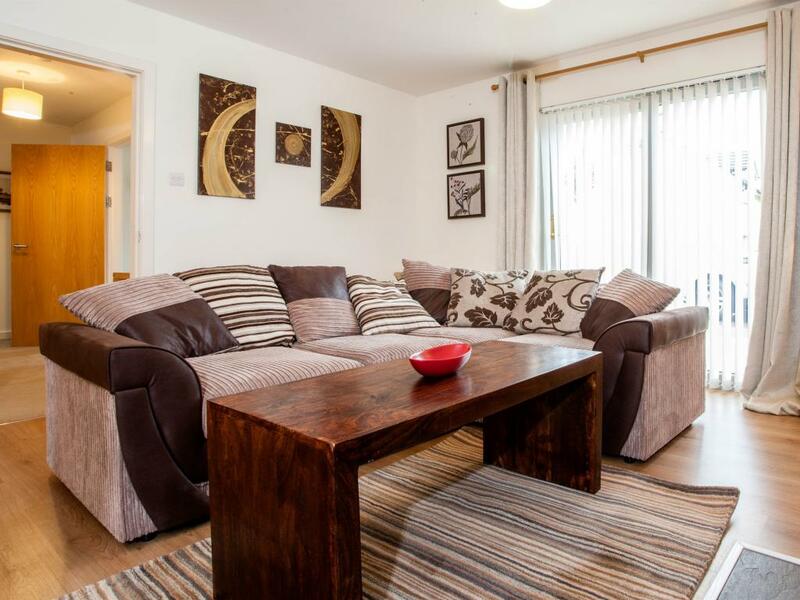 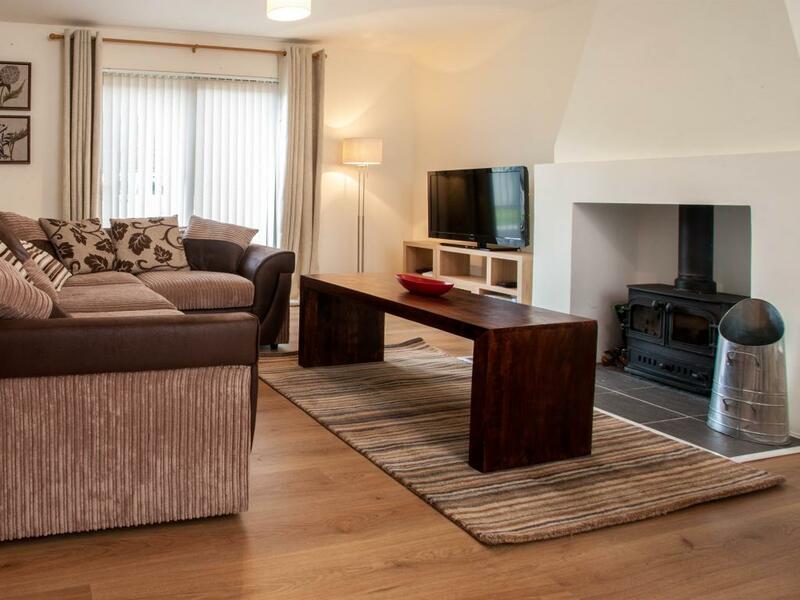 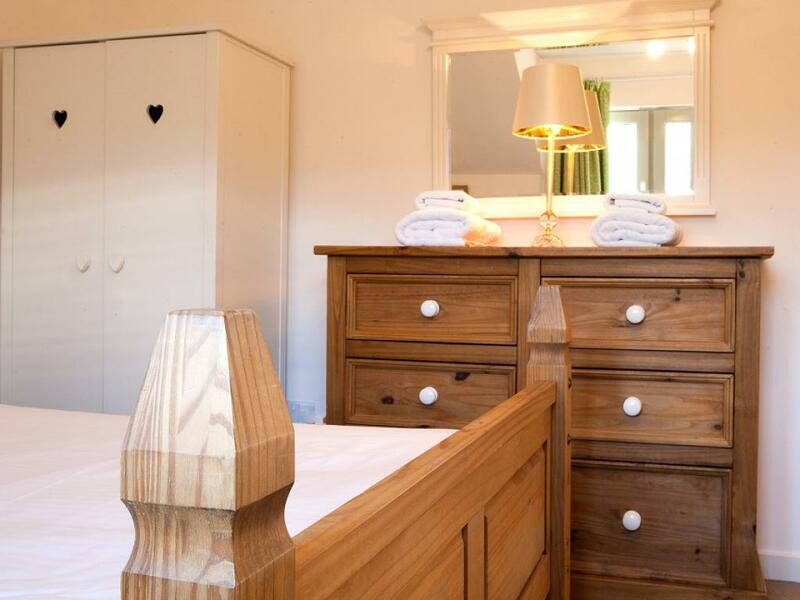 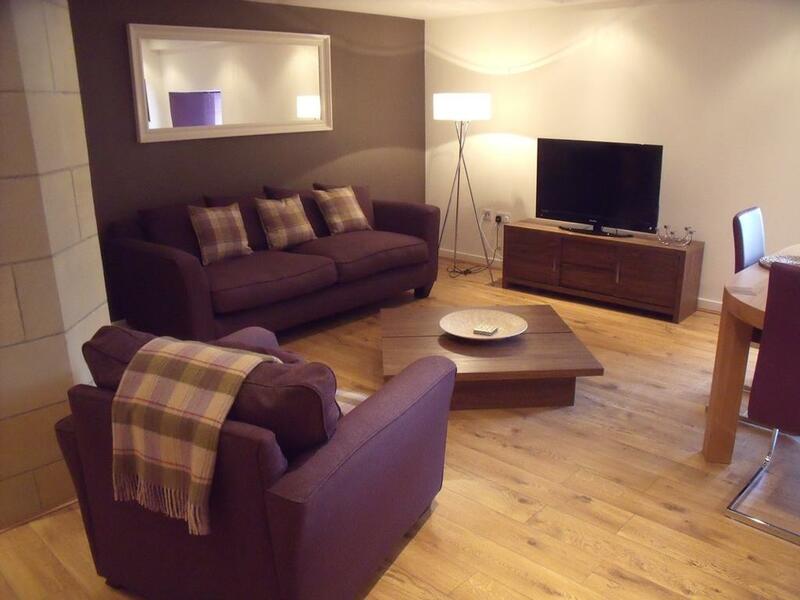 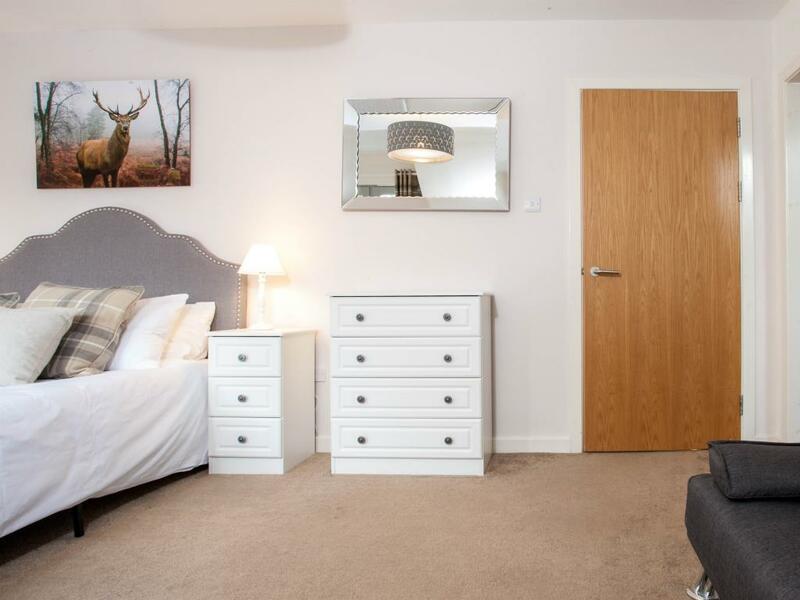 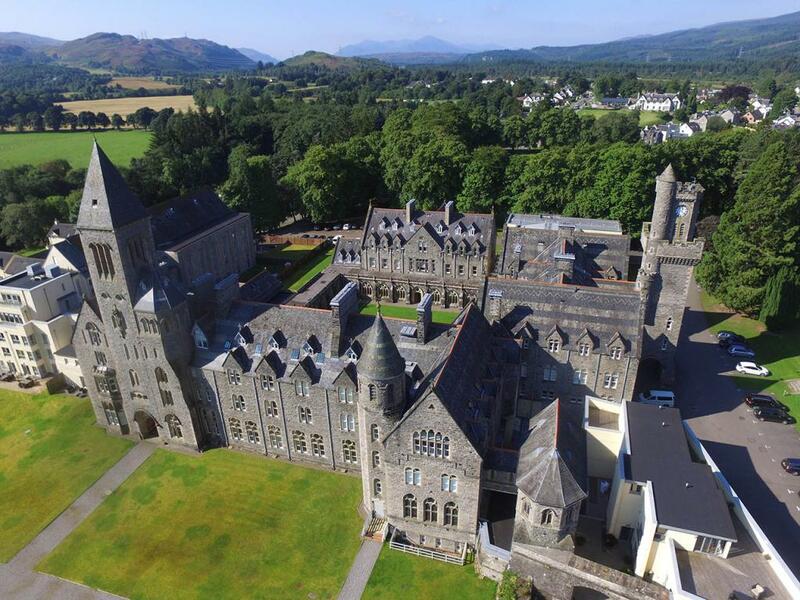 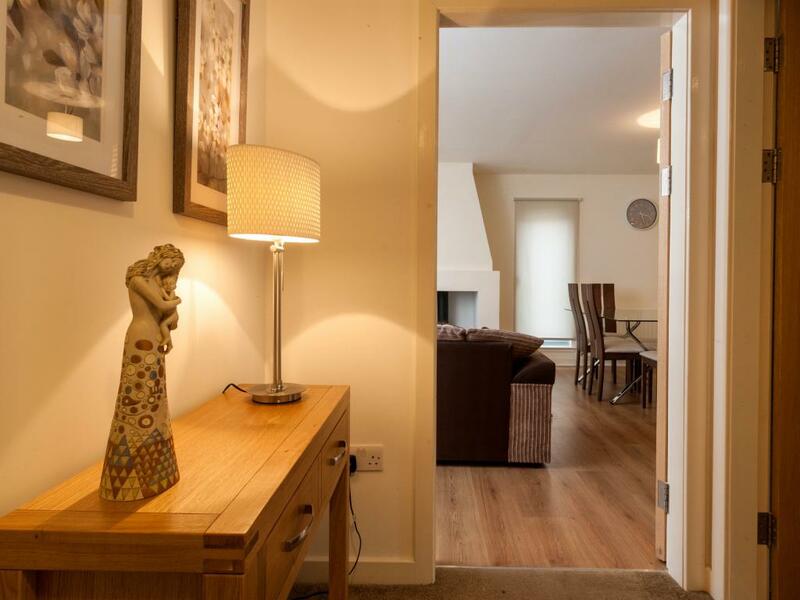 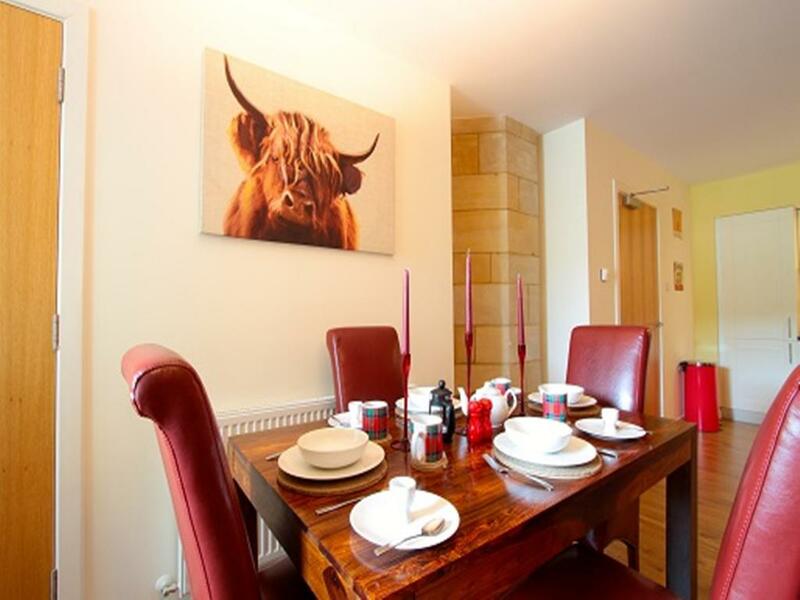 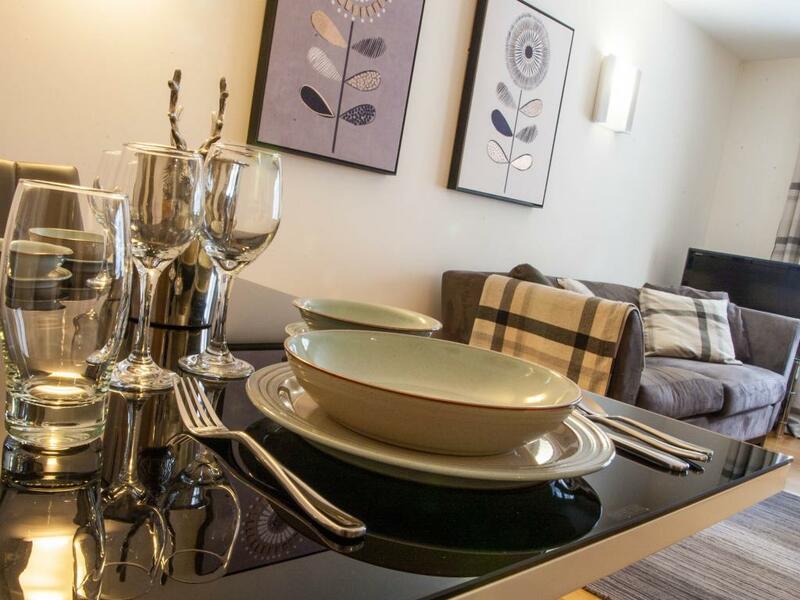 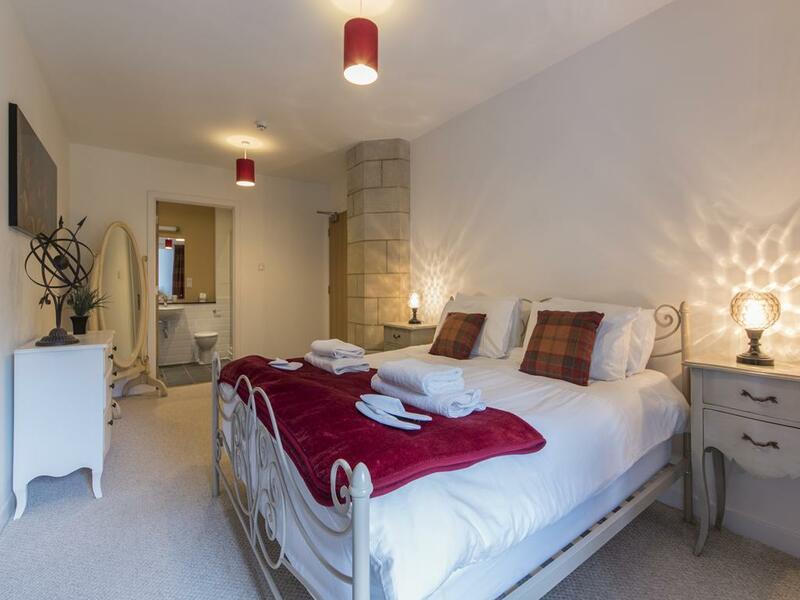 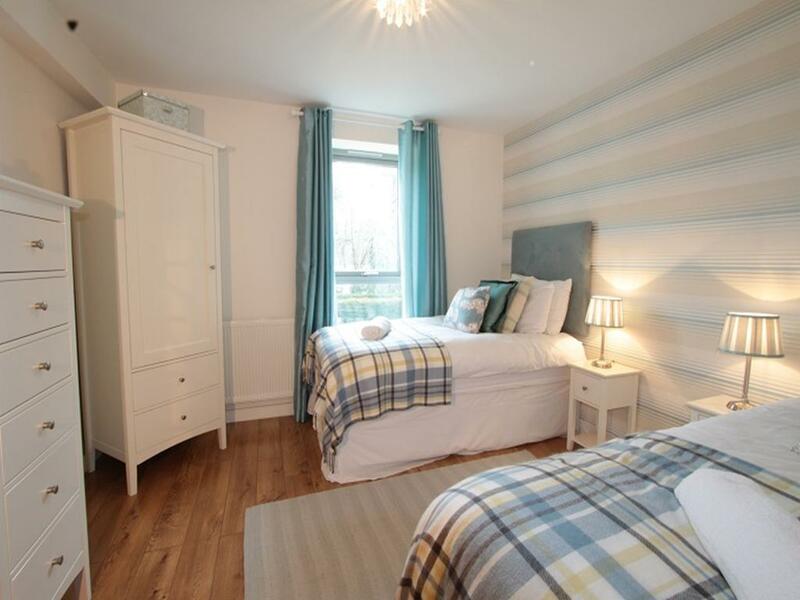 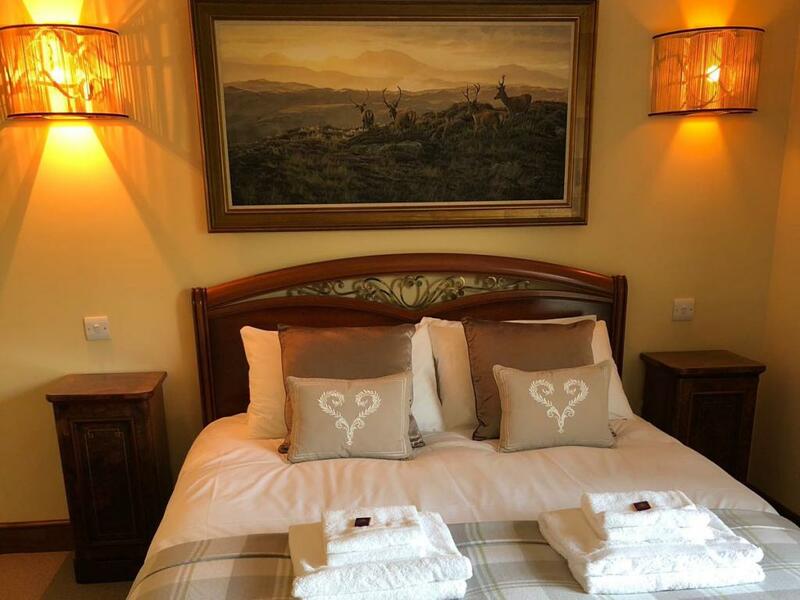 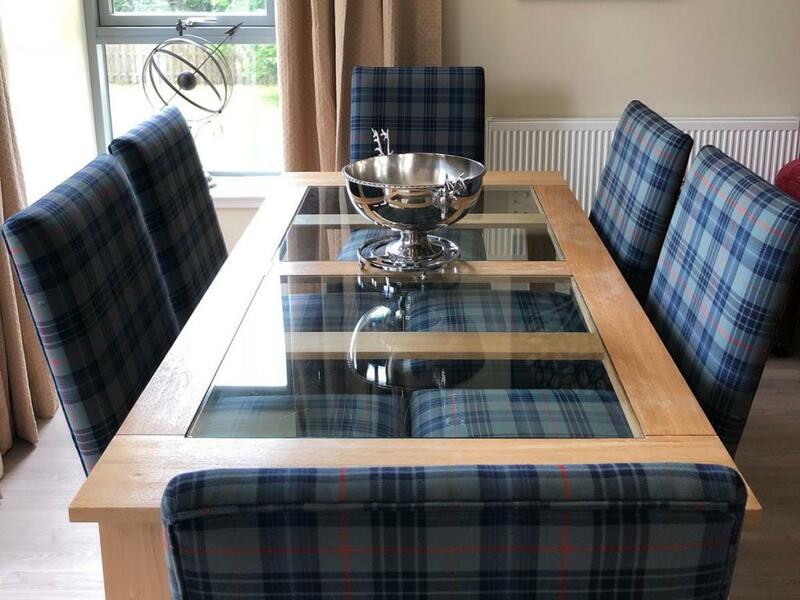 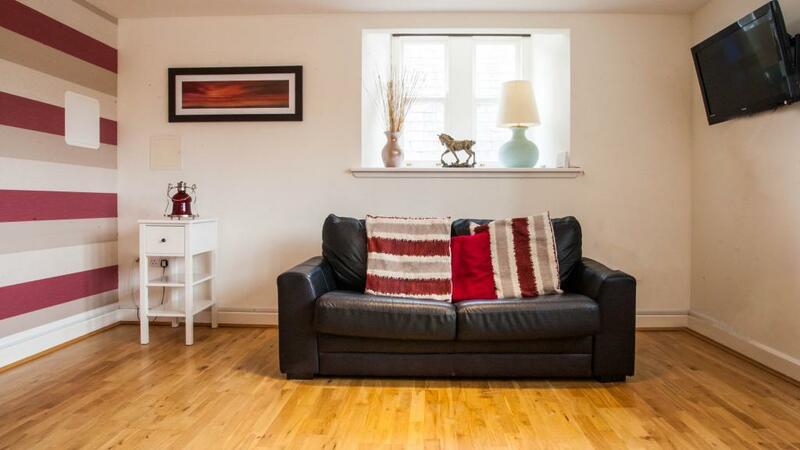 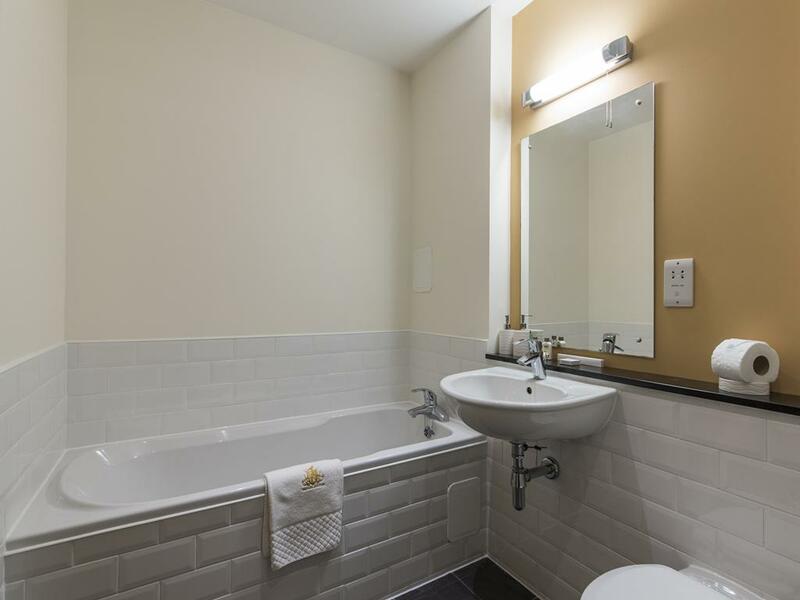 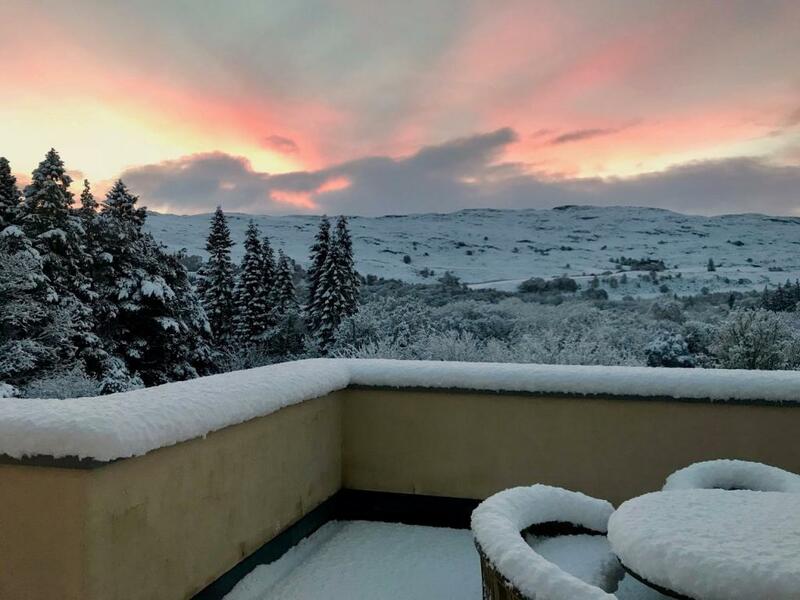 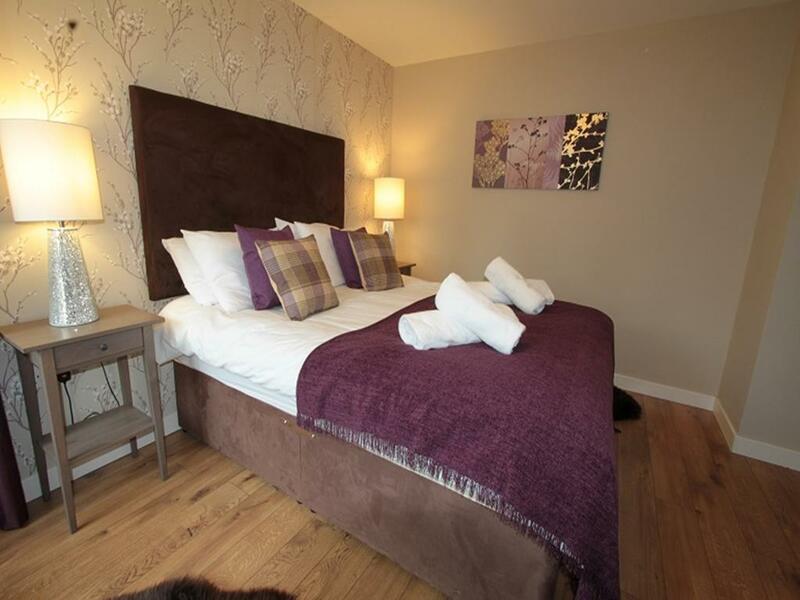 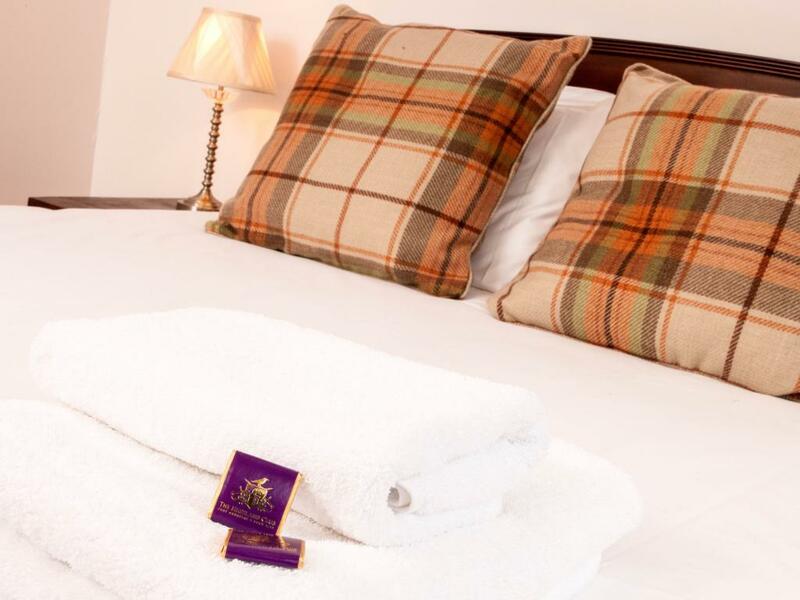 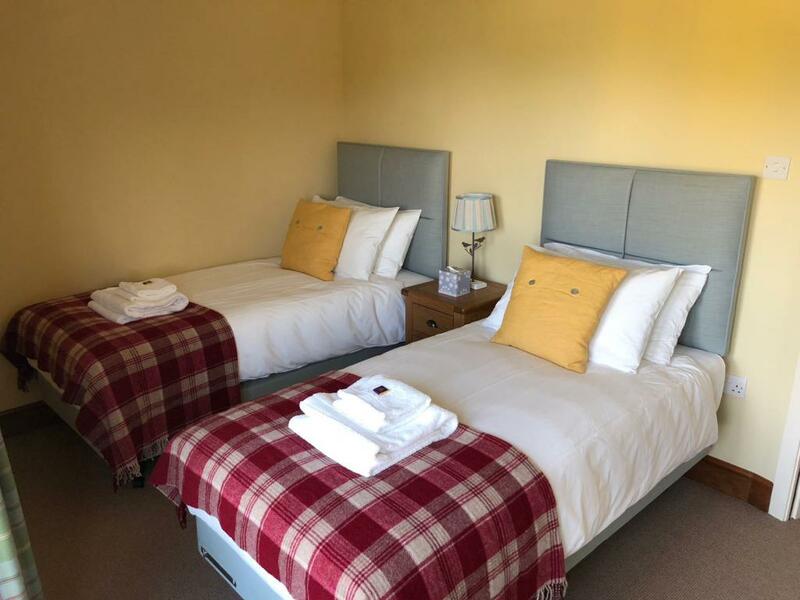 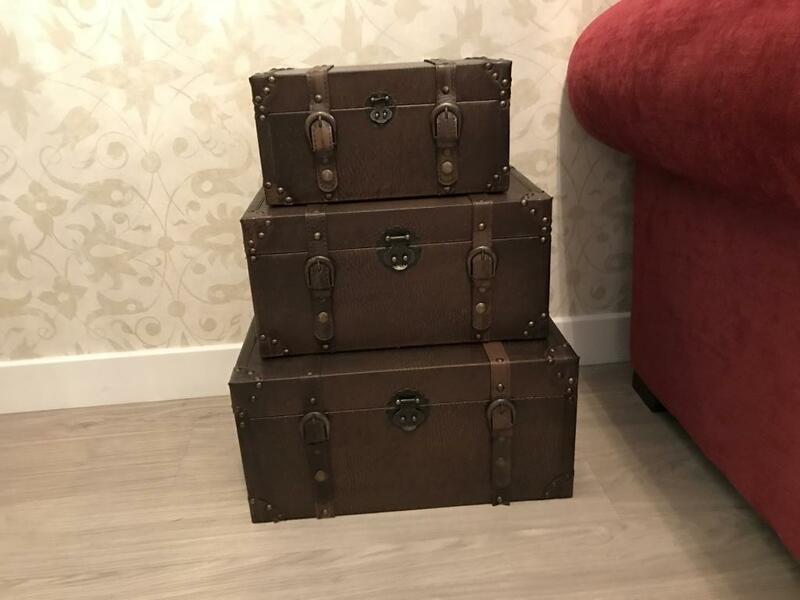 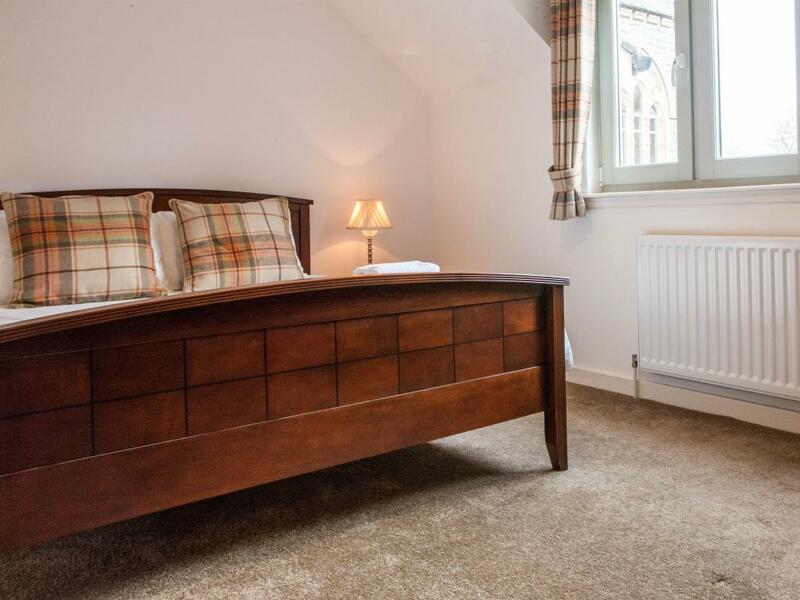 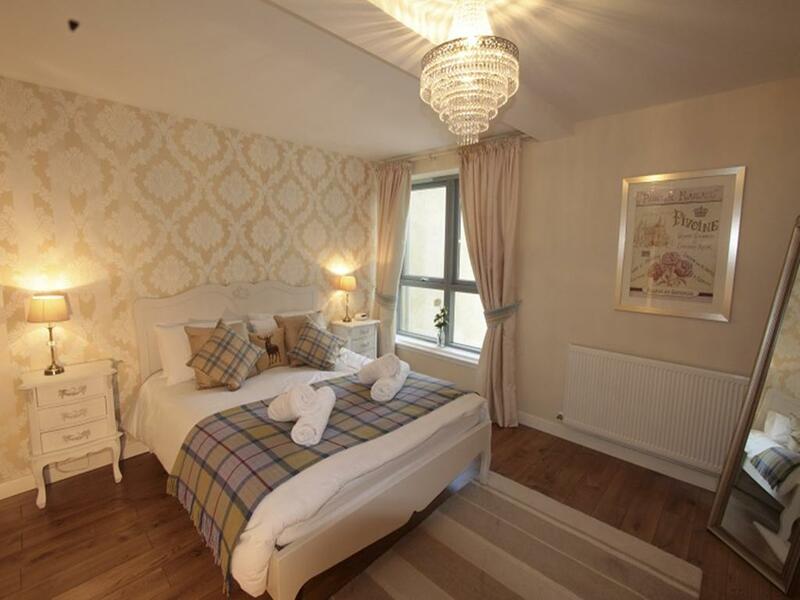 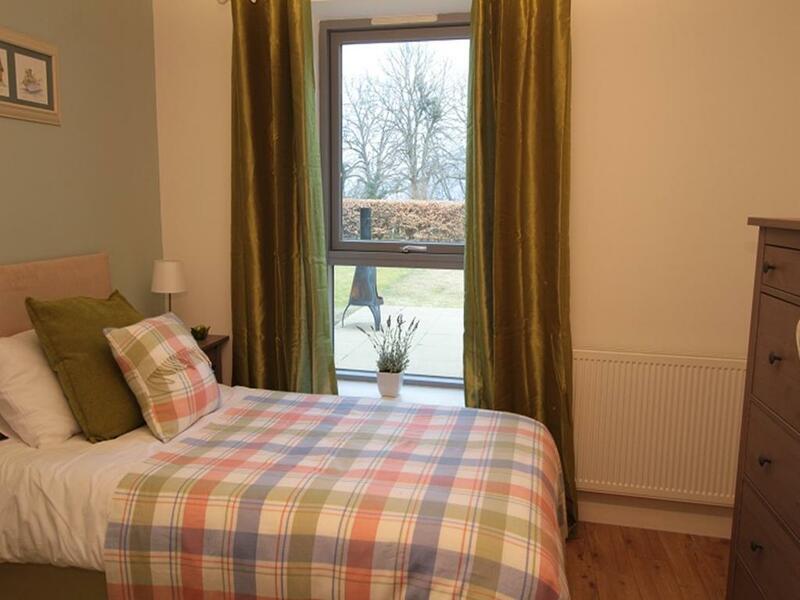 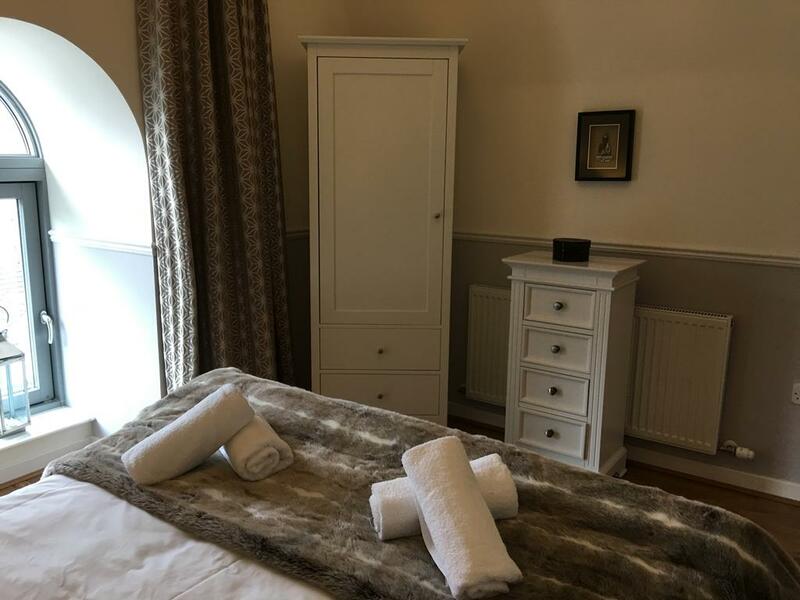 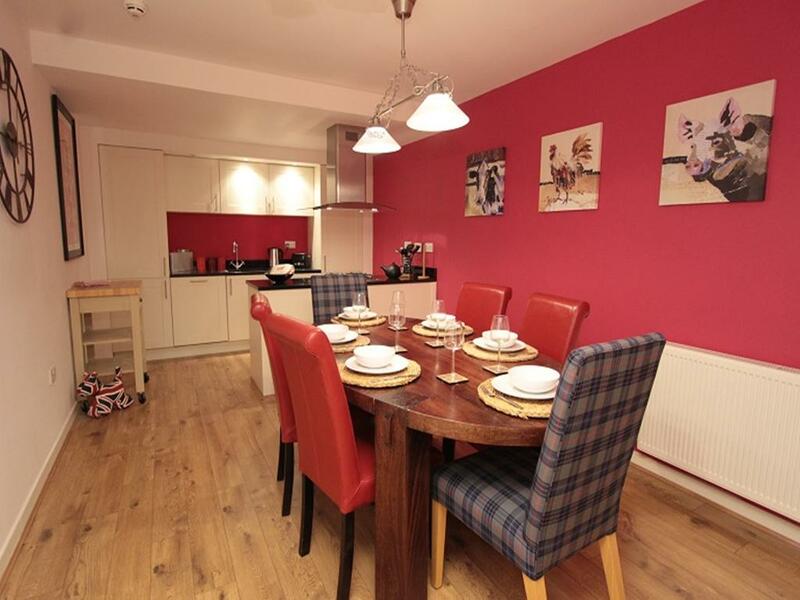 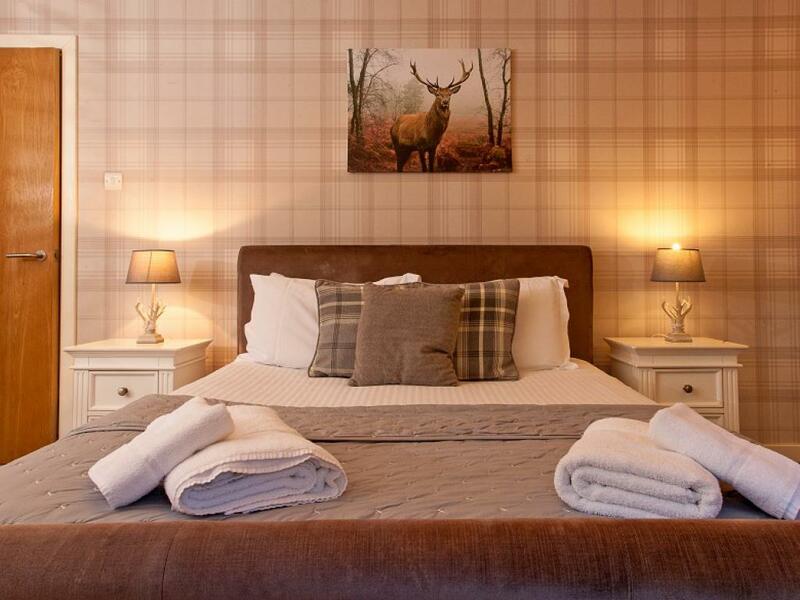 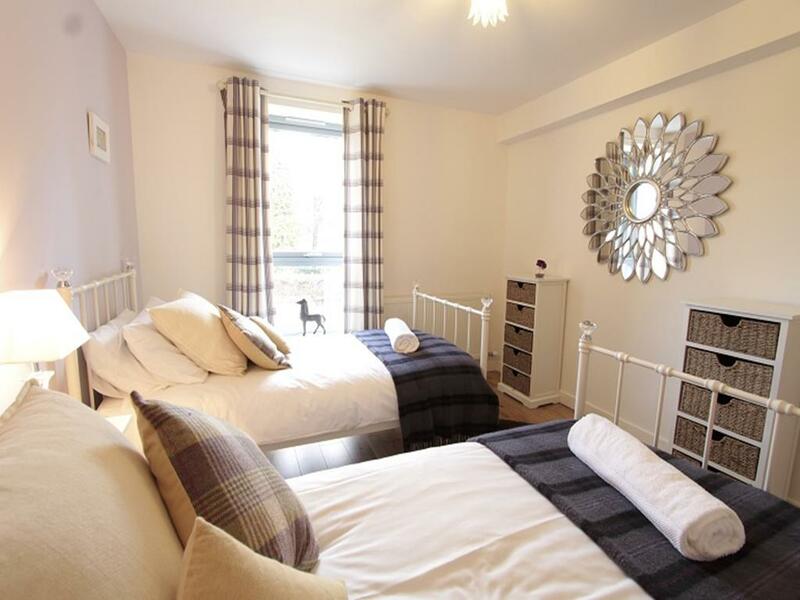 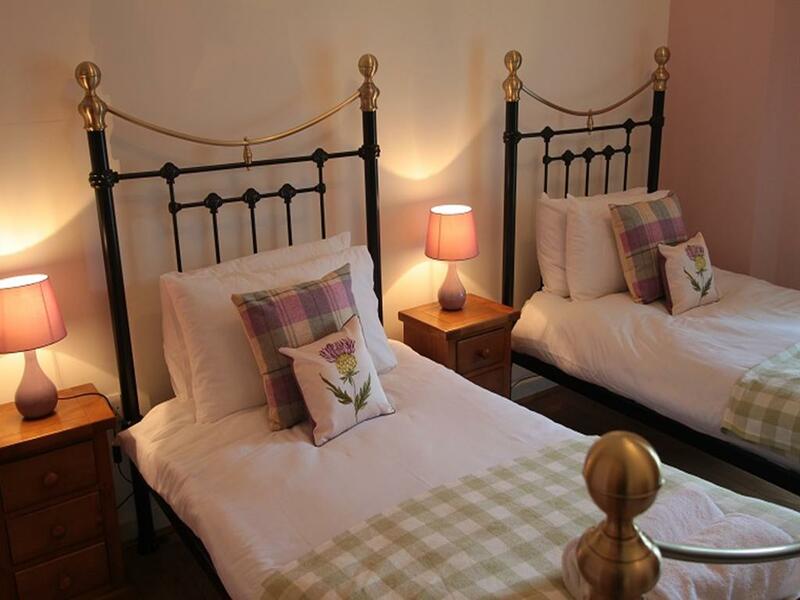 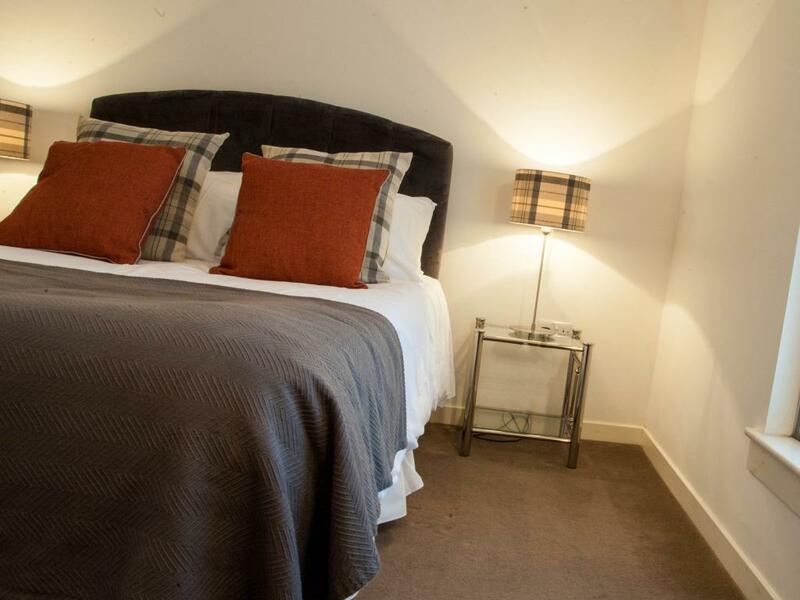 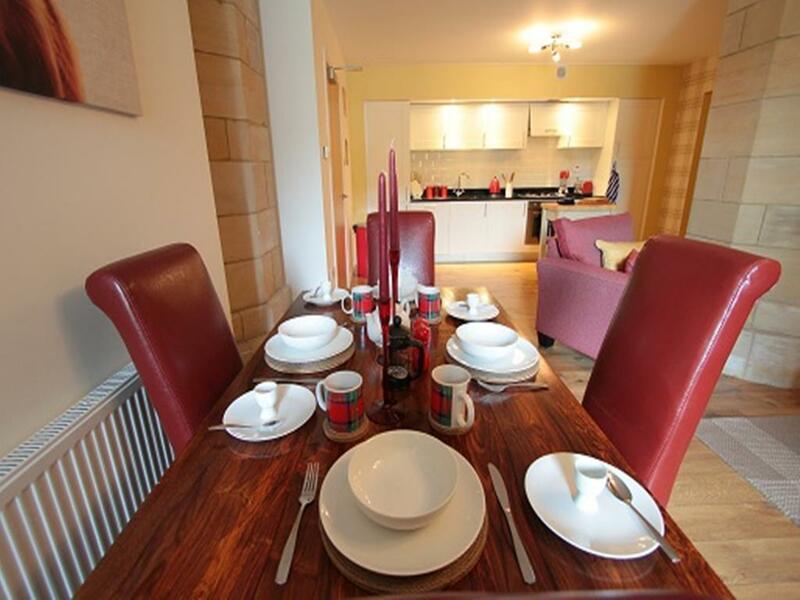 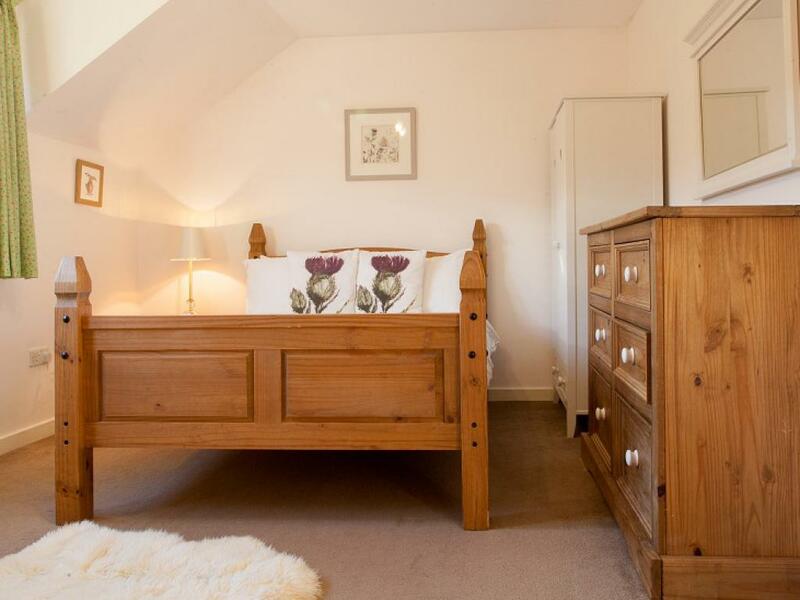 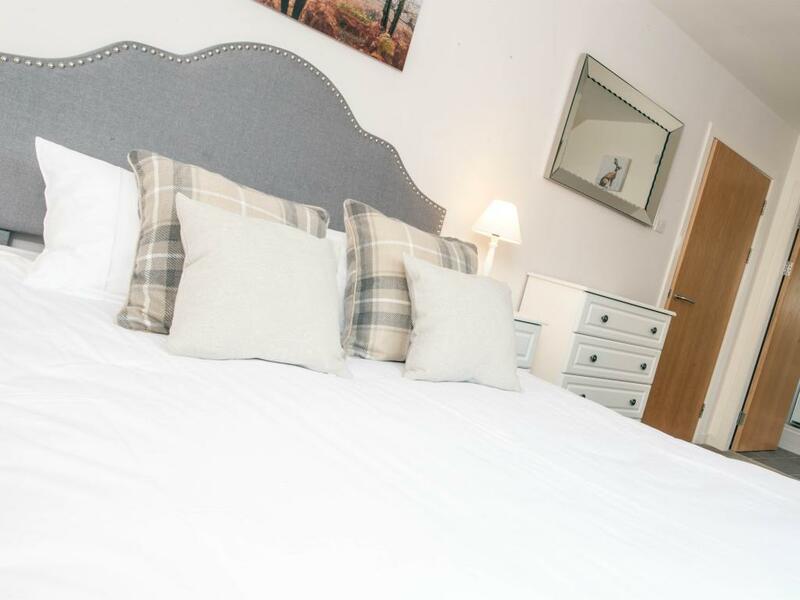 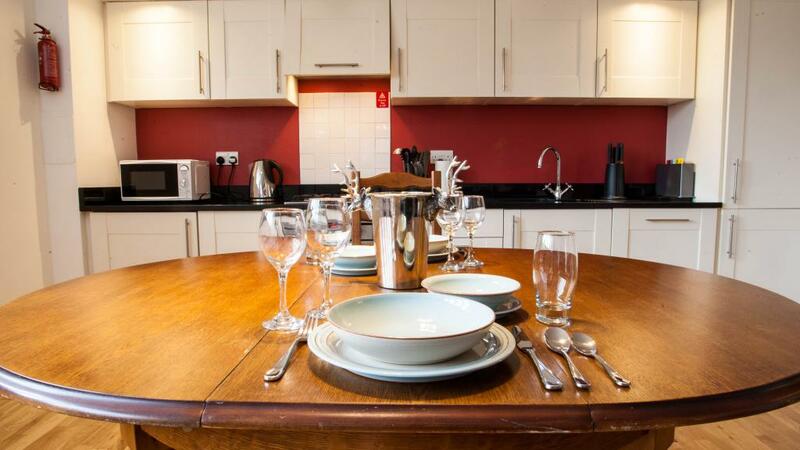 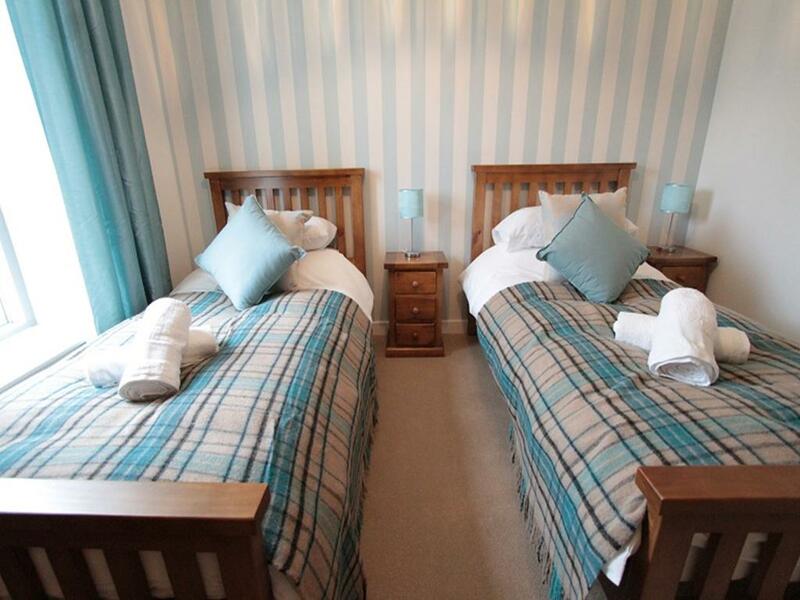 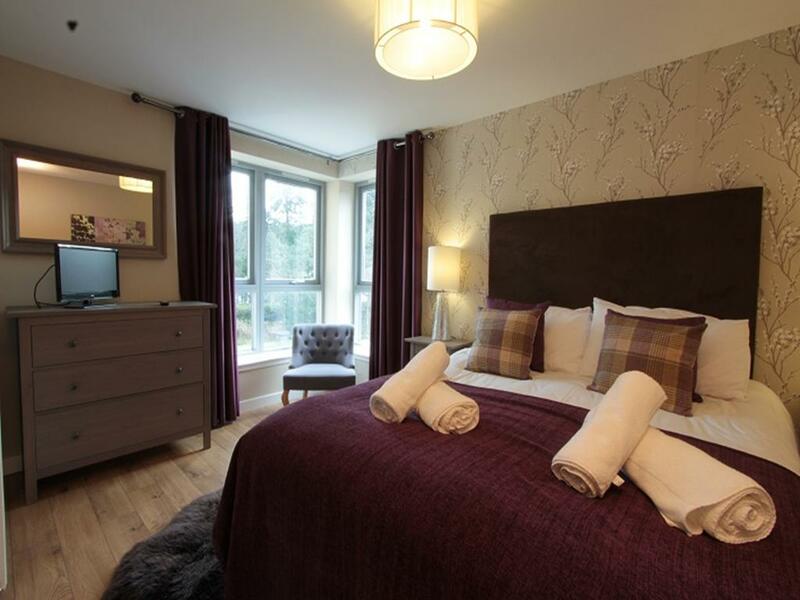 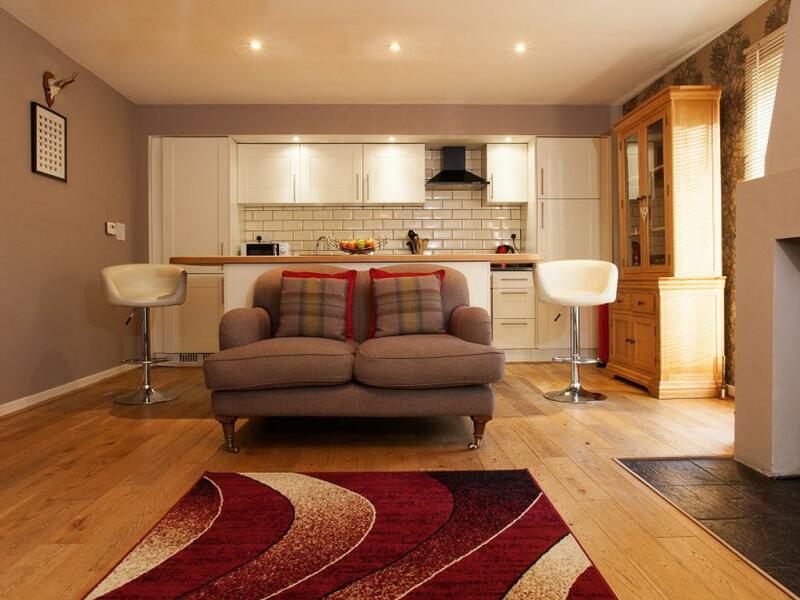 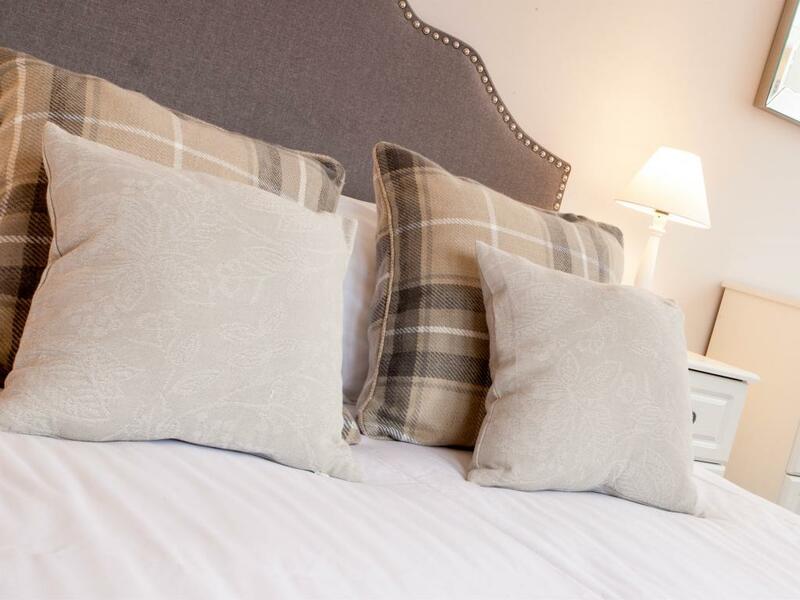 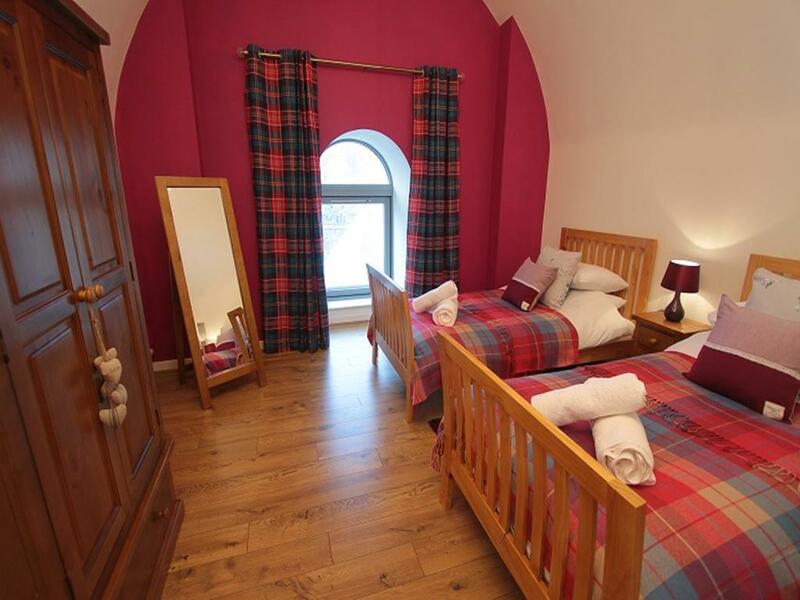 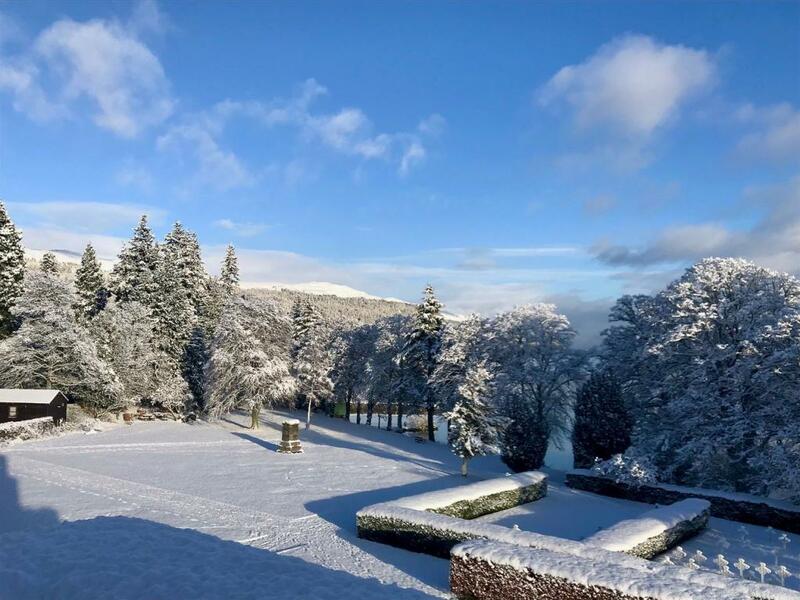 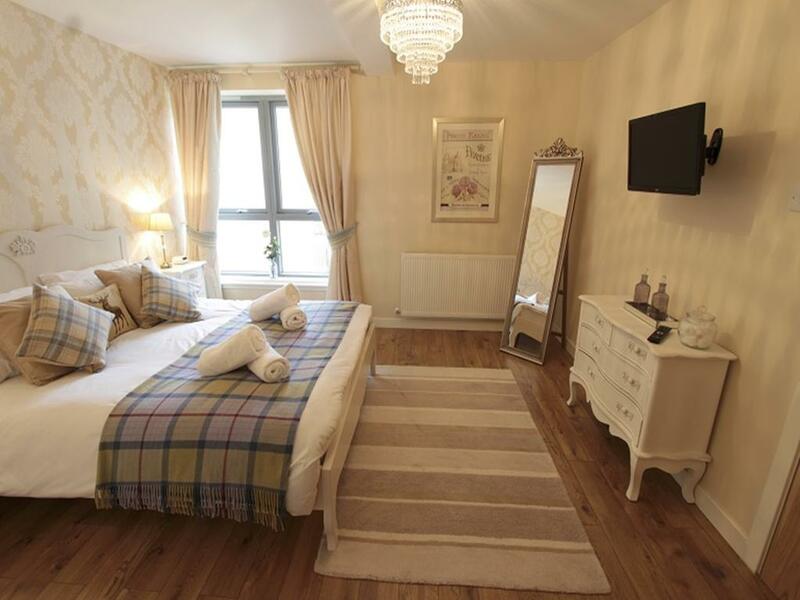 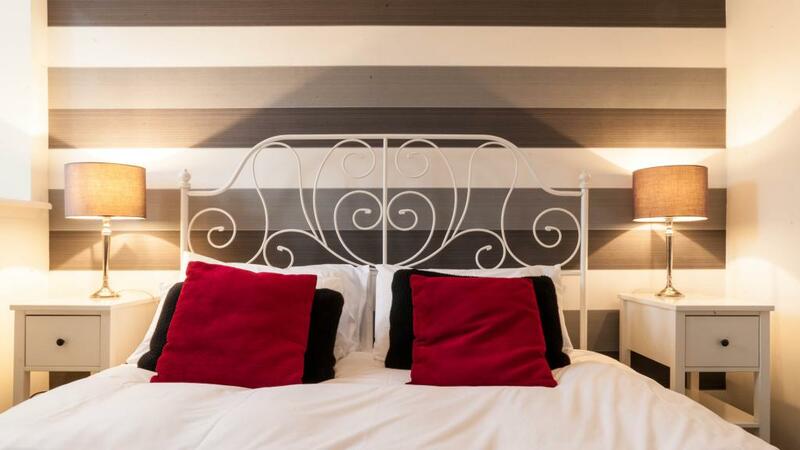 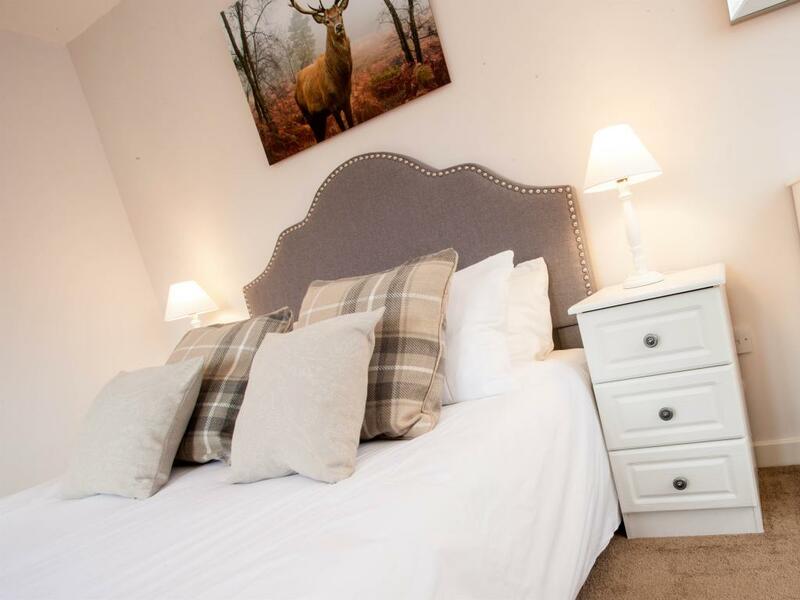 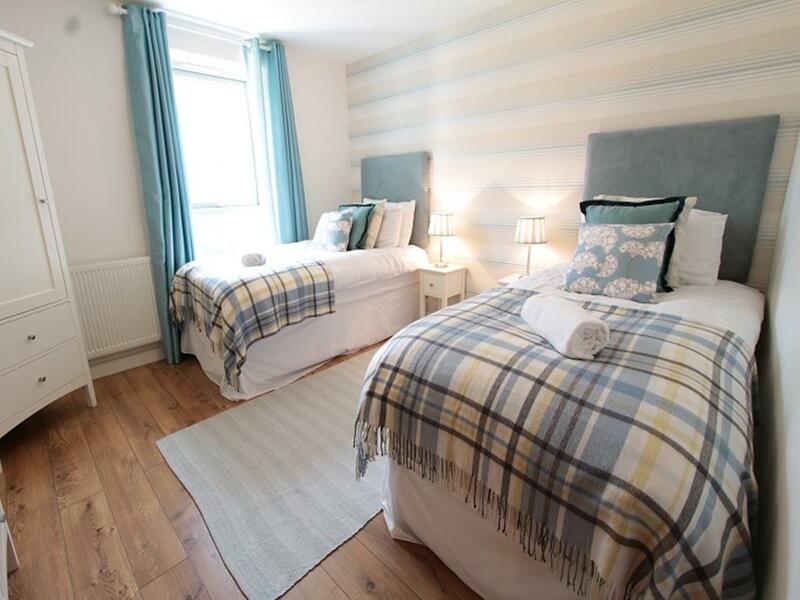 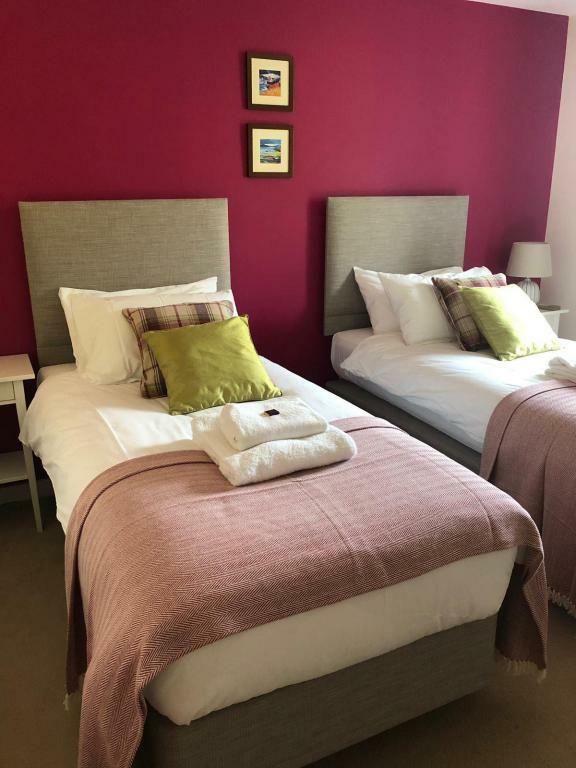 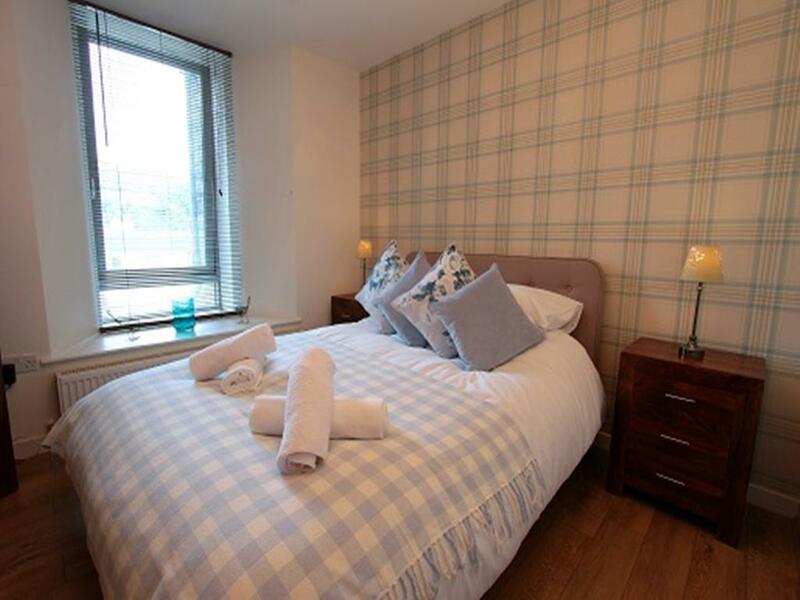 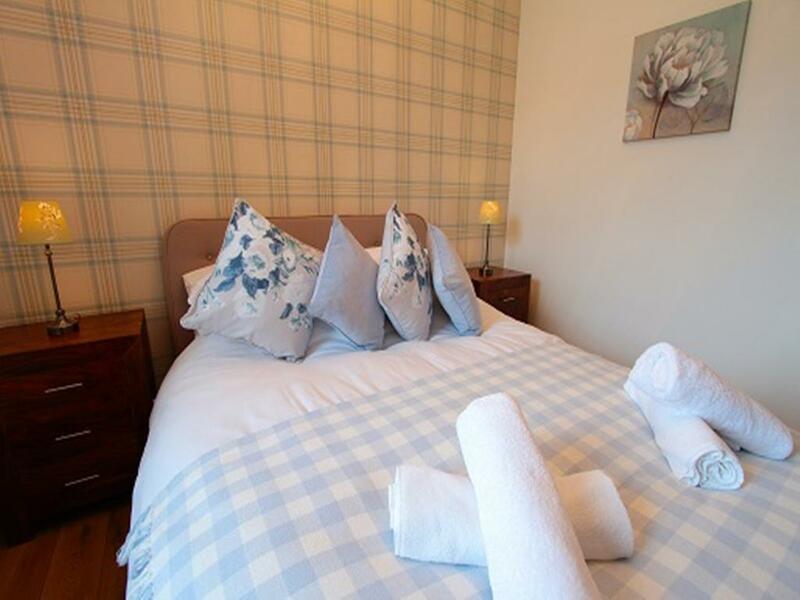 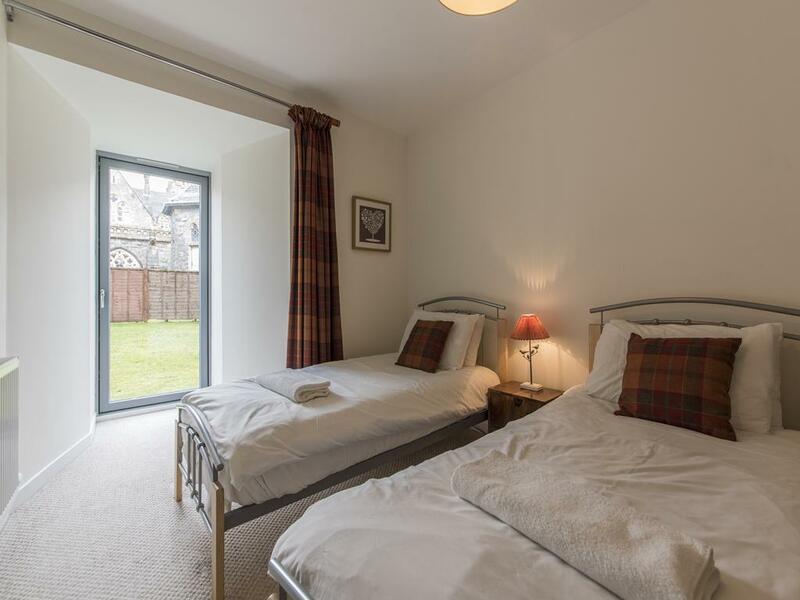 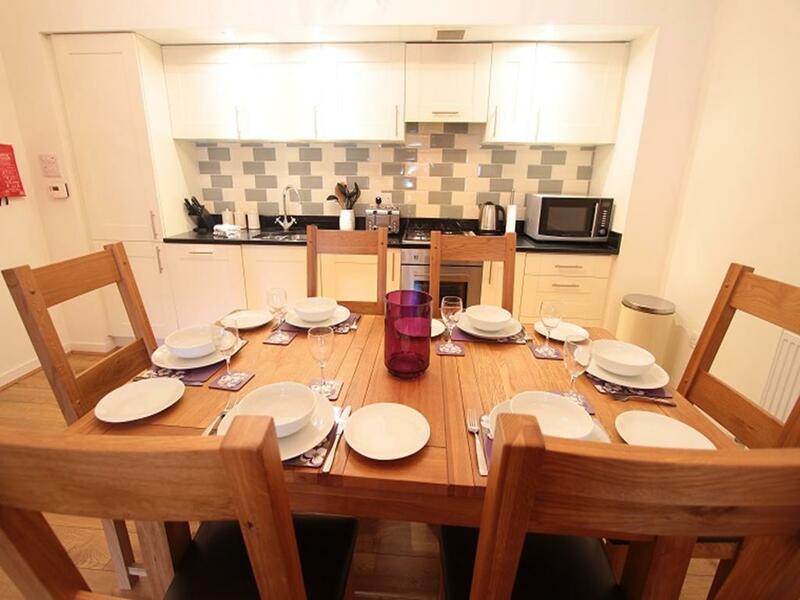 Located in the centre of The Highlands, Fort Augustus Abbey provides comfortable, private apartments as a relaxing base from which to explore Urquhart Castle, Culloden, Clava Cairns, Skye, Ben Nevis and whisky distilleries. 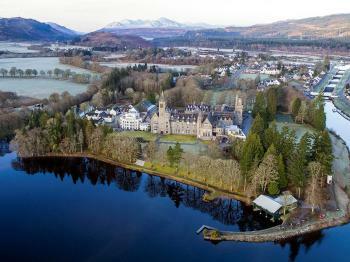 The Highland Club is unique, steeped as it is in centuries of Scottish history, and a special, relaxing place to stay – either on a self-catered holiday or as an owner of one of the luxury residences. 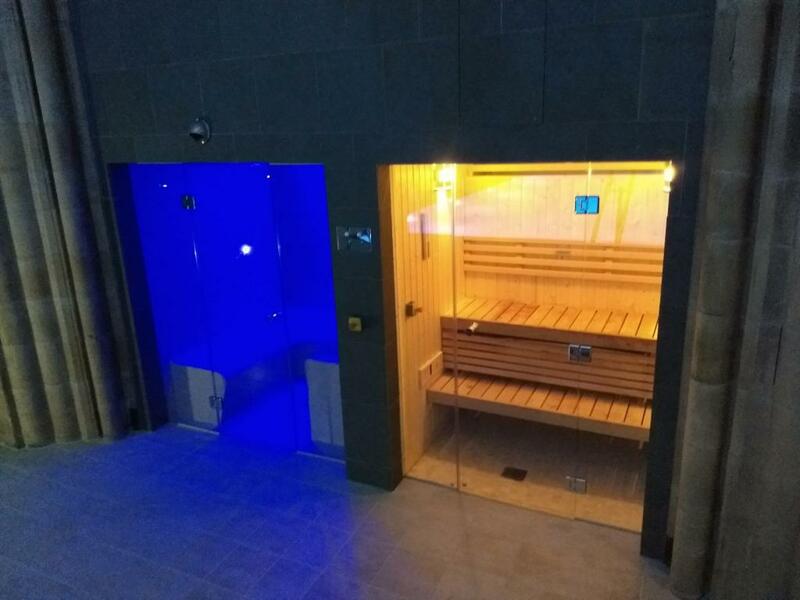 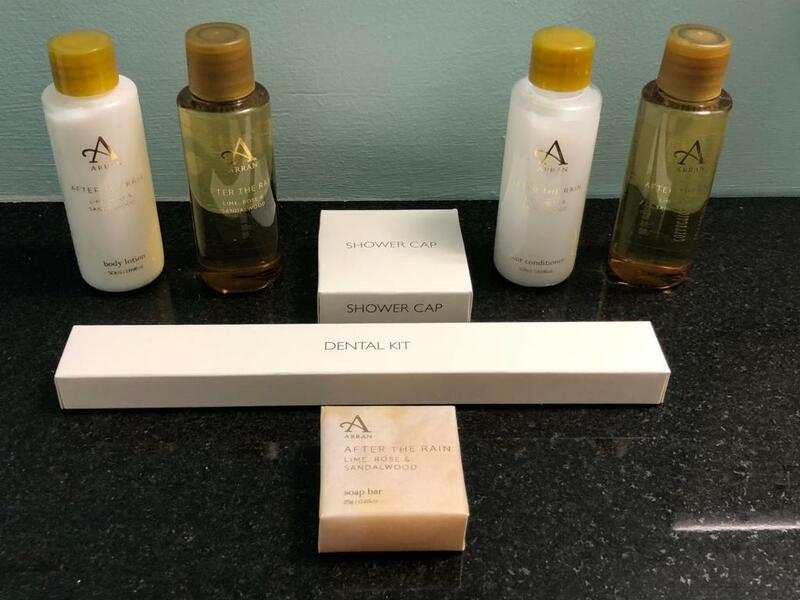 Amenities exclusively for use by those who are staying with us include an indoor pool, steam and sauna, the club lounge and snooker room. 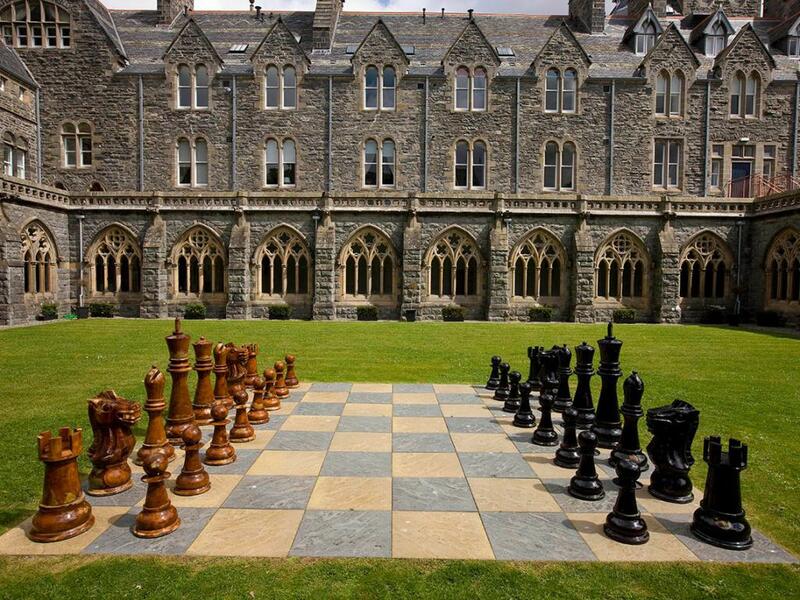 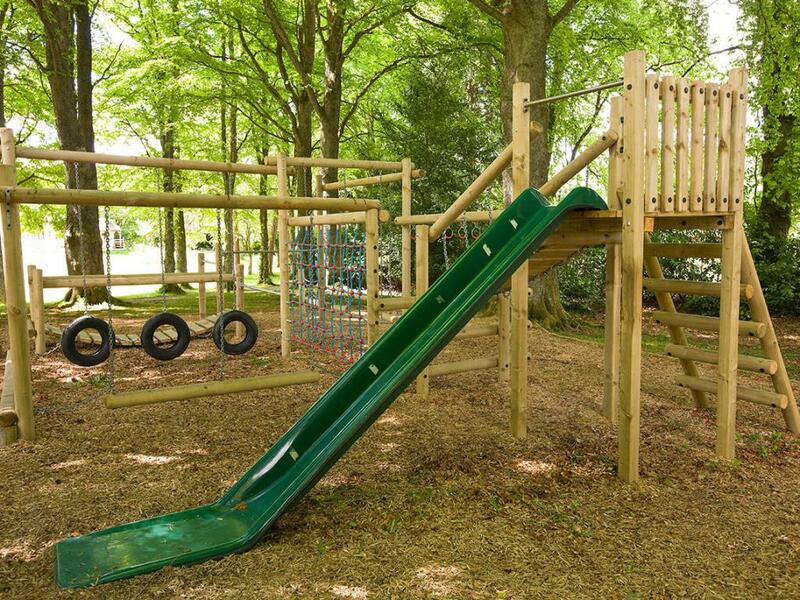 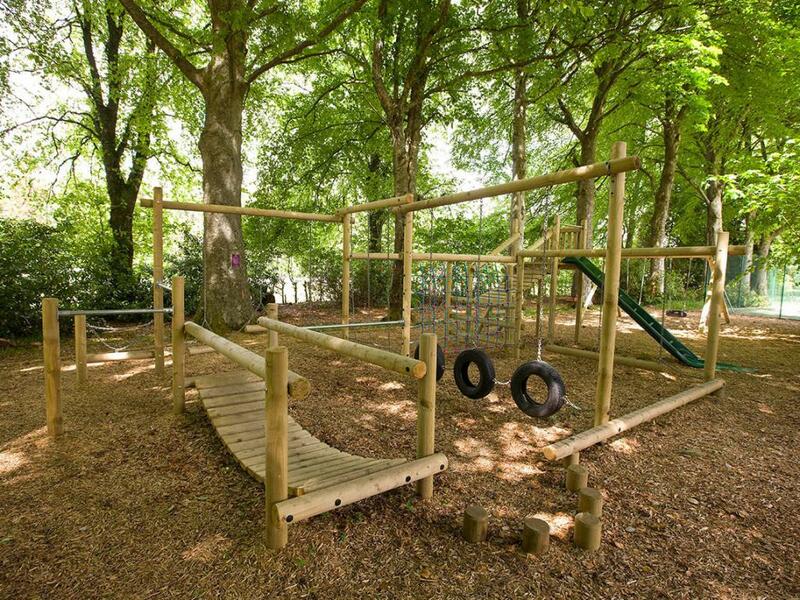 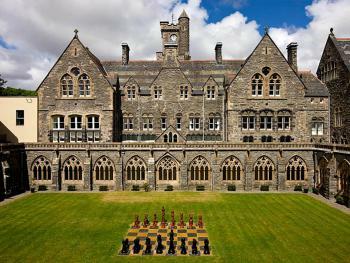 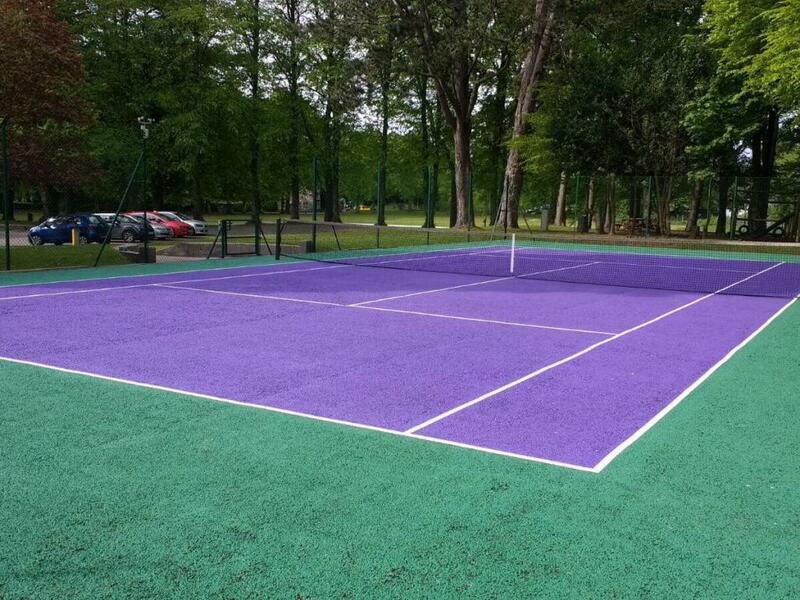 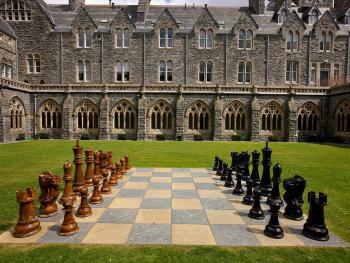 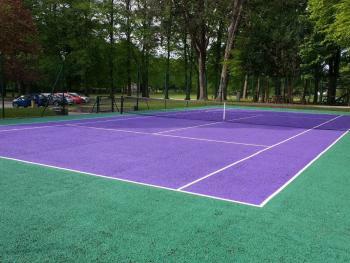 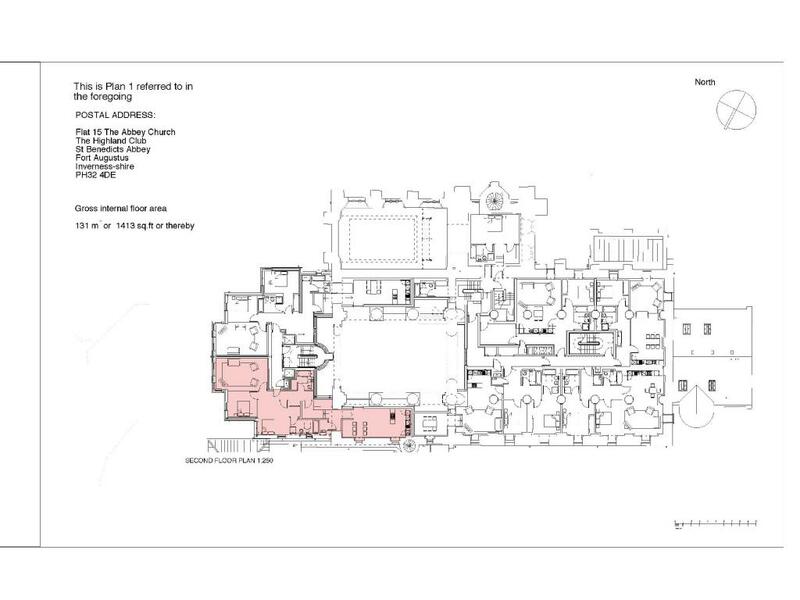 Within the grounds there is a tennis court and many other facilities including outdoor chess in the Cloister Garden, table tennis, badminton, croquet, boules, 5-a-side football and a cricket pitch with nets. 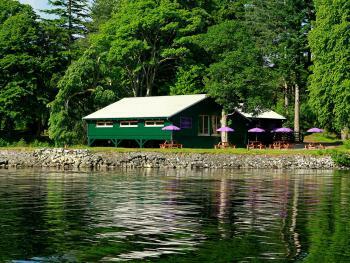 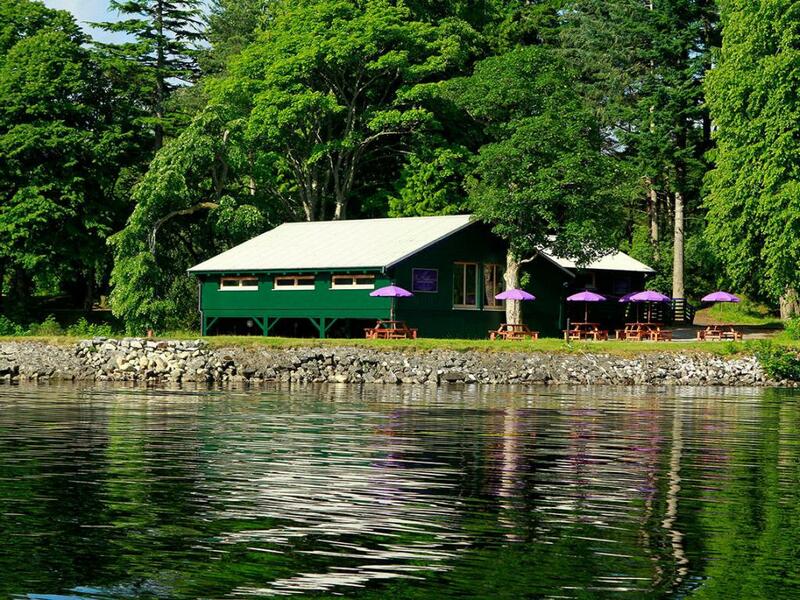 The Boathouse Restaurant with its exclusive Loch side view is available both to guests and the local community alike. 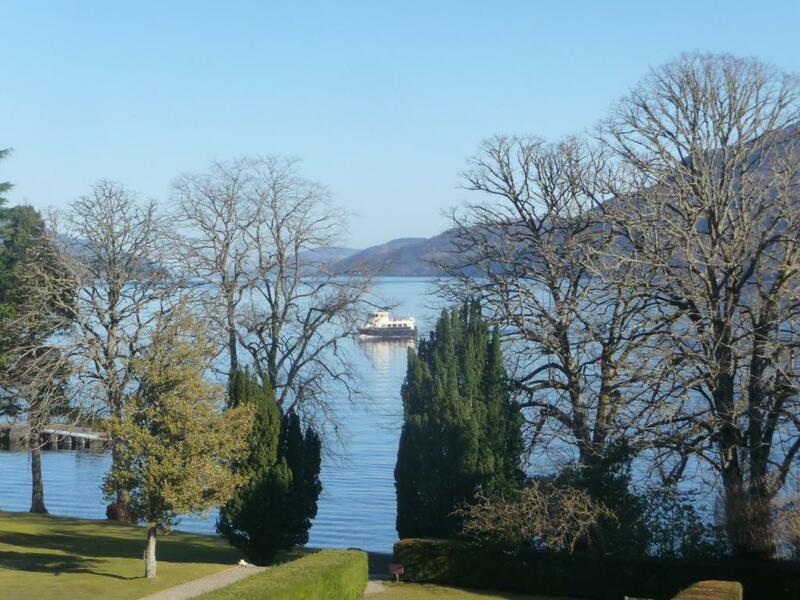 Explore the grounds, walk along the shores of Loch Ness, stroll along the Caledonian Canal watching boats go by. 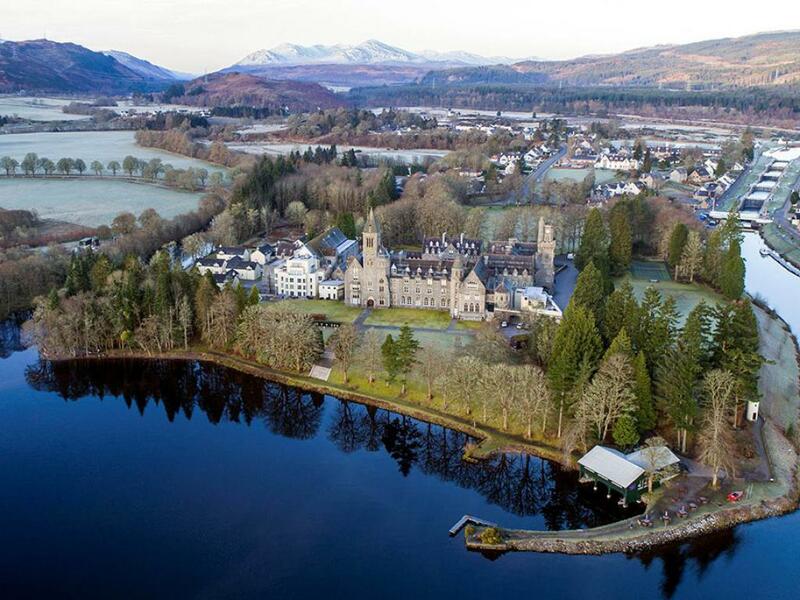 From here the opportunities are limitless – from the more typical activities of walking, cycling, golf, sailing, fishing, shooting, archery, wow balling, ski-ing (in winter) and bird watching to the more unusual such as dog sledding and Munro Bagging. 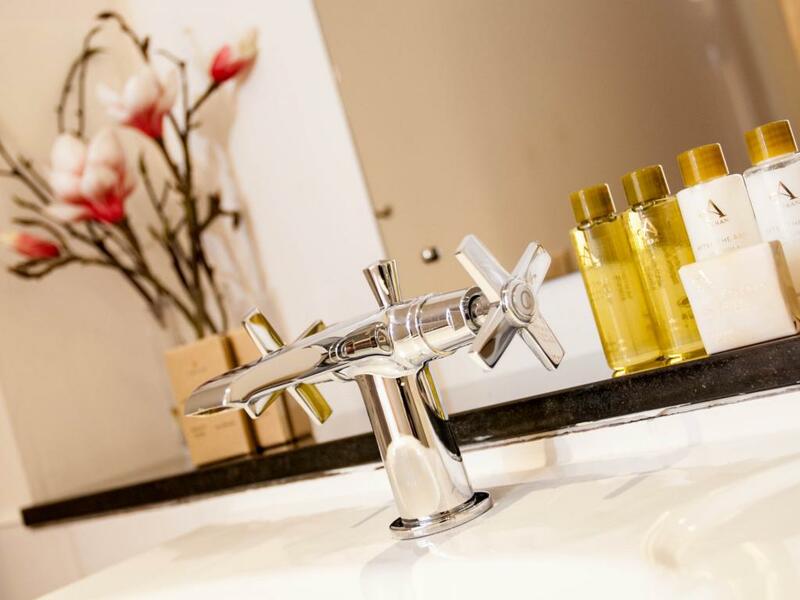 Why Book Direct? 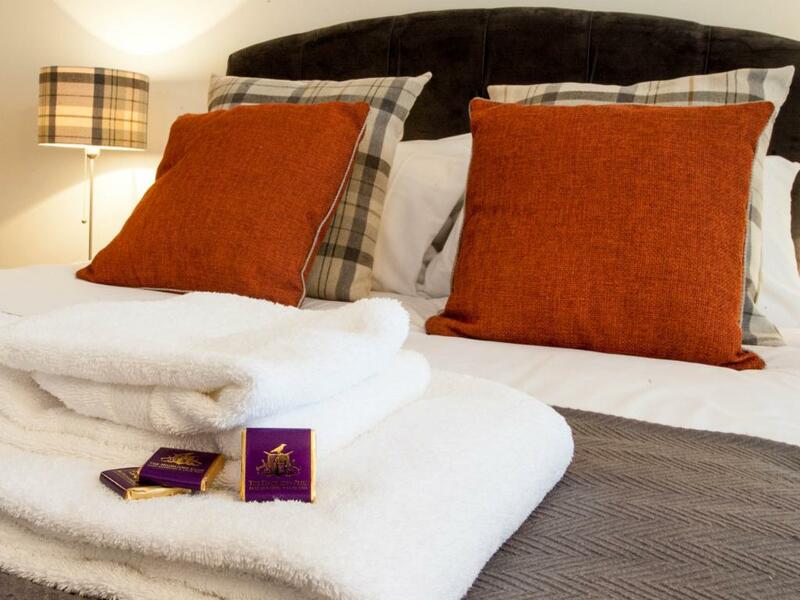 Exclusive benefits: Guaranteed Best Rate Early check in from 2pm (instead of 4pm) Late check out until 11am (instead of 10am) subject to availability Select a welcome hamper with a bowl of fresh fruit, hot drinks, gourmet snacks, sparkling water, milk and cereal for breakfast. 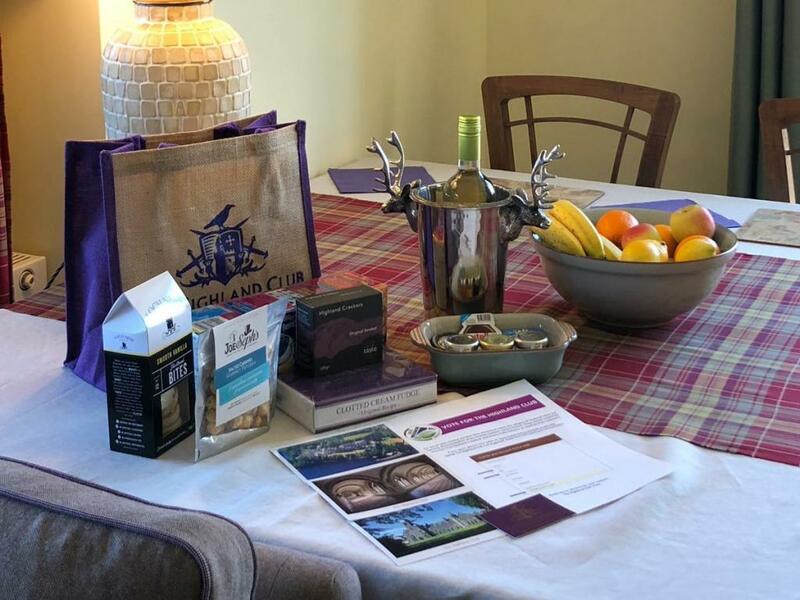 Younger guests are not forgotten with a gift bag of their own. If you are driving from Inverness, the fastest route to The Highland Club is by following the signs for Fort William (the A82). 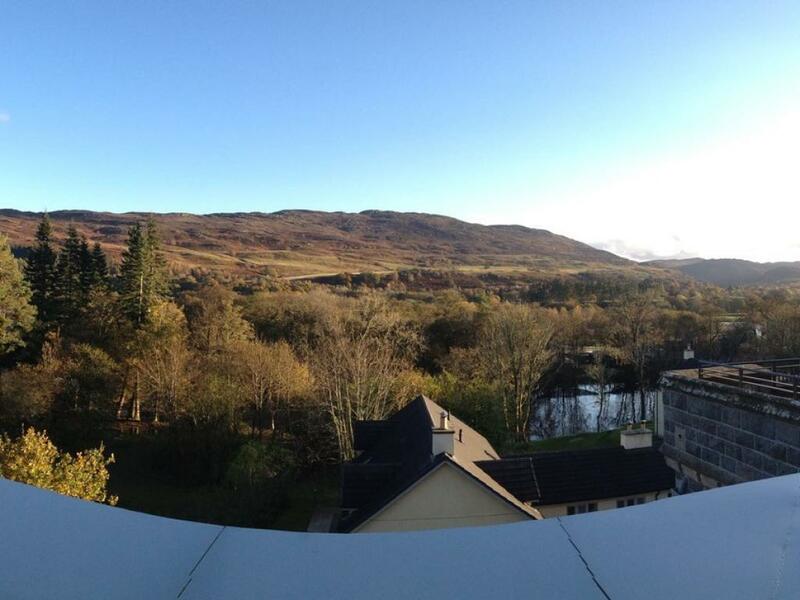 A more scenic route is the B862 via Foyers or the B851 from the A9. 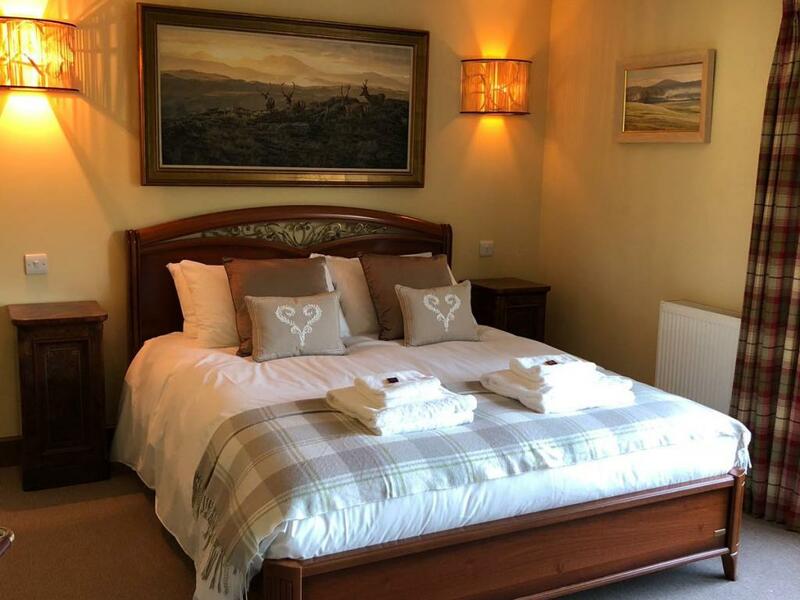 If you are driving from Edinburgh, the quickest route is to follow the road signs to Stirling or Perth; travel north on the A9 and then turn left at Dalwhinnie on the A889 and then left into the A86 in the Fort William direction. 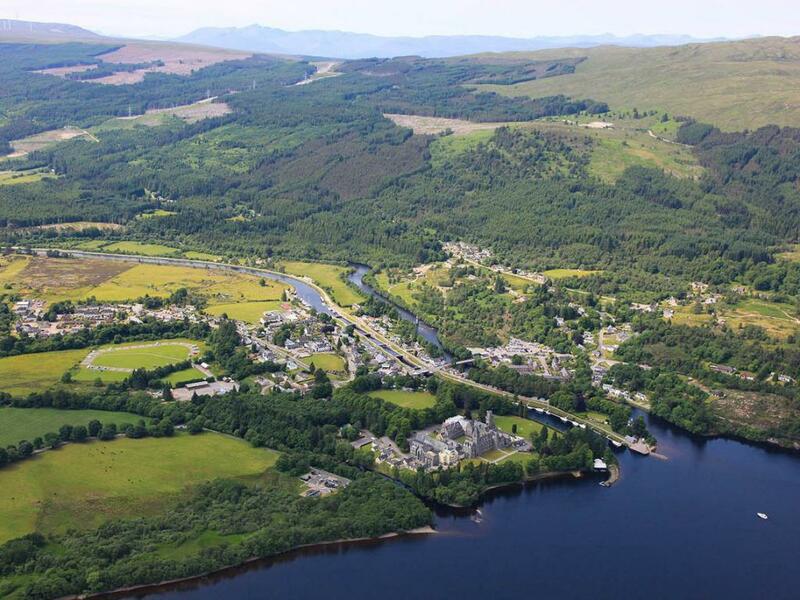 Turn right at Spean Bridge to join the A82 towards Inverness. 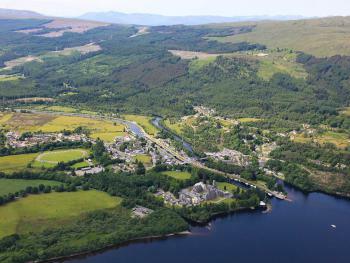 If you are driving from the South West, follow the A82 towards Fort William and then continue until you reach Fort Augustus. The closest airport to The Highland Club is Inverness airport. 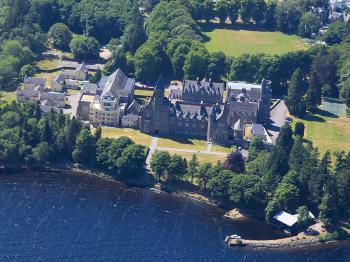 There are direct flights to Inverness airport from Amsterdam Schiphol, Belfast City, Birmingham, Bristol, Dublin, Gatwick, Kirkwall, Luton, Manchester, Orkney, and Stornoway. Airlines that fly in are British Airways, Flybe, and Easyjet. 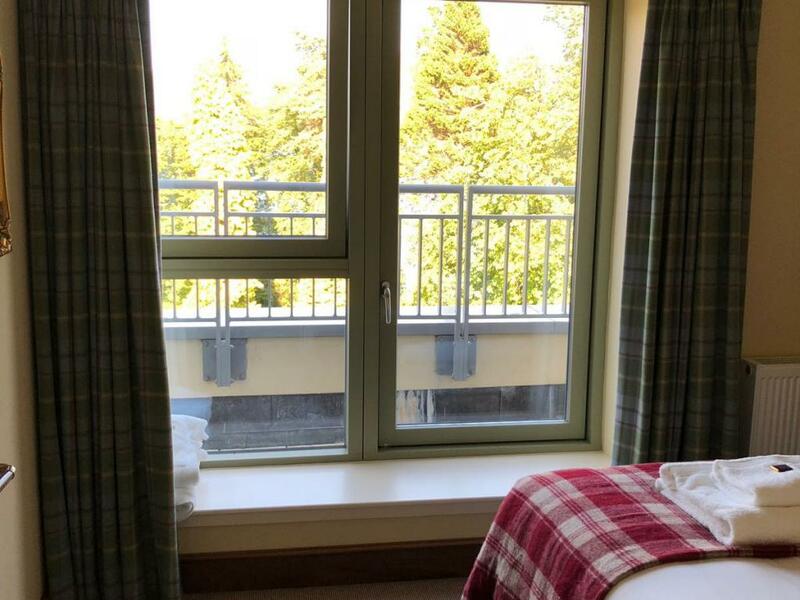 At Inverness Airport, you can rent a car or you can catch a bus (11 or 5A) into the centre of Inverness and then catch a local bus (513) towards Fort Williams, alighting at Fort Augustus.